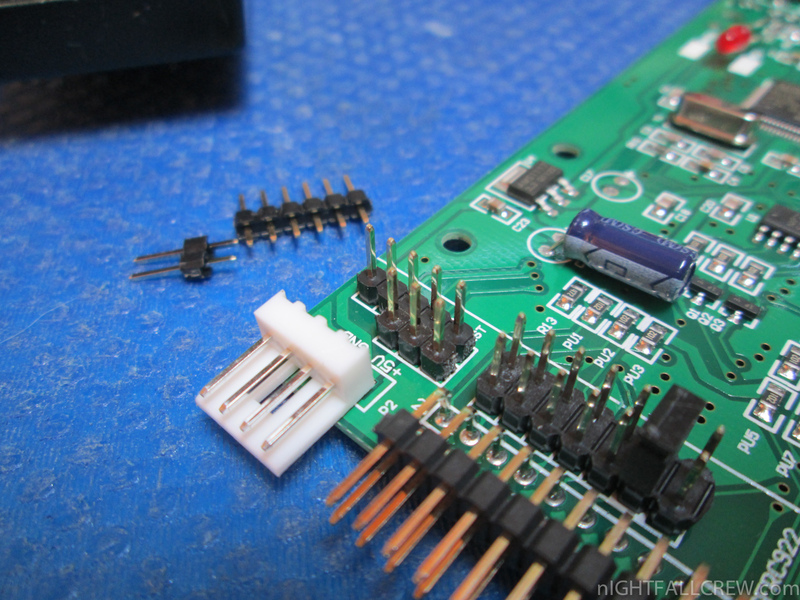 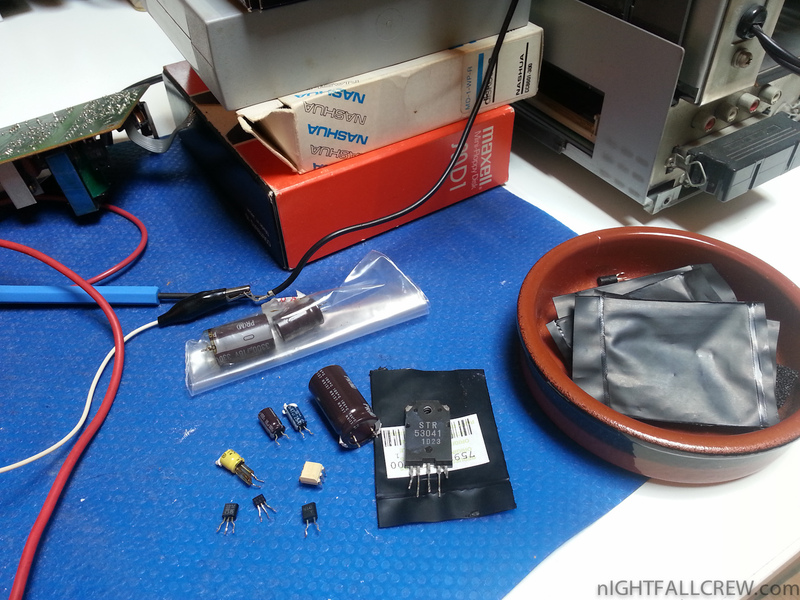 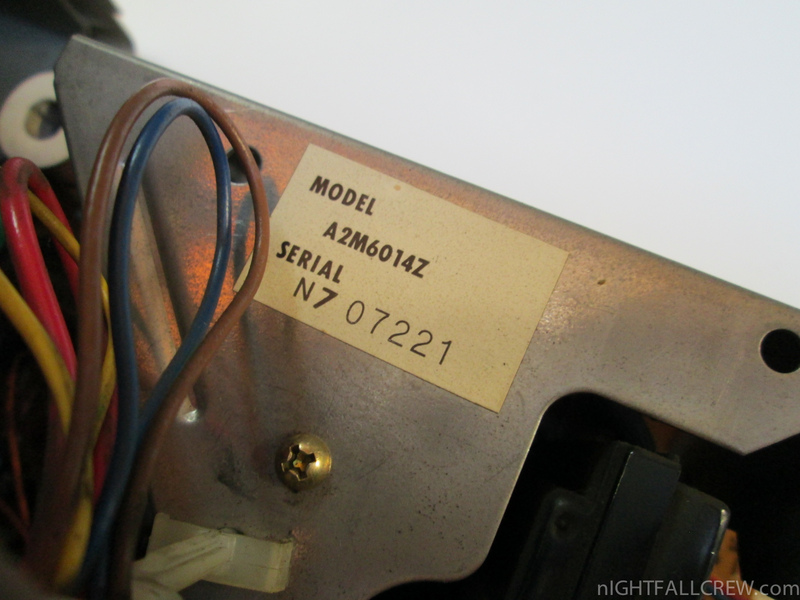 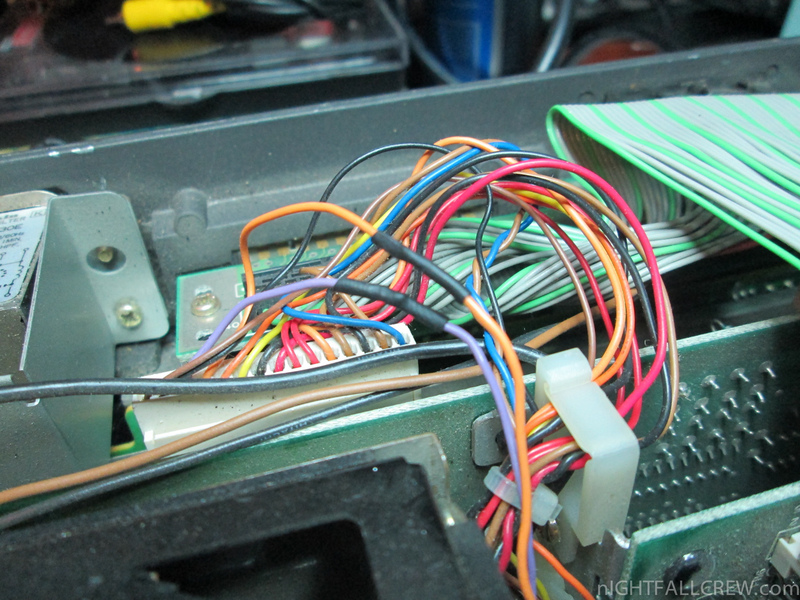 I start to saying how much i hate repairing psu switching, one of the most boring things second only to the repair of CRT Monitor, at least for me. 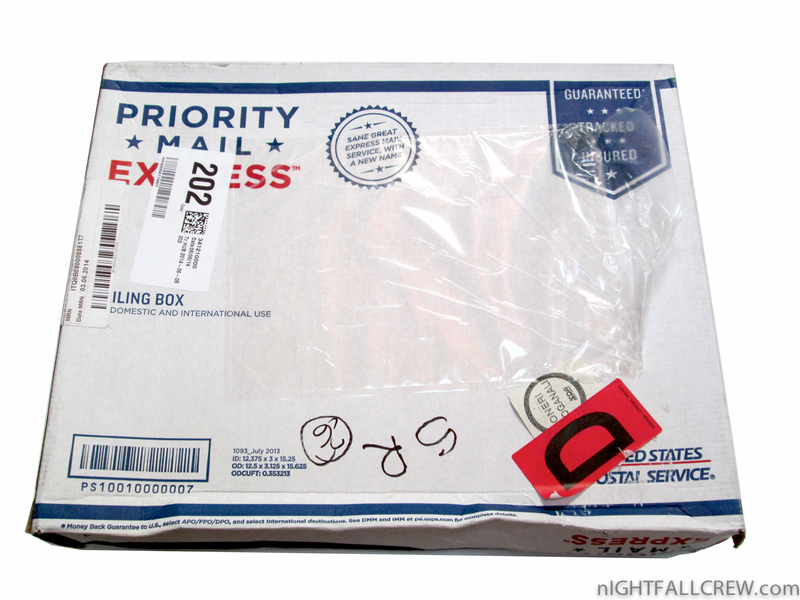 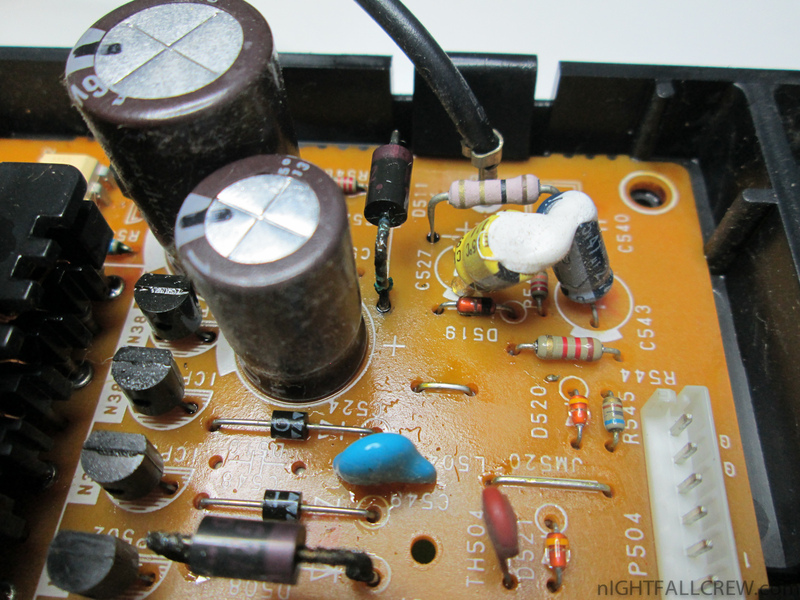 However this repair was made. 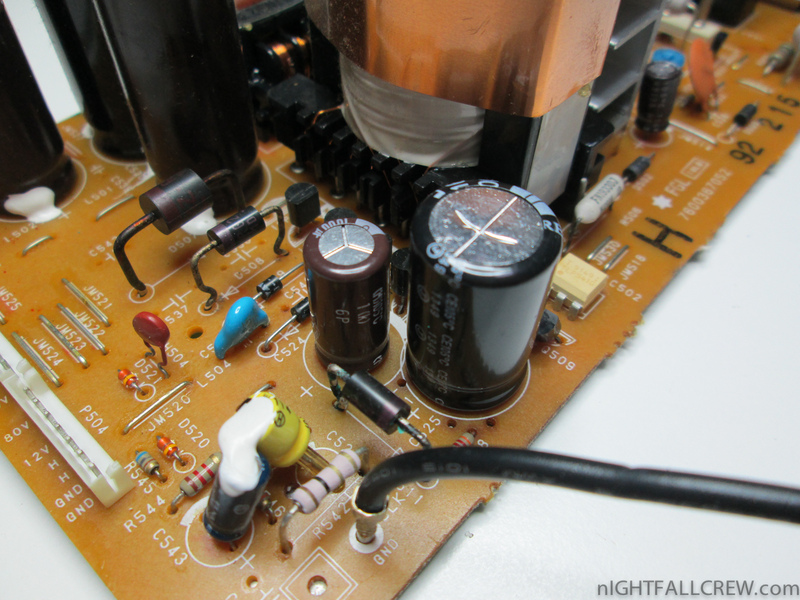 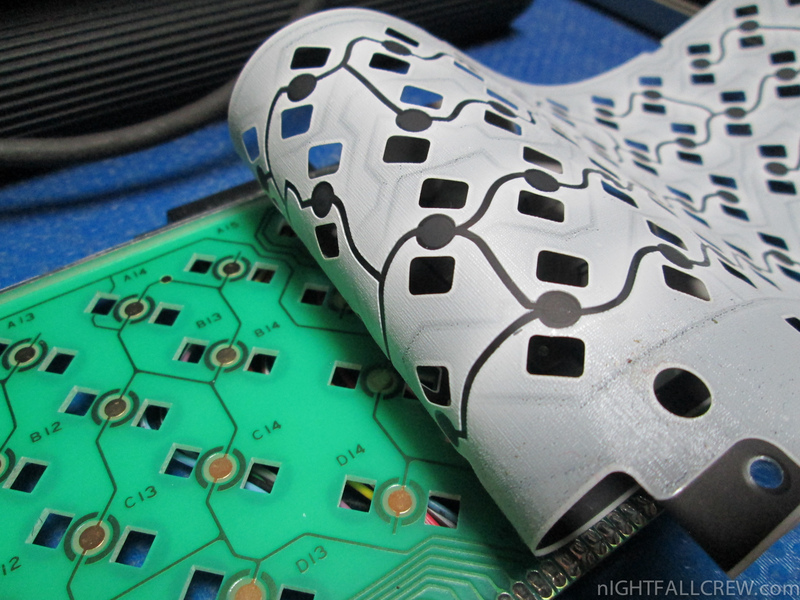 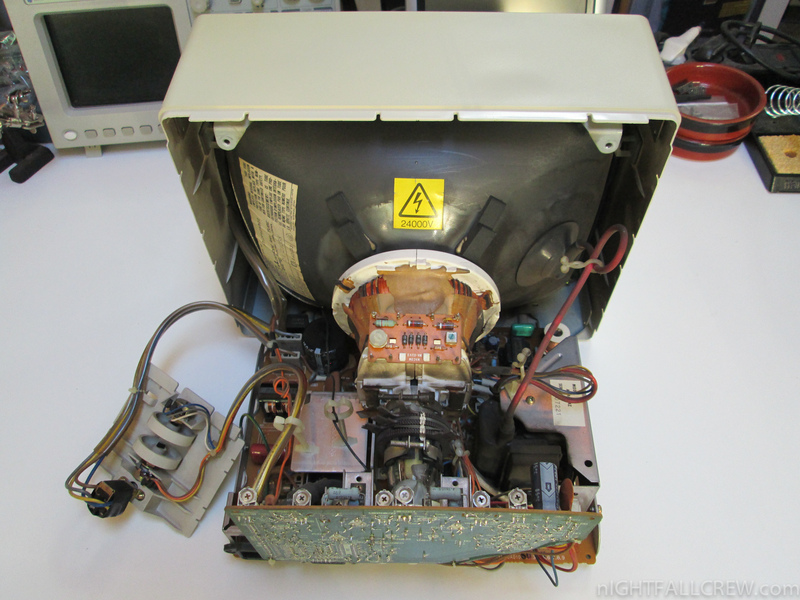 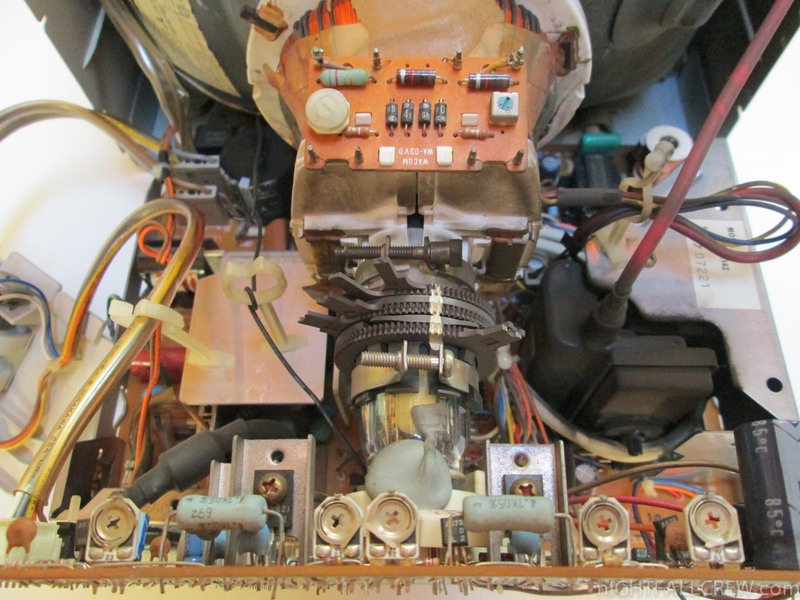 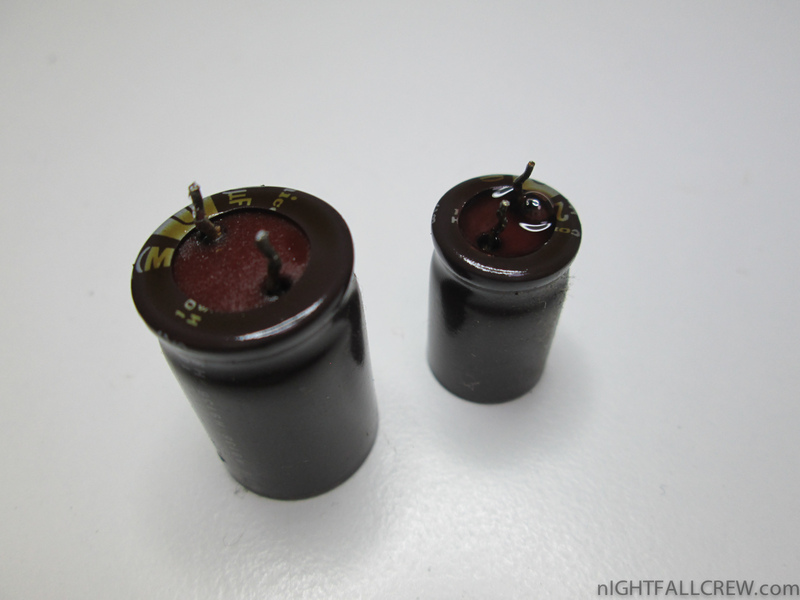 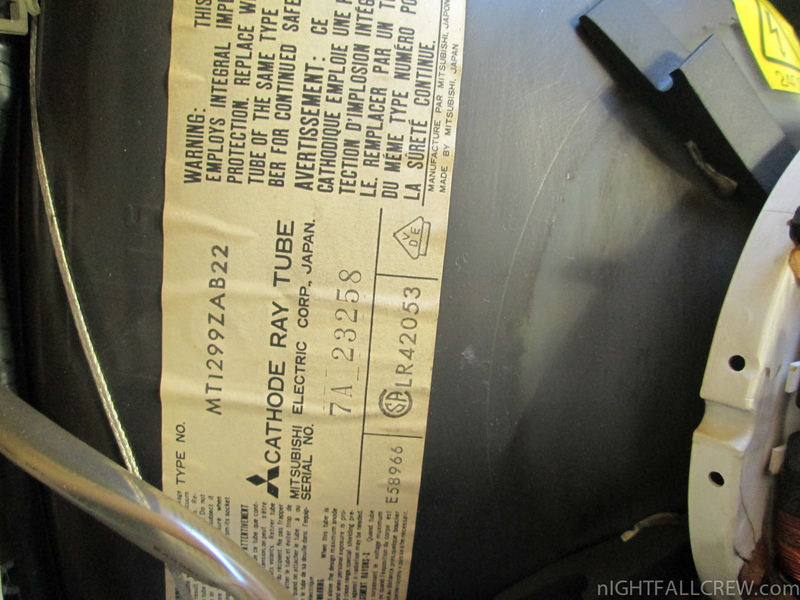 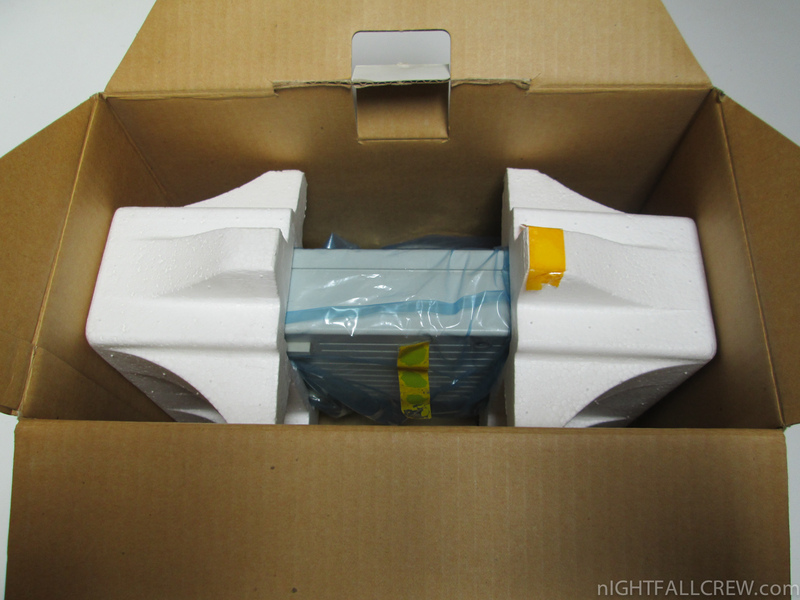 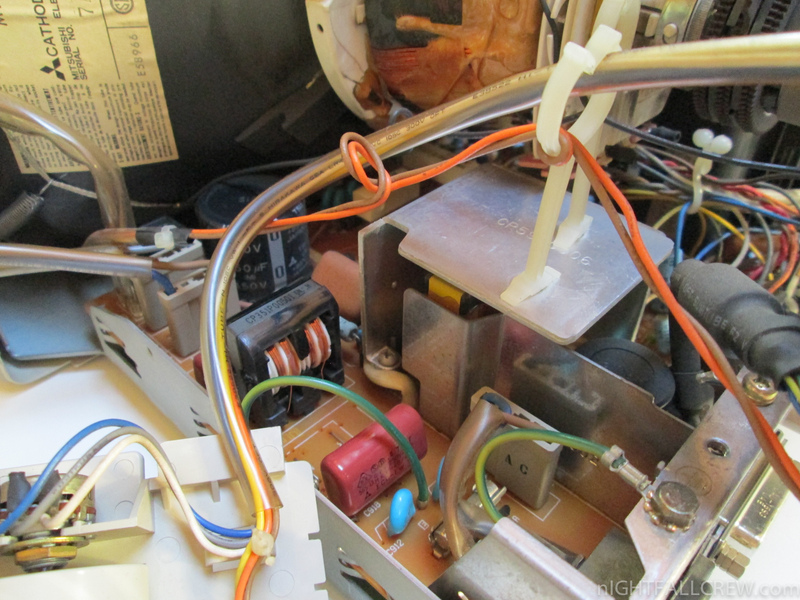 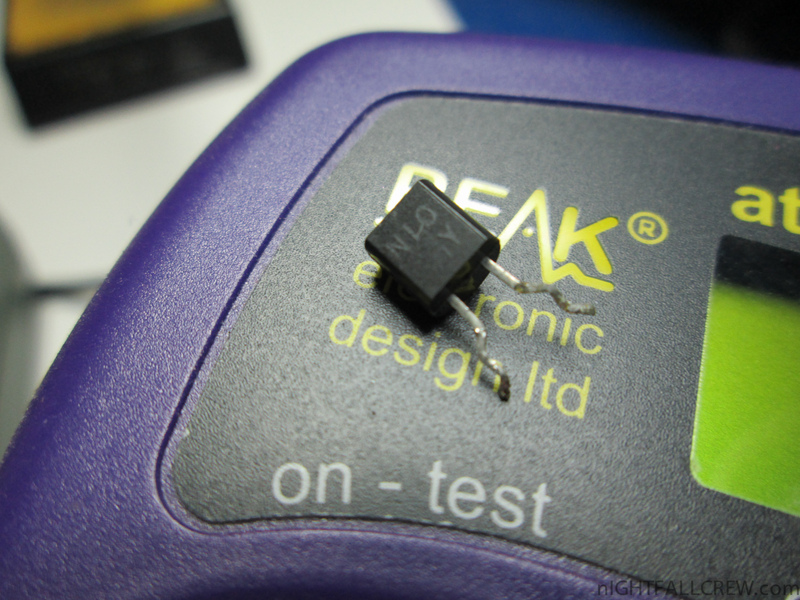 The failure is almost certainly caused by a copious spillage of electrolyte (conductive fluid usually formed from a salt solution or acid which is located inside of the electrolytic capacitors) and a dangerous test if the machine works again after the electrolyte was leaking over the pcb. 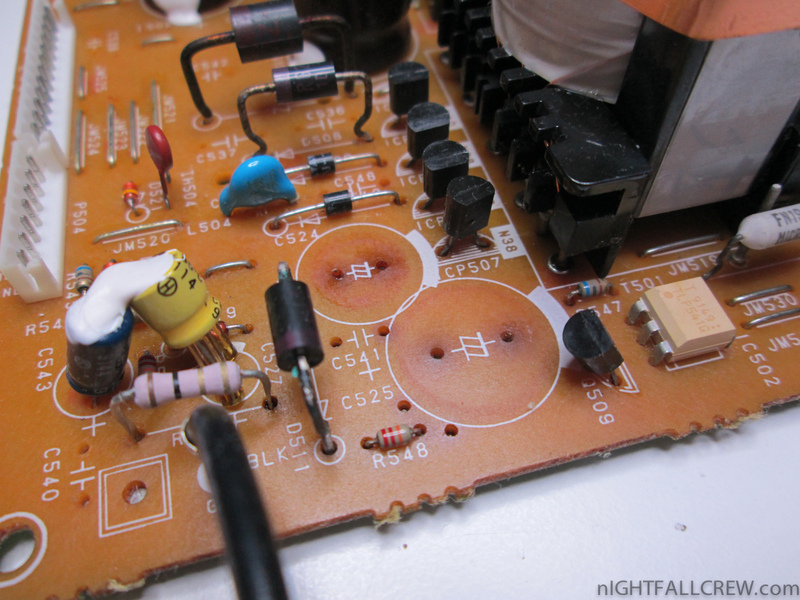 The moral of the story is easy to figure out, a short circuit has made several deaths, a good portion of the Primary (PWM) and Secondary. 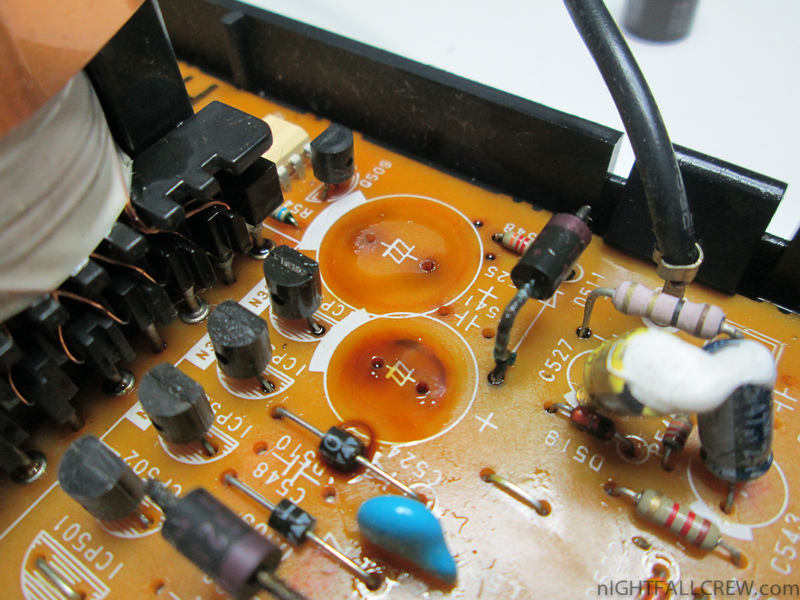 After 1 week i have decided to replace also all capacitors of the power supply section of the computer. Chinook Technology RAM 4000: All 4 banks filled for a total of 4Mb. 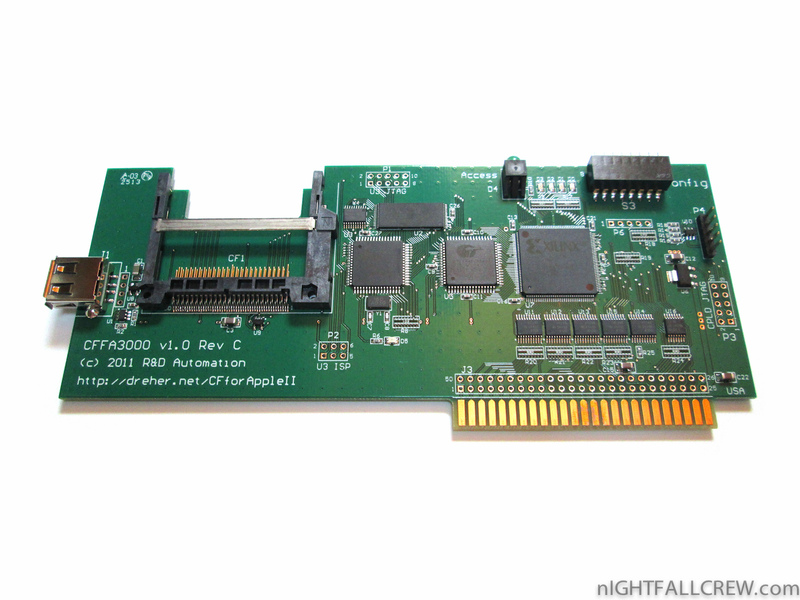 Apple IIgs Memory Expansion Card. 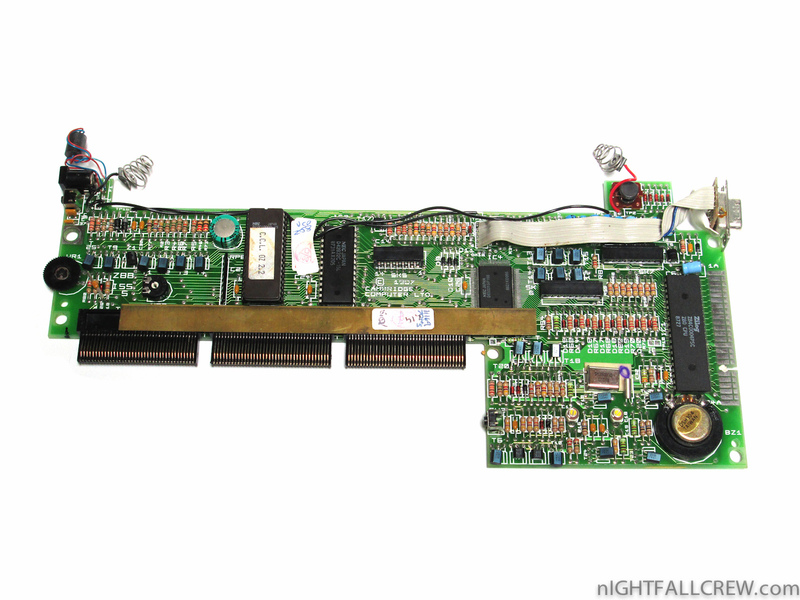 This card has 4 memory banks with a total capacity up to 4Mb (only two banks is presently populated for a total of 2Mb). 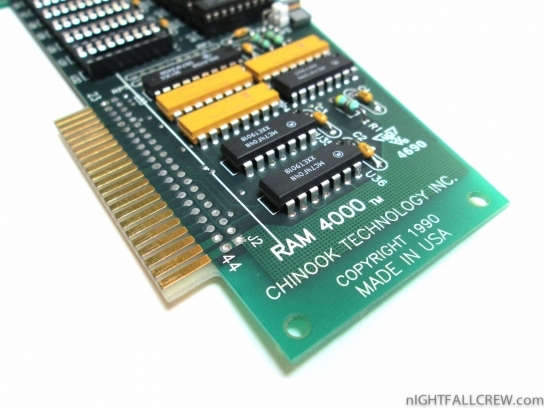 The ram that are used for this expansion memory are DRAM HY51C1000LS-10/KM41C1000AP-10. 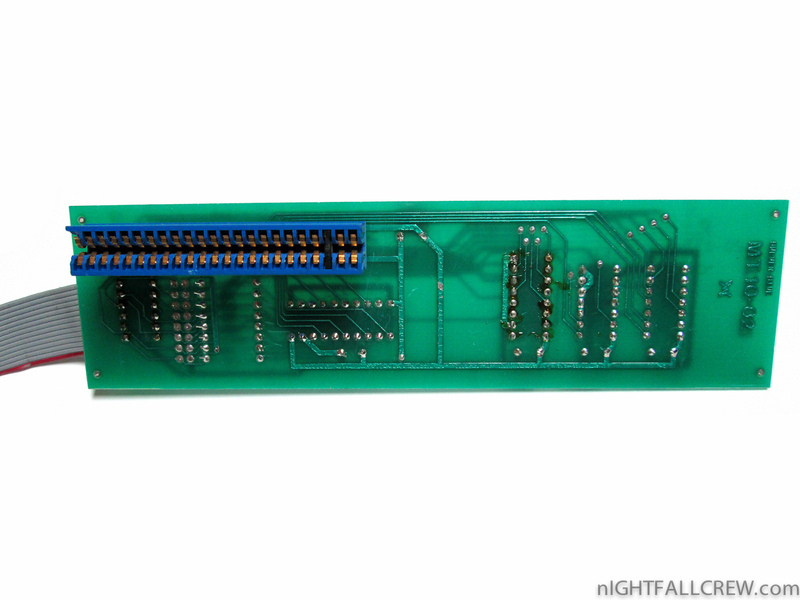 First of all, I must thank my dear friend Andrea for helping me financially to purchase this interface (one of the last pieces of the third batch). 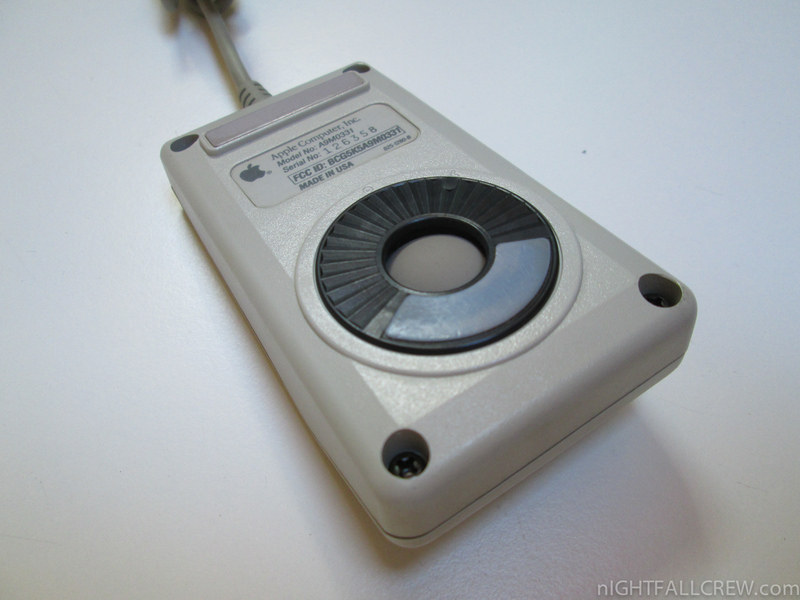 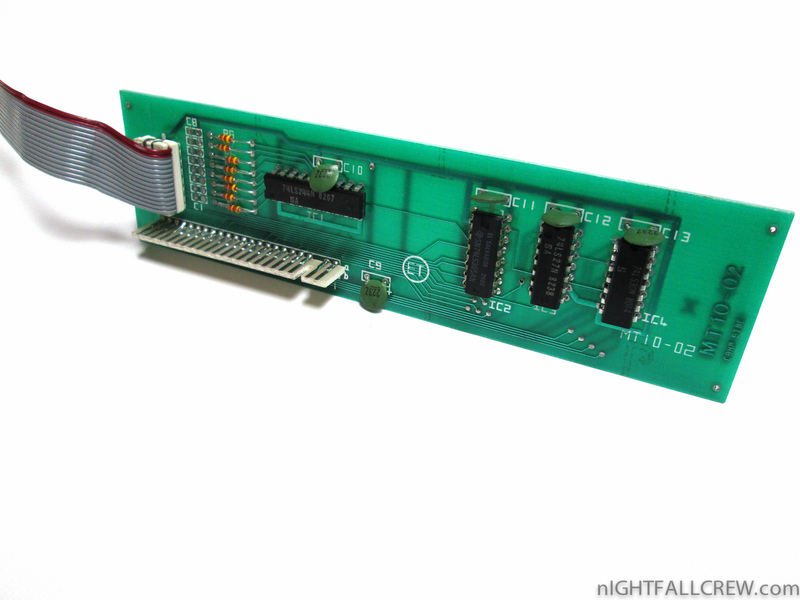 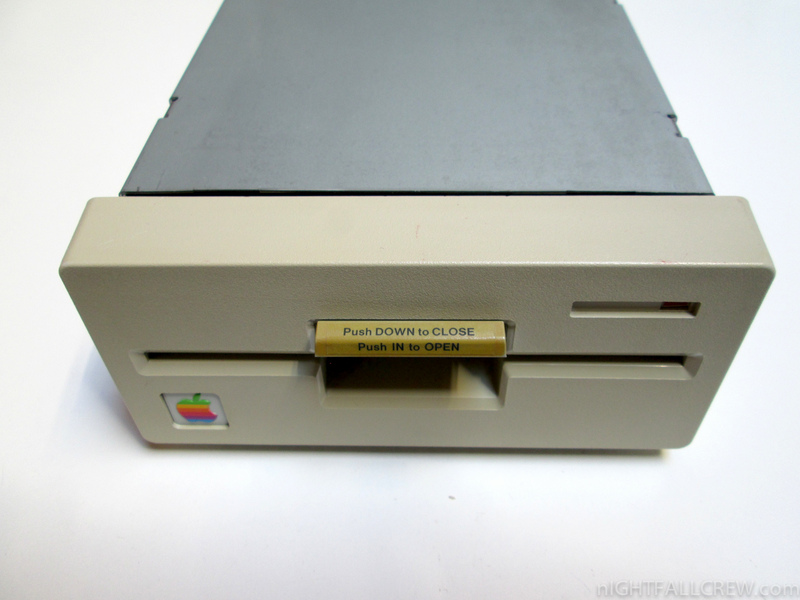 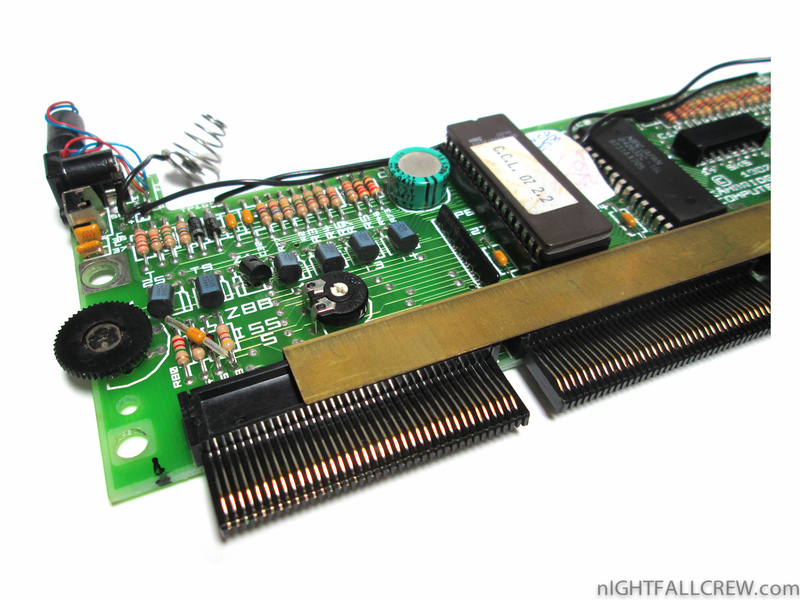 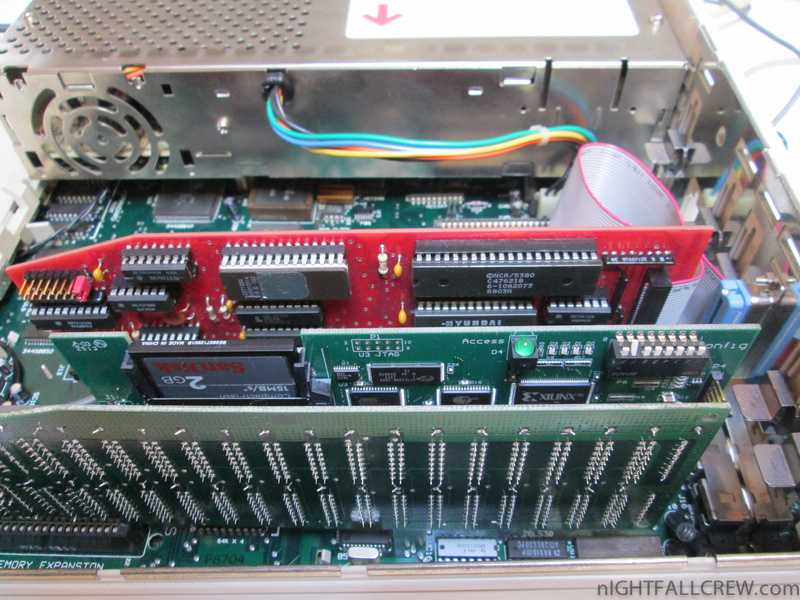 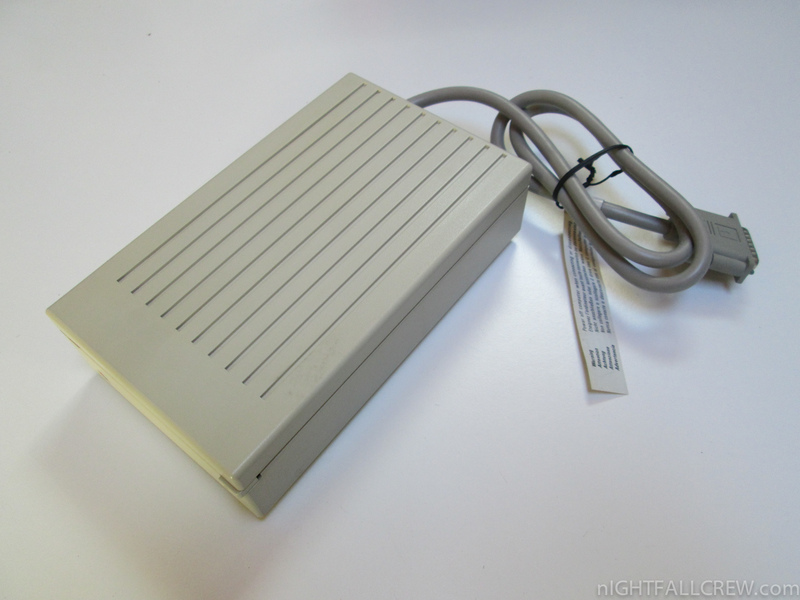 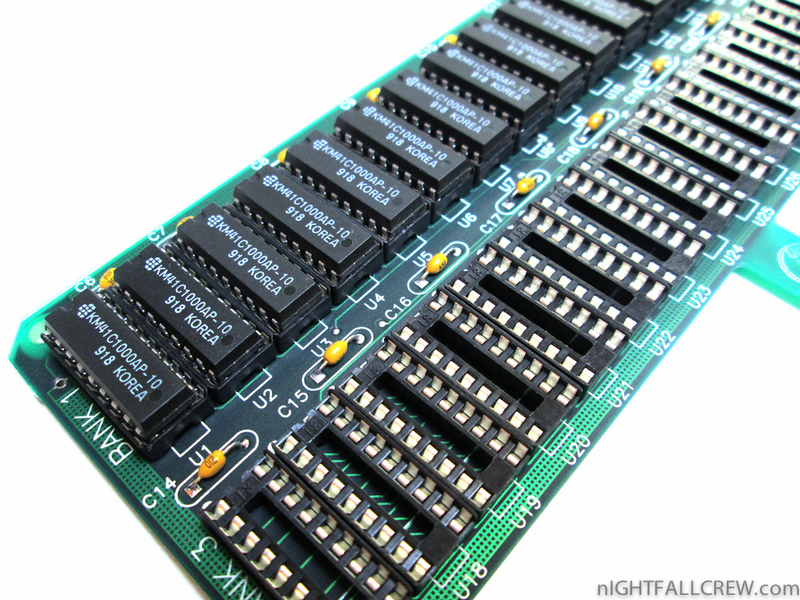 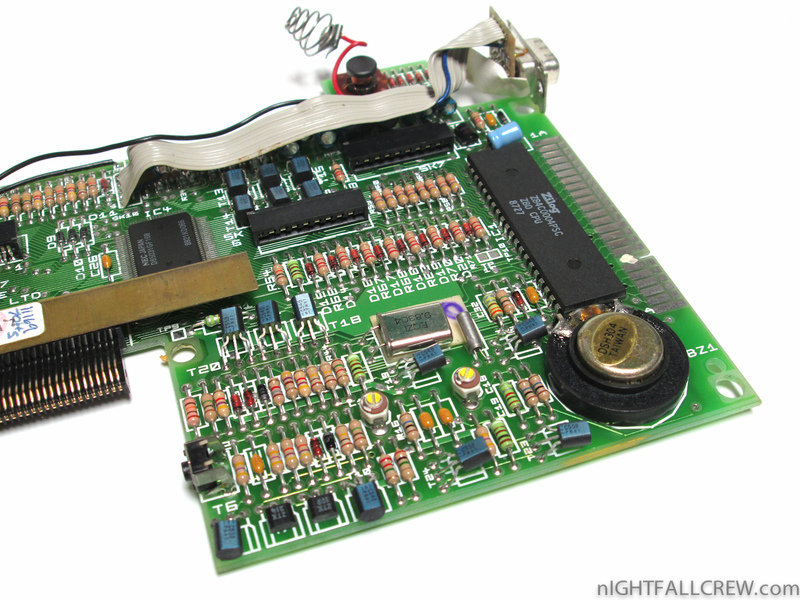 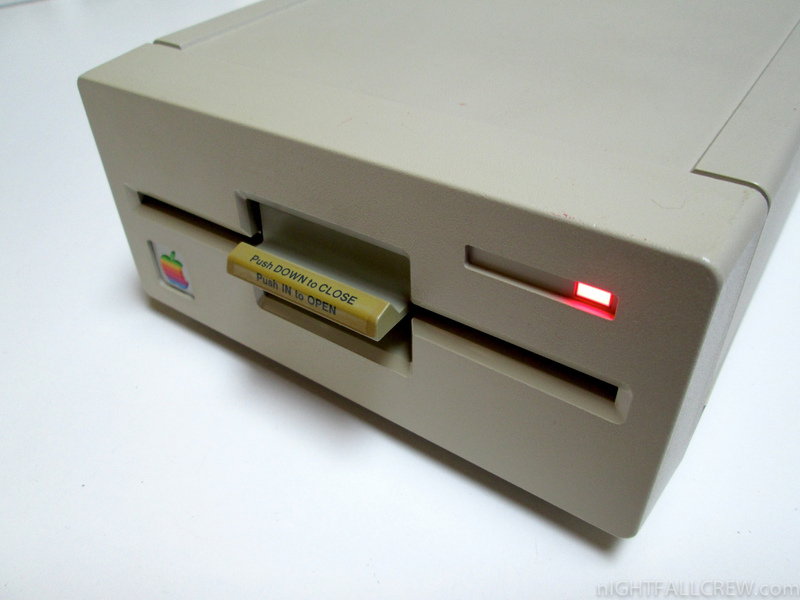 This is a CompactFlash / USB flash drive interface for Apple II family of computers. 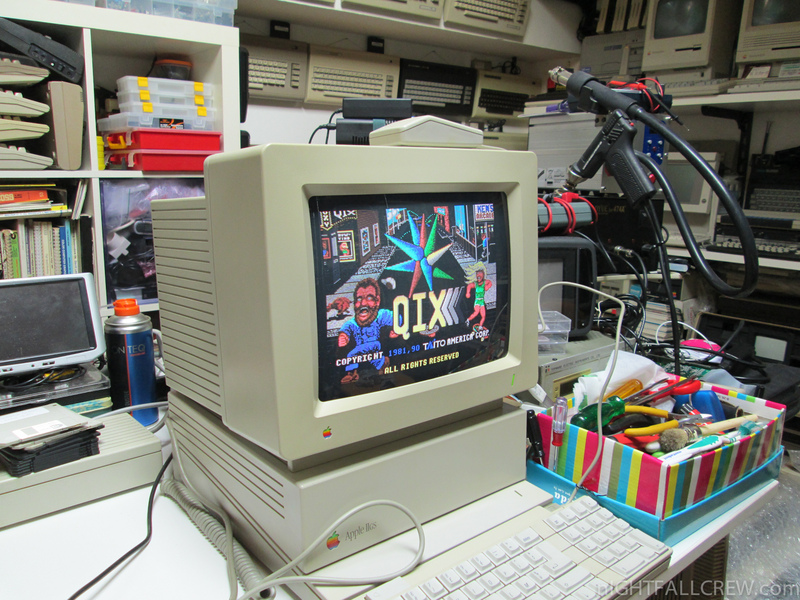 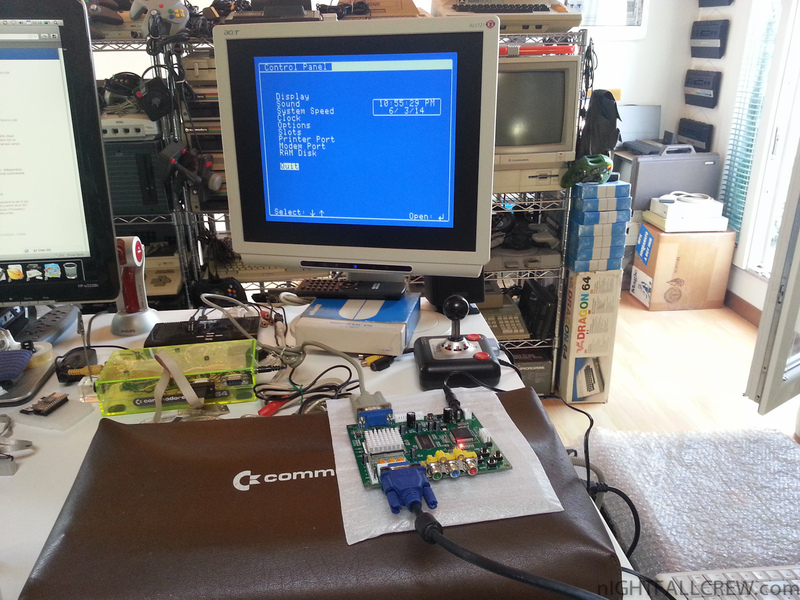 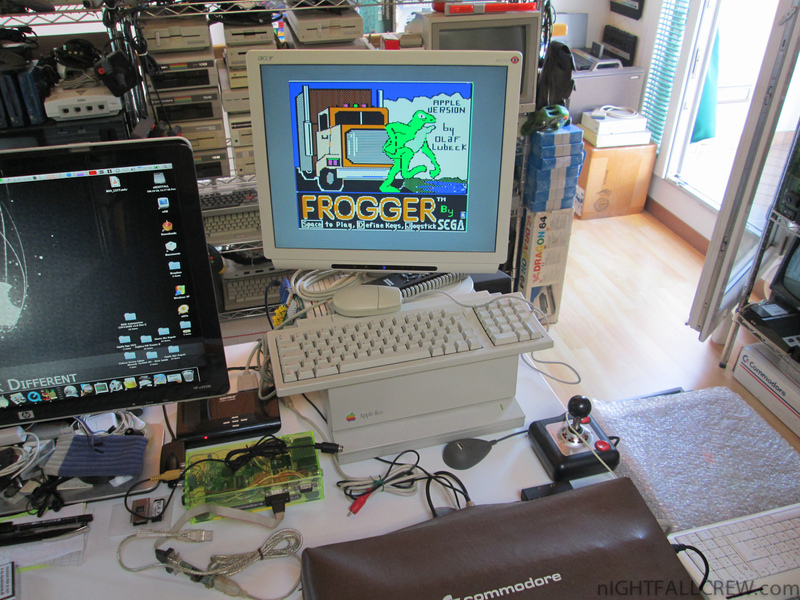 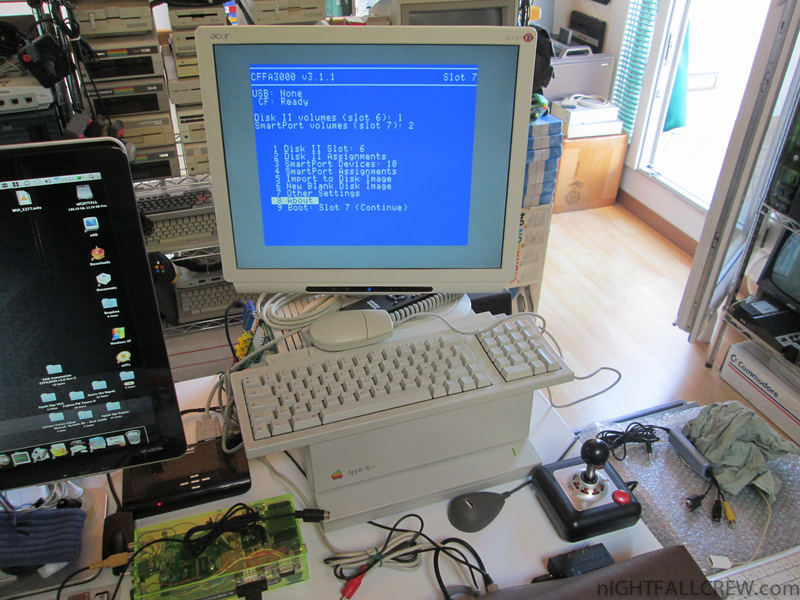 Apple IIgs through the GBS 8200 v4 (display scalar board) to a VGA Monitor. 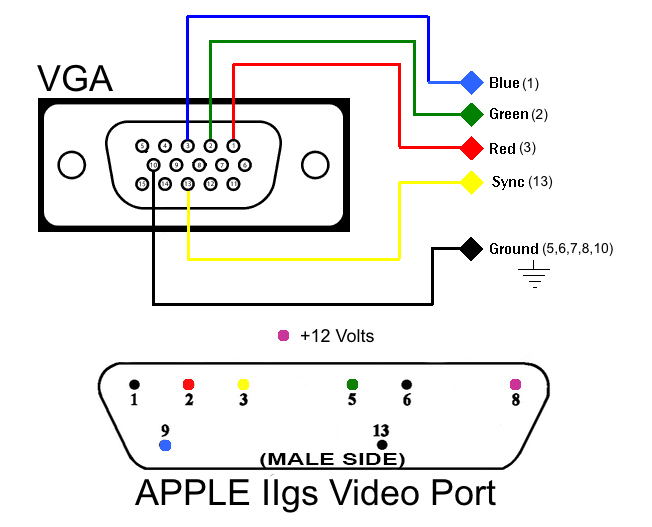 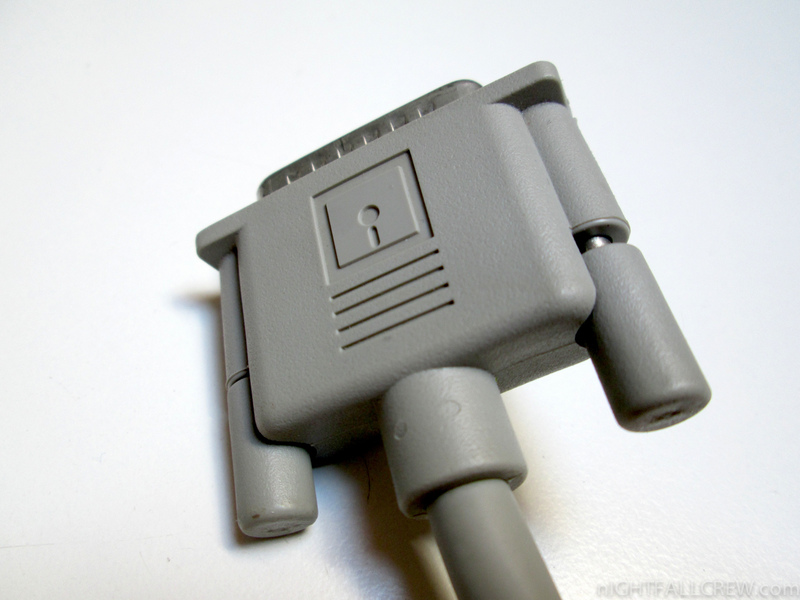 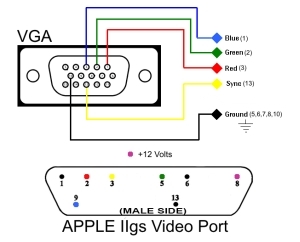 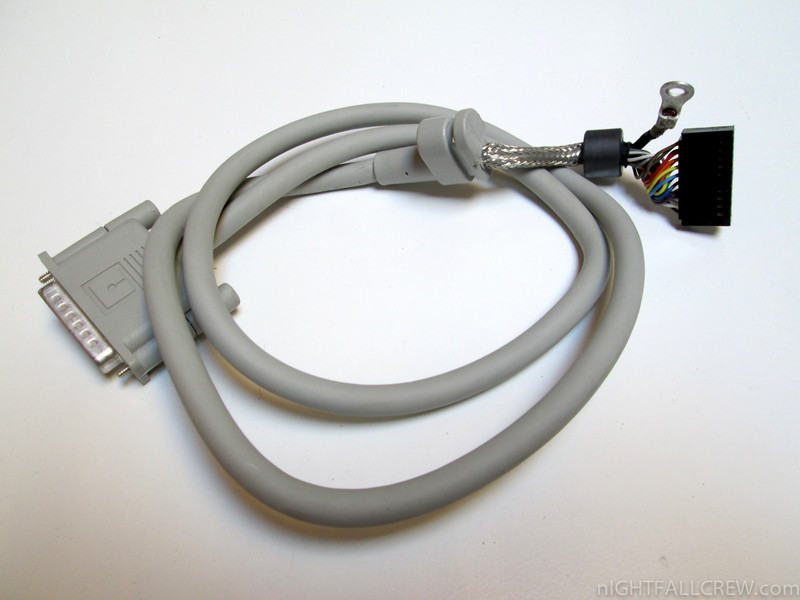 The cable that i have made takes from the Video Connector of the Apple IIgs the 12v voltage for the GBS 8200. 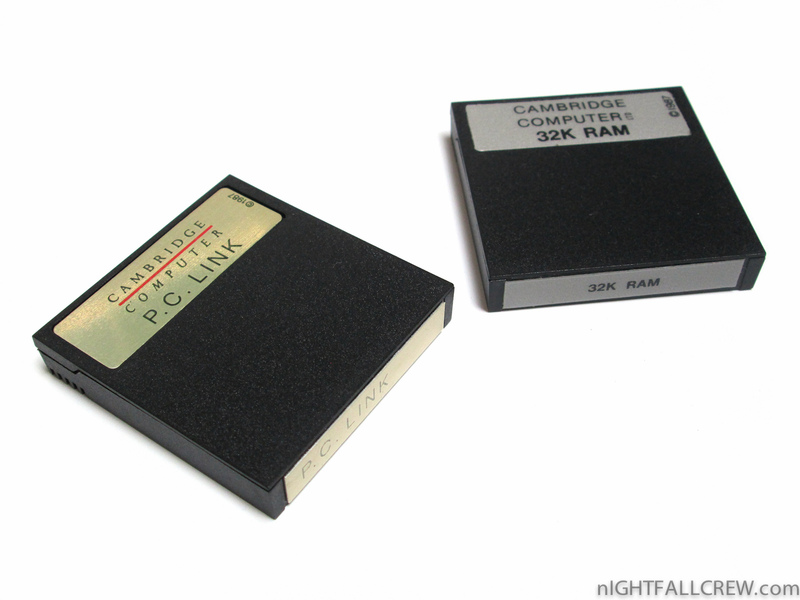 I thank my dear friend that gave me the Z88 Cambridge Computer. 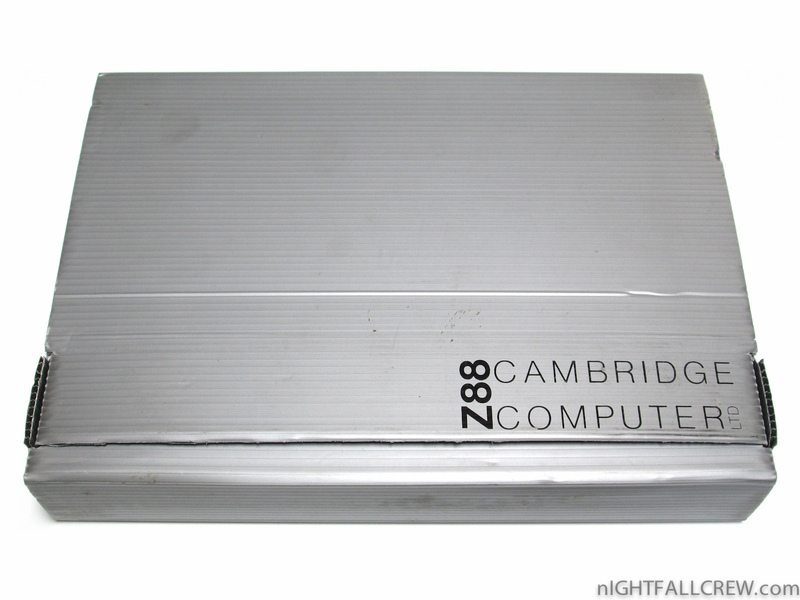 The Cambridge Computer Z88 is an A4-size, lightweight, portable Z80-based computer with a built-in combined word processing/spreadsheet/database application called PipeDream, along with several other applications and utilities, such as a Z80-version of the BBC BASIC programming language. 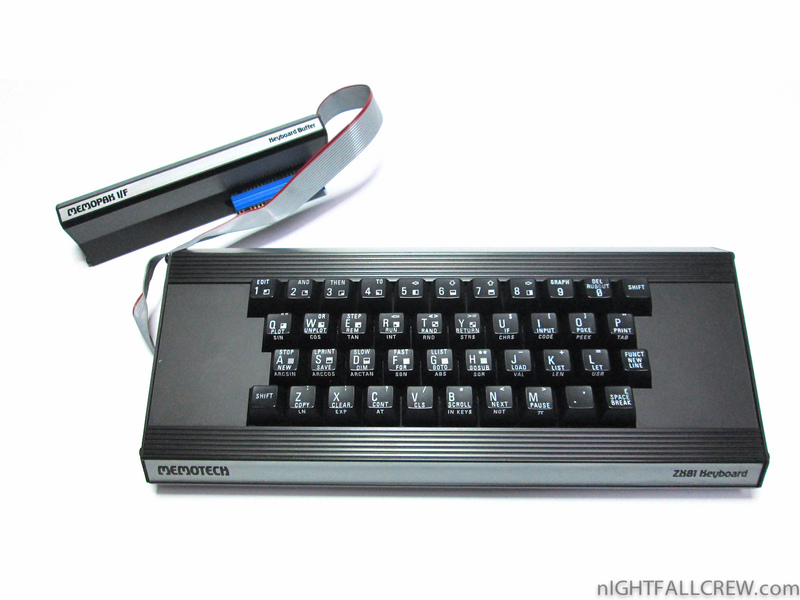 The Z88 evolved from Sir Clive Sinclair’s Pandora portable computer project which had been under development at Sinclair Research during the mid-1980s. 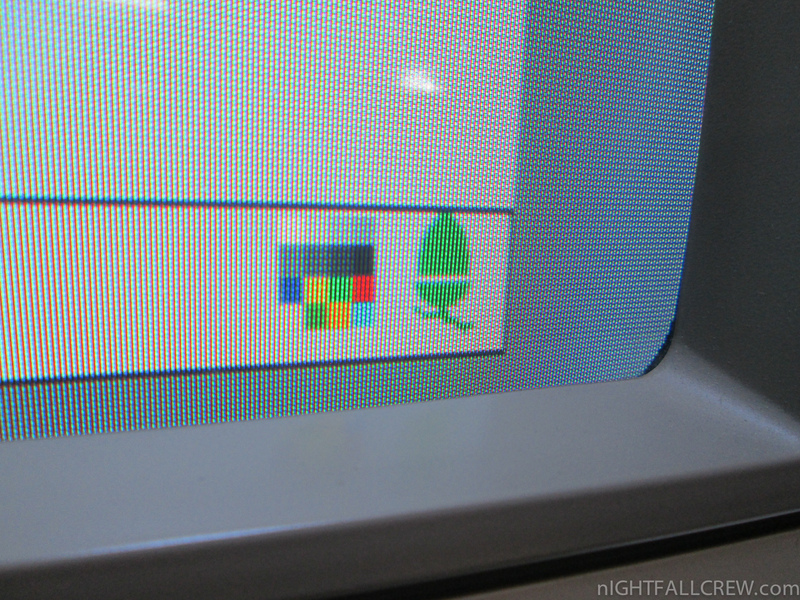 The machine was launched at the Which Computer? 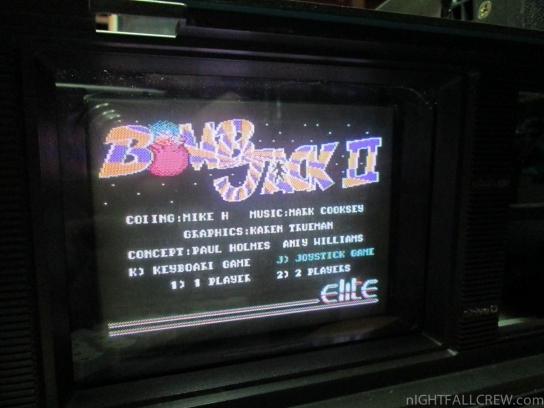 Show on 17 February 1987. 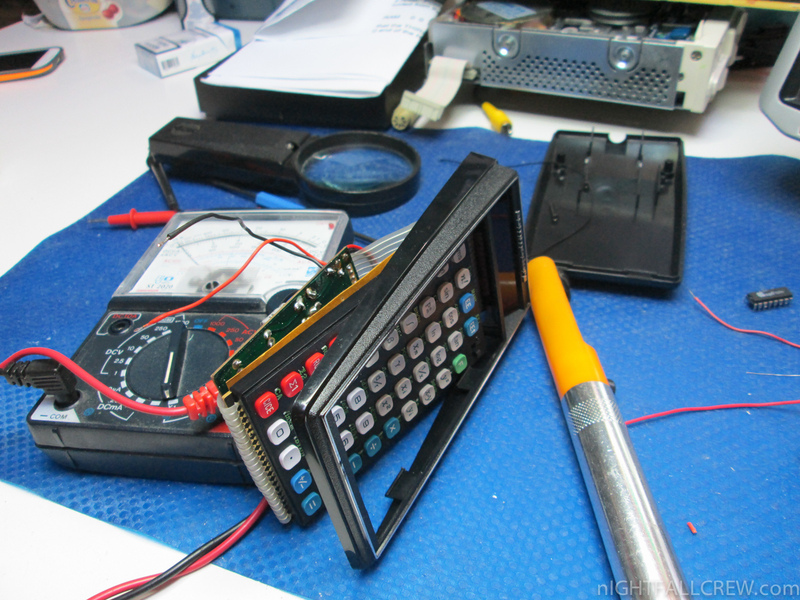 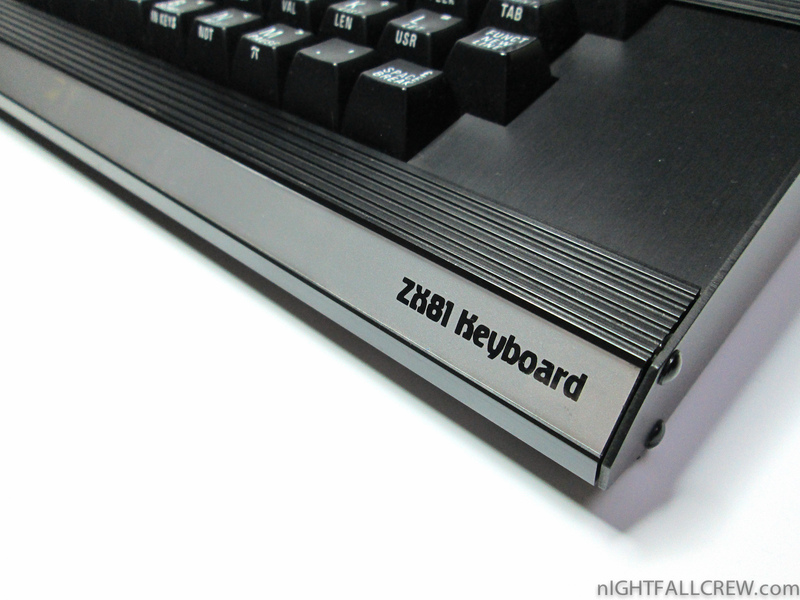 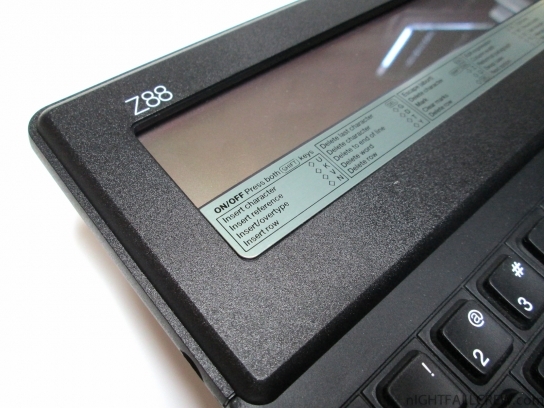 The Z88 is a portable computer weighing 0.9 kg, based on a low-power CMOS version of the popular Zilog Z80 microprocessor. 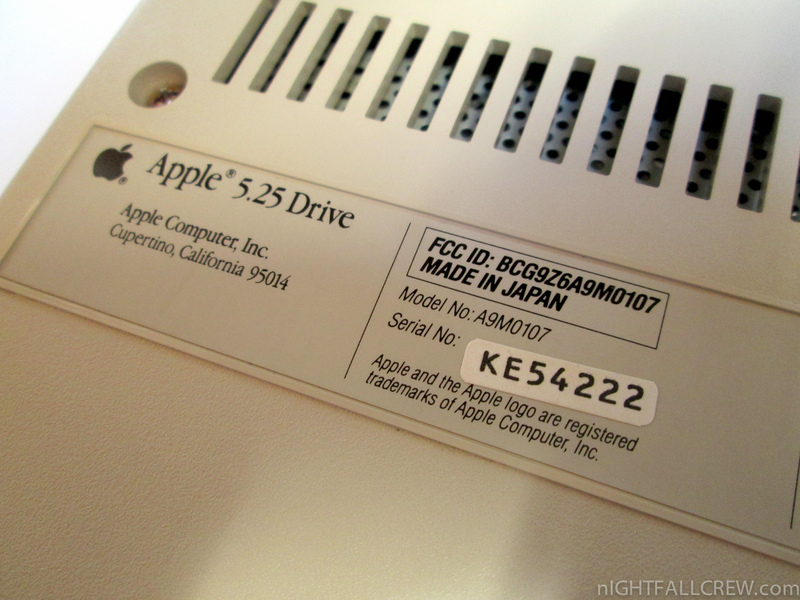 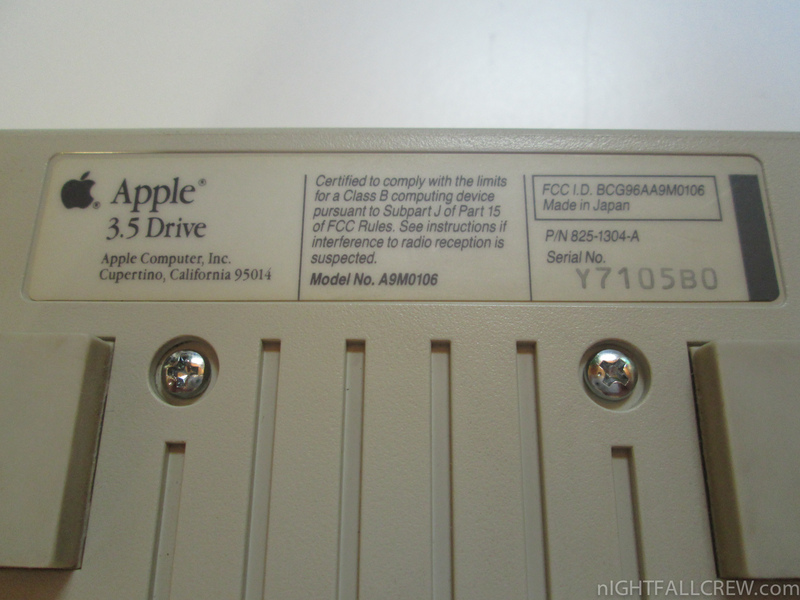 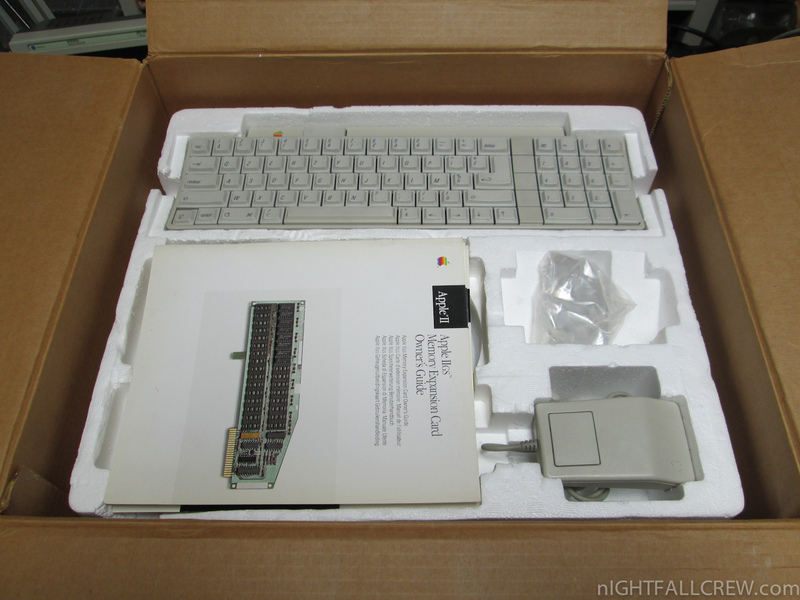 It comes with 32 KiB of internal pseudo-static RAM and 128 KiB of ROM containing the operating system (called OZ). The memory can be expanded up to 3.5 MiB of RAM, the contents of which are preserved across sessions. 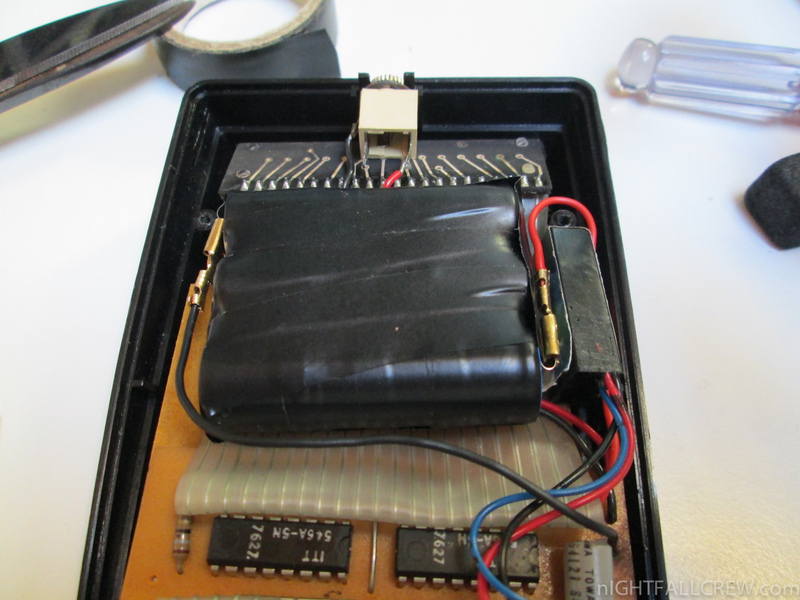 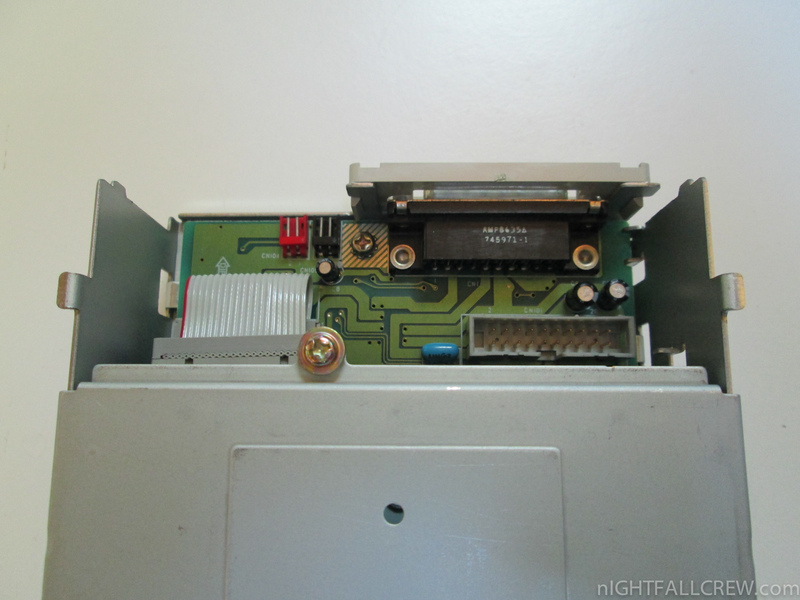 An integrated capacitor prevents the Z88 from losing its data for the limited amount of time it takes to change the batteries. 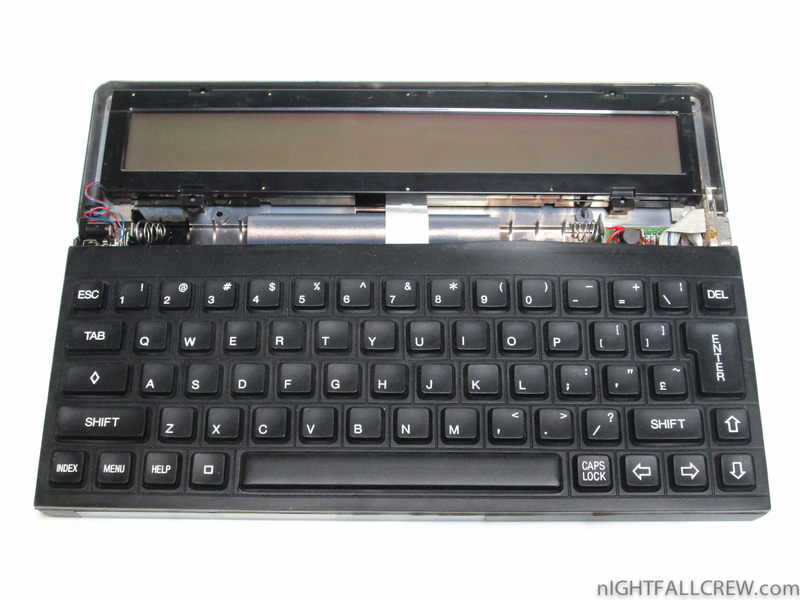 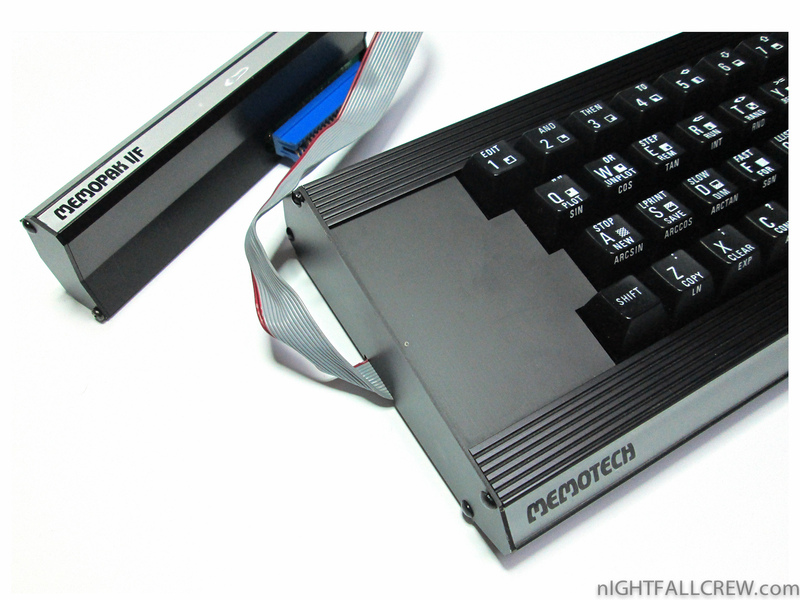 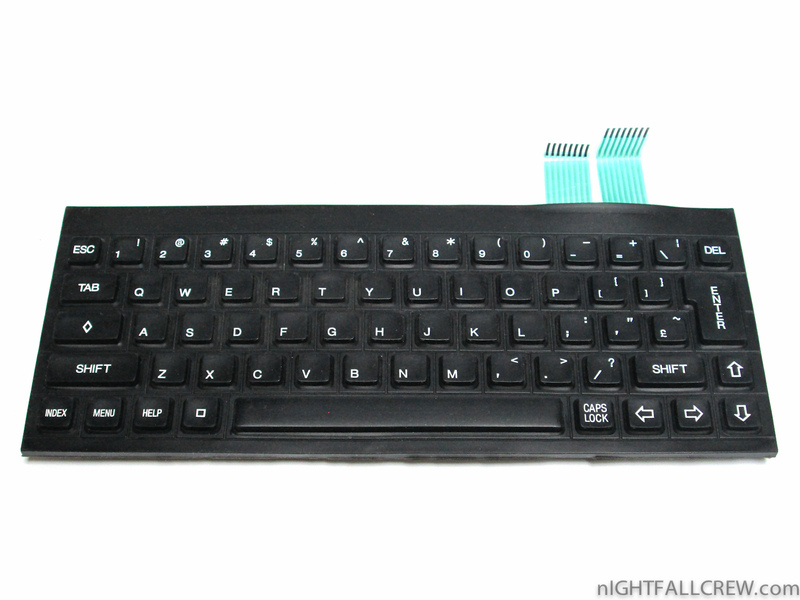 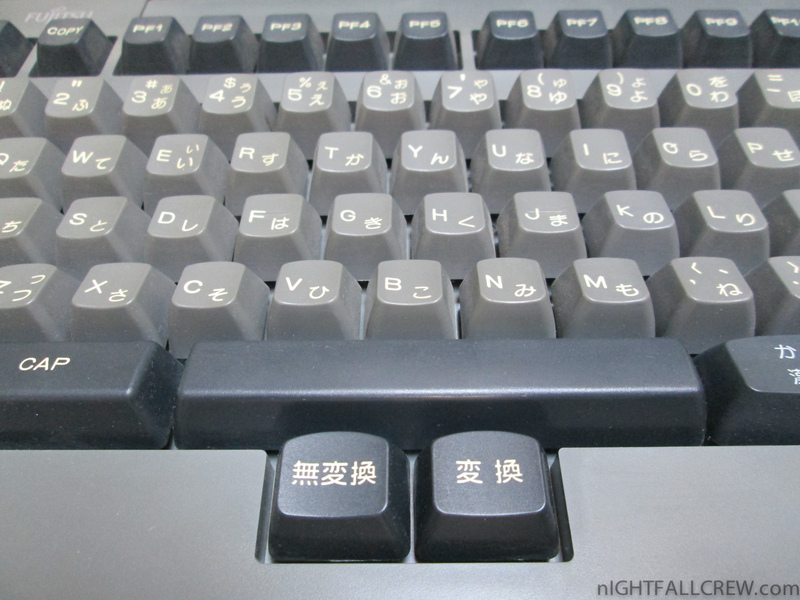 The machine uses a membrane keyboard, which is almost silent in use; an optional electronic “click” can be turned on to indicate keystrokes. 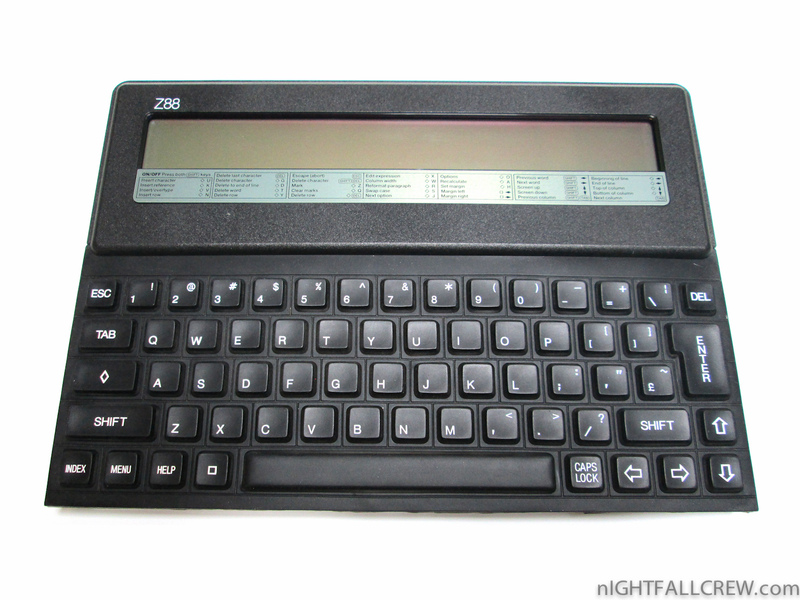 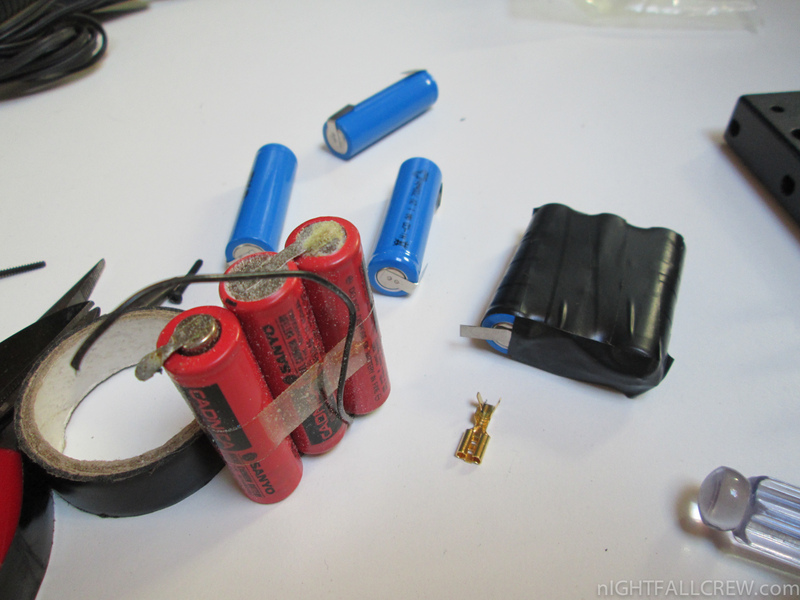 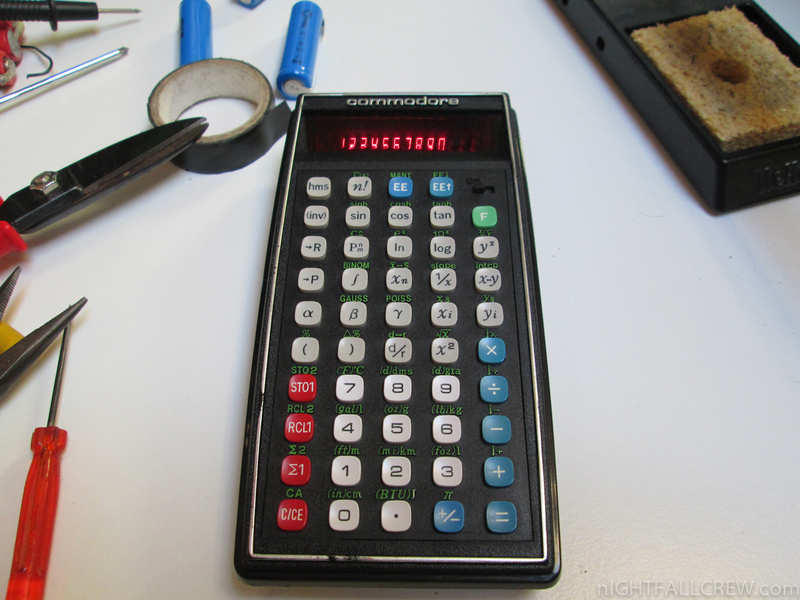 The Z88 is powered by four AA batteries, giving up to 20 hours of use. 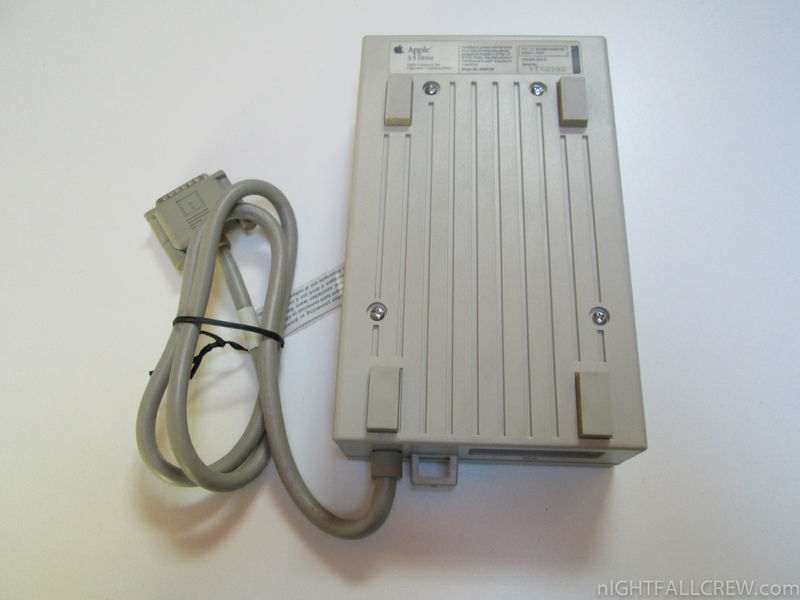 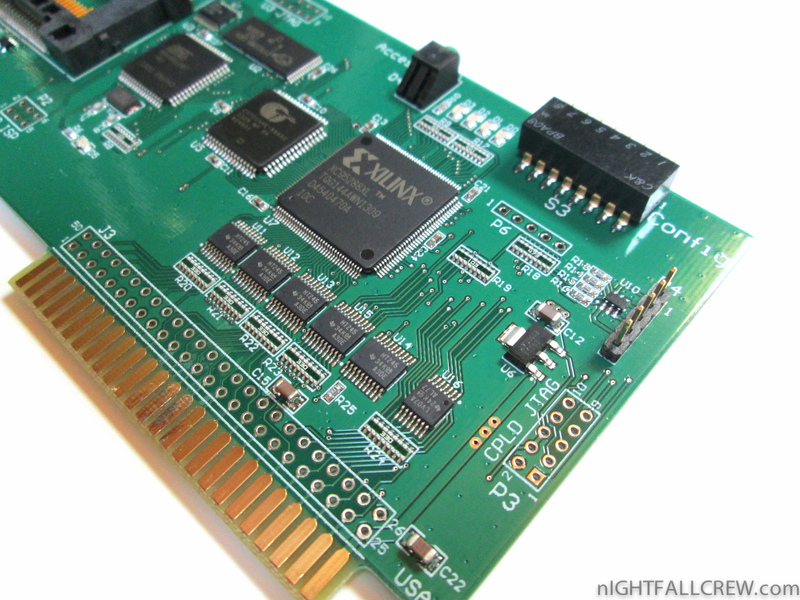 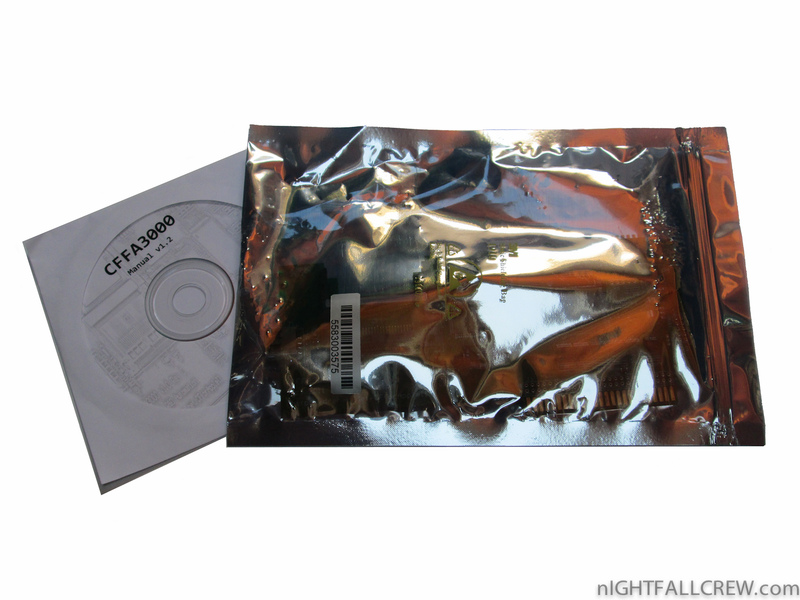 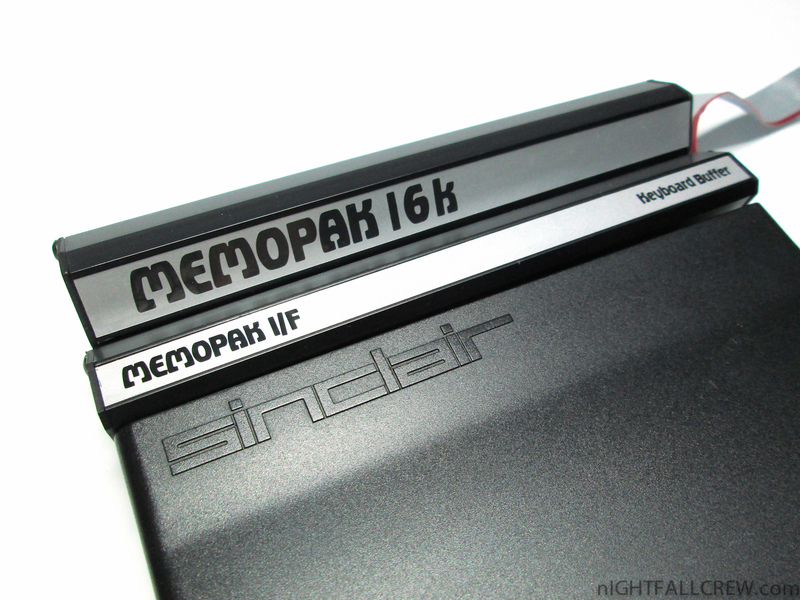 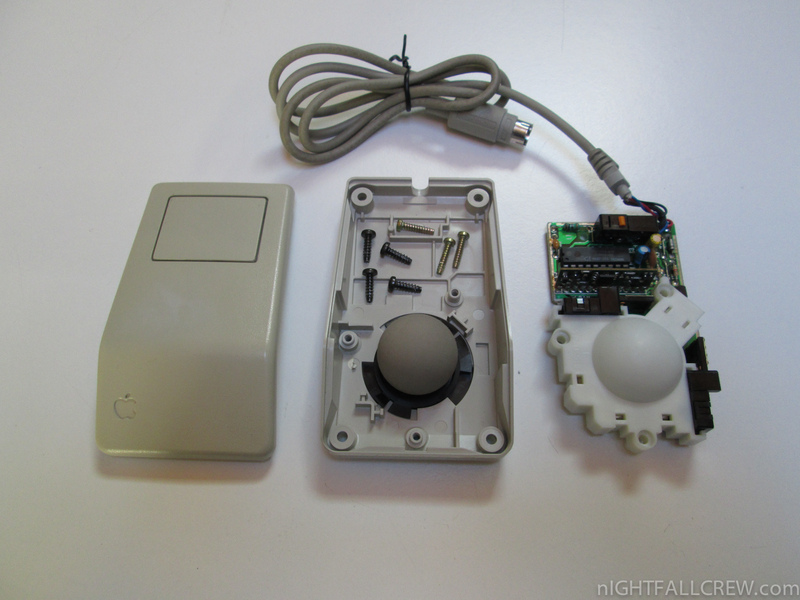 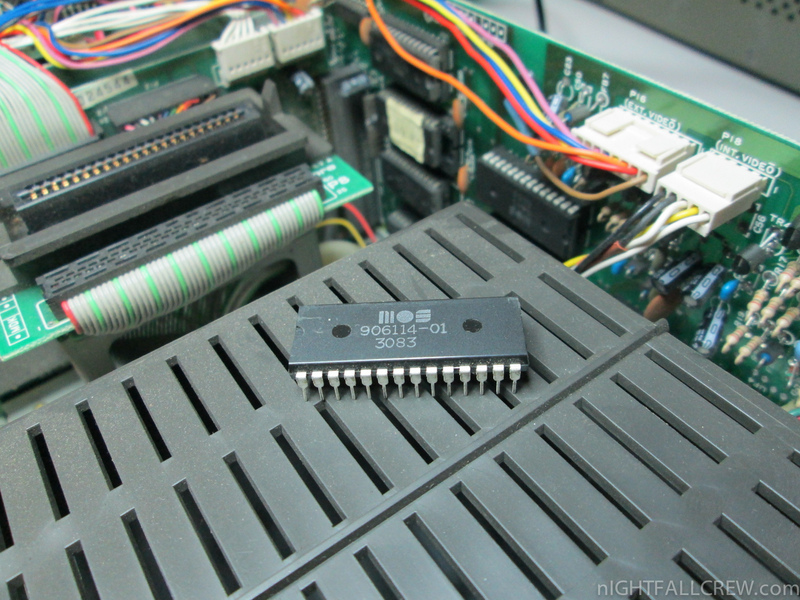 It has three memory card slots, which accommodate proprietary RAM, ROM or EPROM cards, the third slot being equipped with a built-in EPROM programmer. 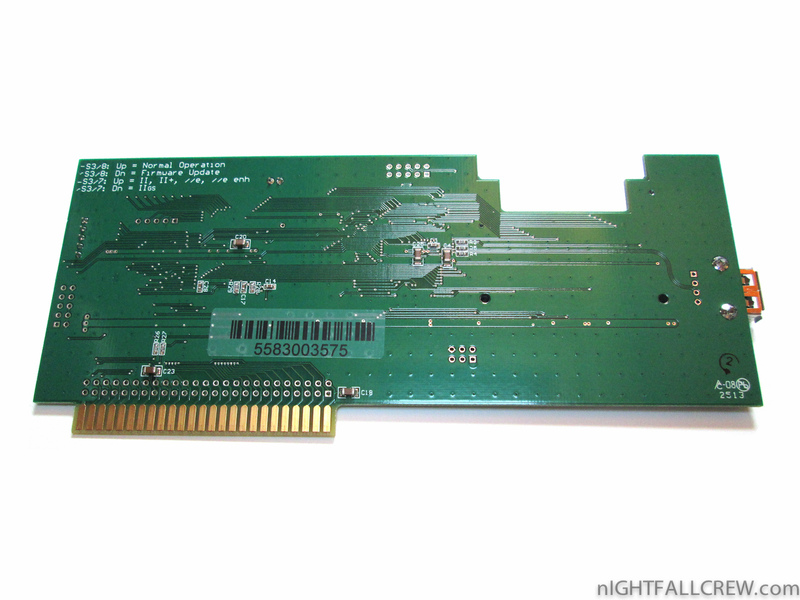 Card capacities range from 32 KiB to 1 MiB. 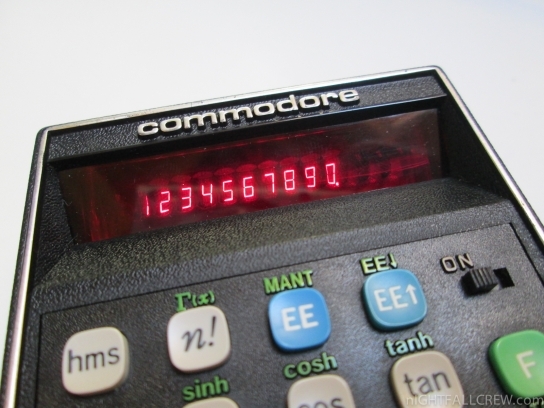 The Z88 has a built-in eight-line, “super-twisted” LCD display, which has greater contrast than conventional twisted nematic LCDs. 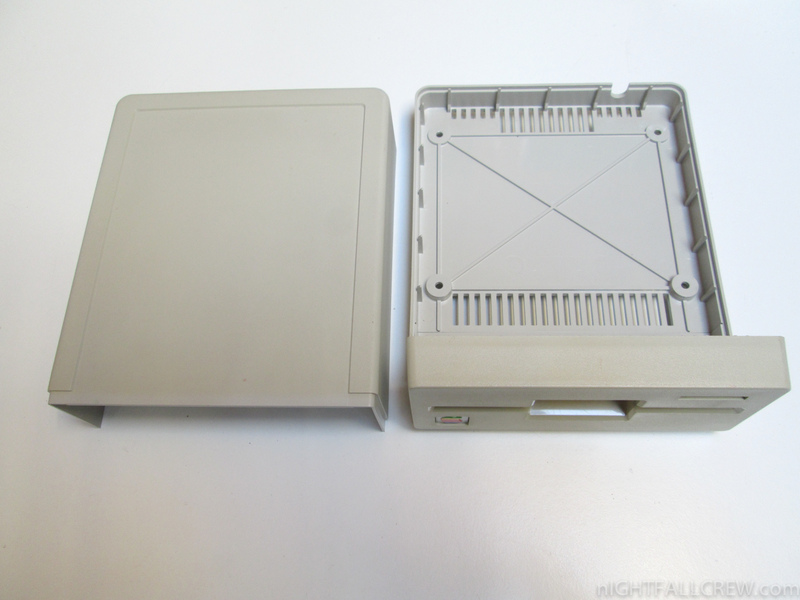 The Gotek is a USB Floppy Drive emulator very cheap, you can buy it from eBay at €24.00 €20.00 including the shipping cost. 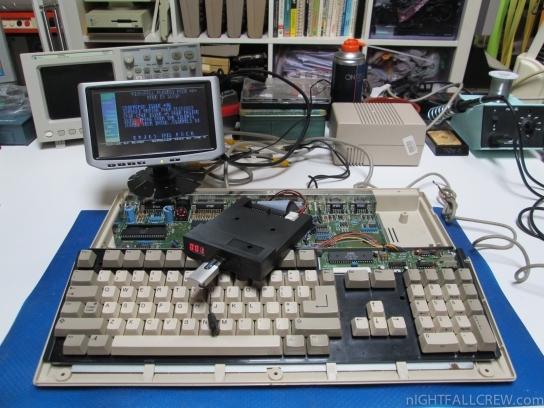 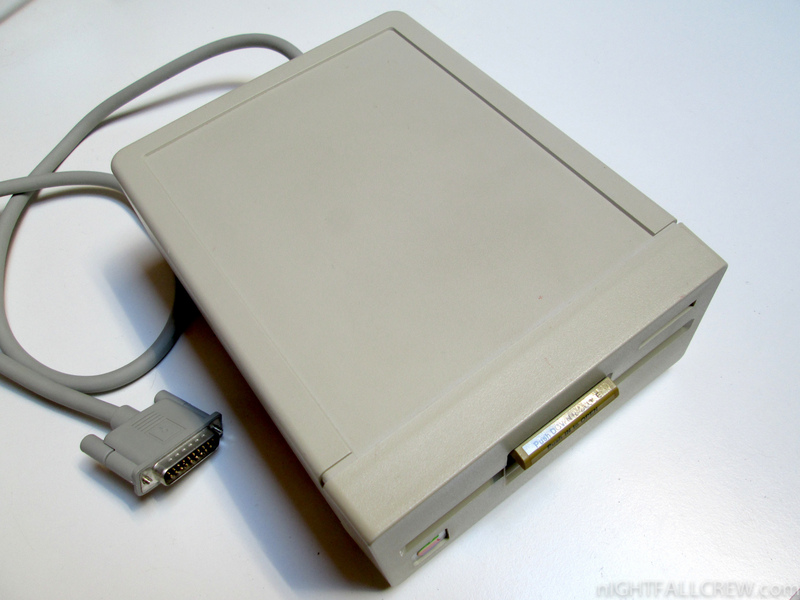 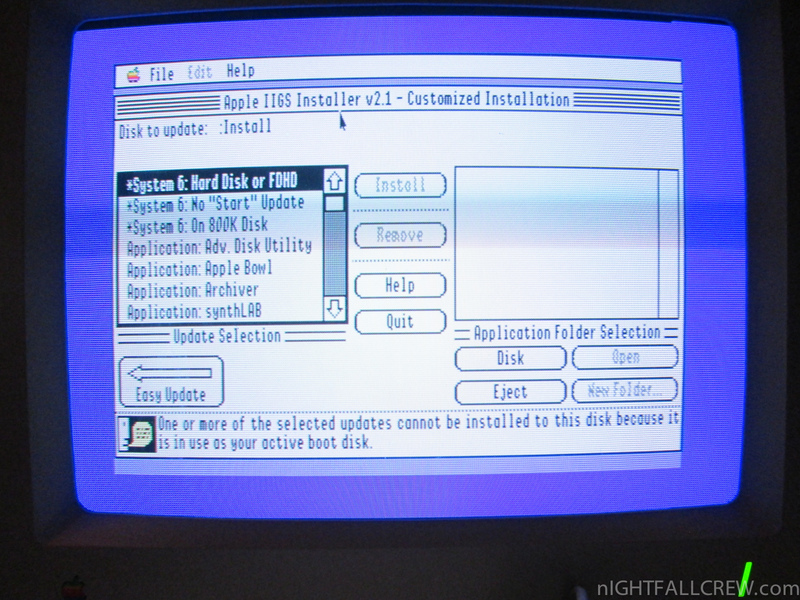 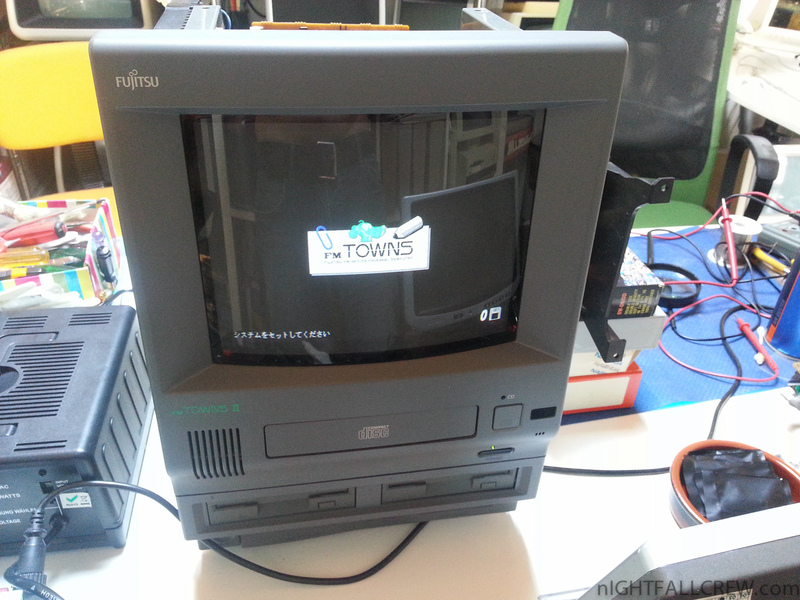 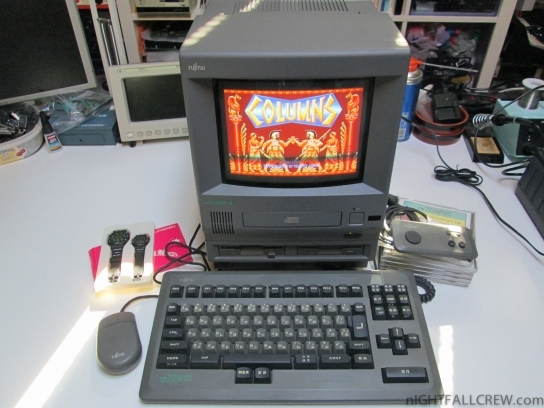 Let’s start by saying that this Floppy Disk Emulator with the original firmware is totally useless for our purpose, like to connect it to an Amiga and in the near future to a Atari ST or Amstrad CPC. 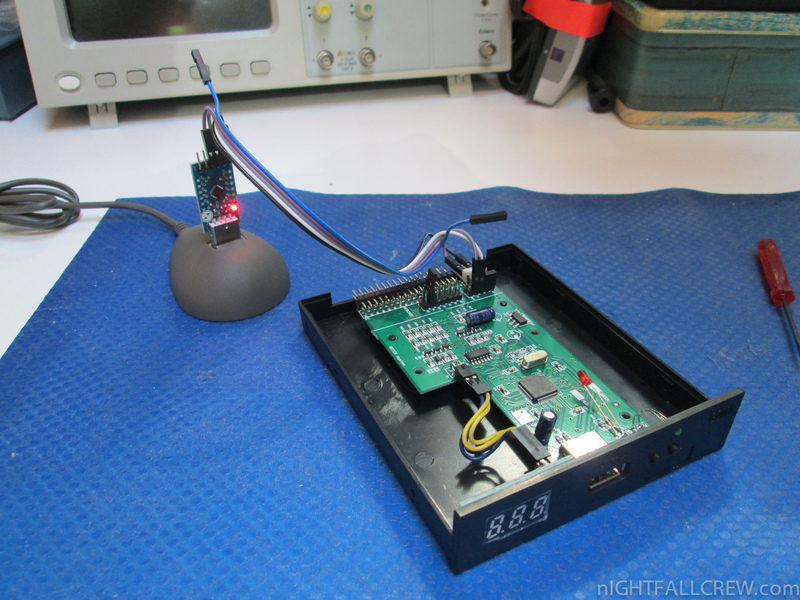 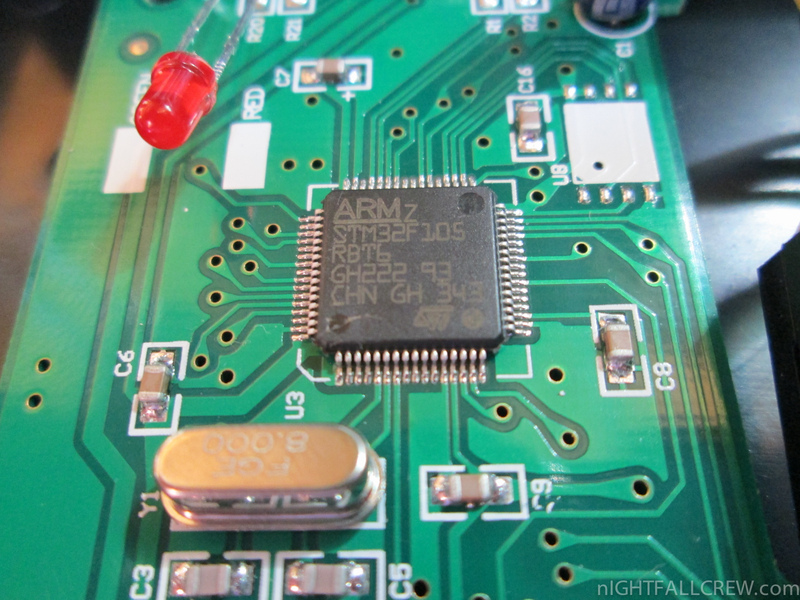 The new firmware written by Herve Messinger replaces the original firmware, to do this you need a simple converter from USB to TTL Serial Interface to program the STM32 ARM Cortex MCU. 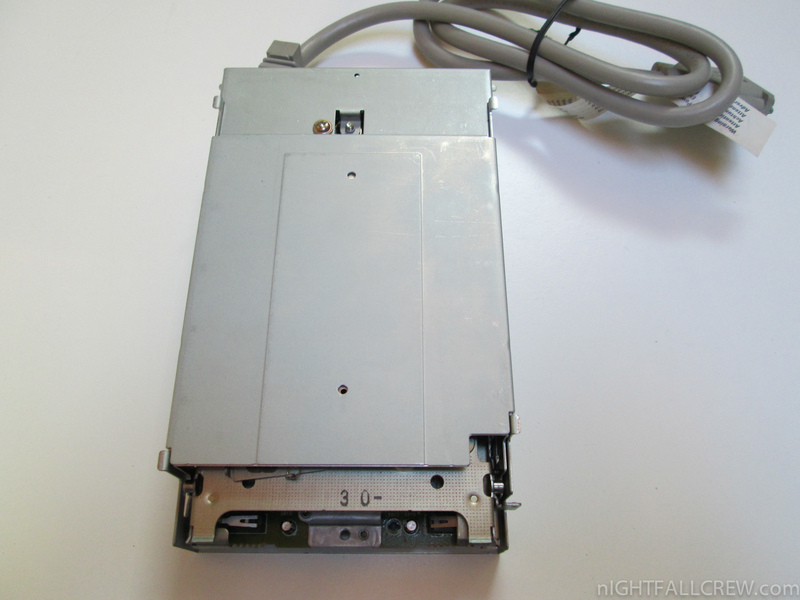 I would add this thing; this Floppy Drive Emulator is not absolutely comparable to the HXC Floppy Emulator of Jean-François DEL NERO (Jeff) where in addition to supporting dozens of Floppy Formats/Hardware and the Firmware is in development from several years but it’s a nice and inexpensive alternative. 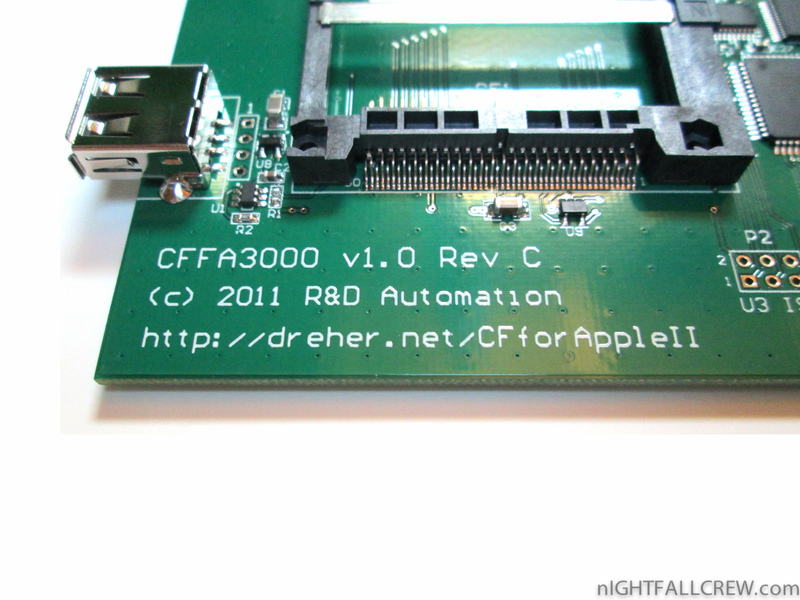 For more information, firmware and programming tool you need to go here the official blog of Herve Messinger. 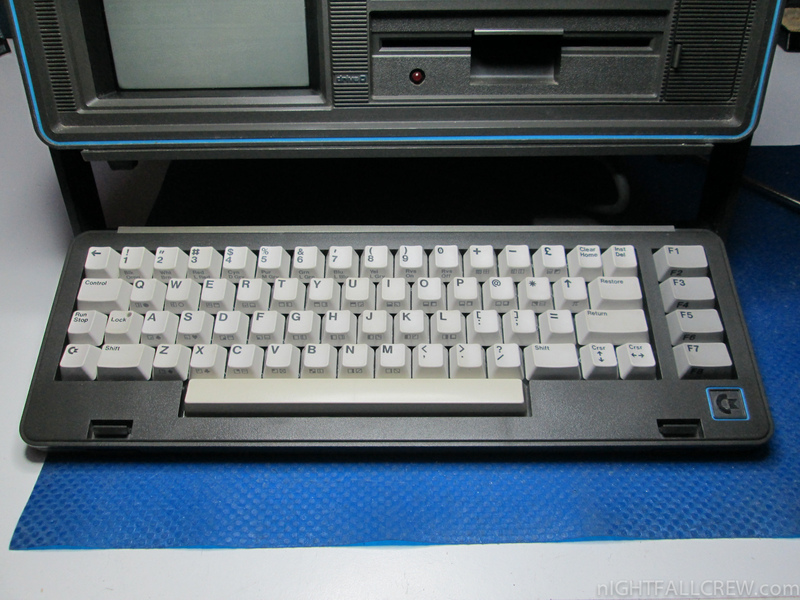 Some keys works and some not. 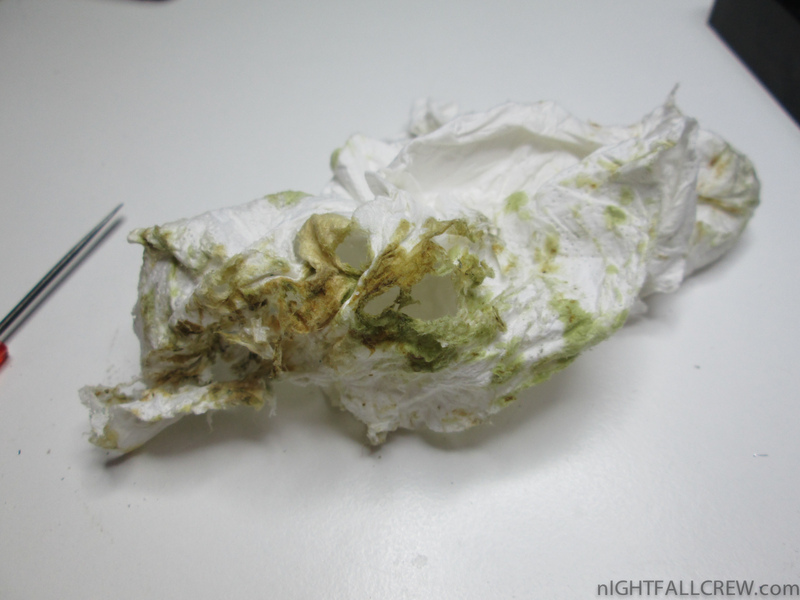 Cleaning with a “Contact Cleaner” to remove the oxidation of gold contacts under the membrane. 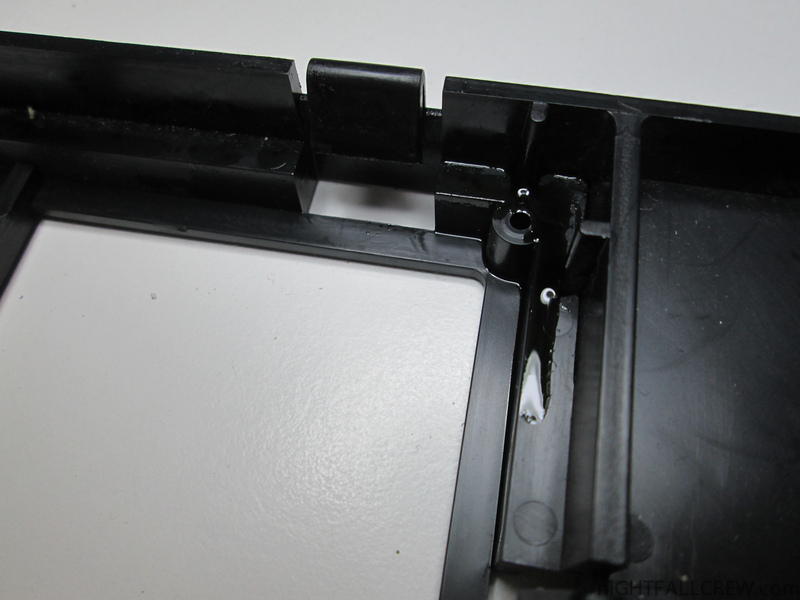 Cleaning the keyboard case (inside/outside). 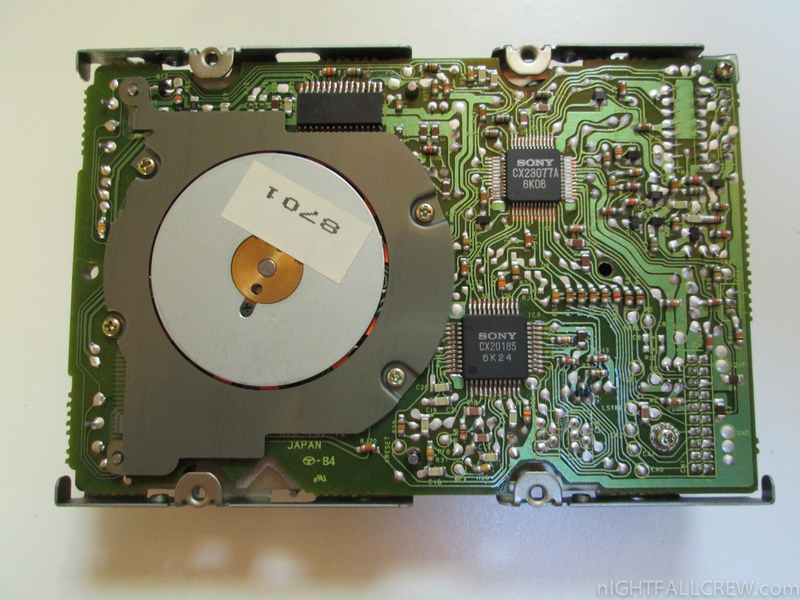 Black screen and then noise of a misaligned drive (don’t read anything). 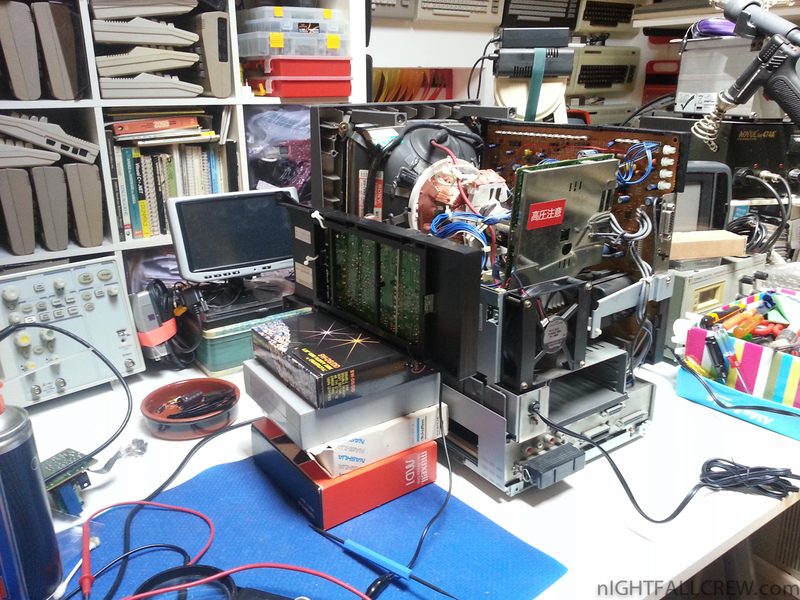 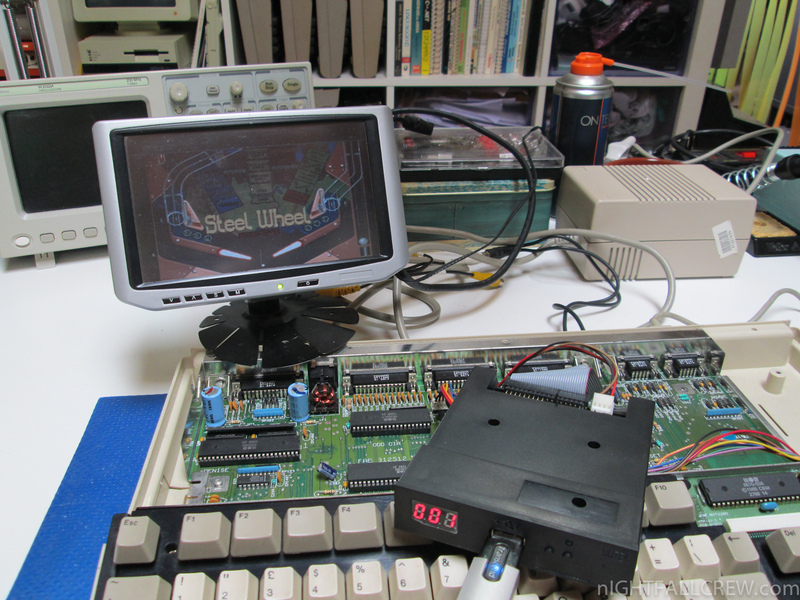 Aligned the Floppy Drive using the original copy of the Free Spirit Software Drive Alignment. 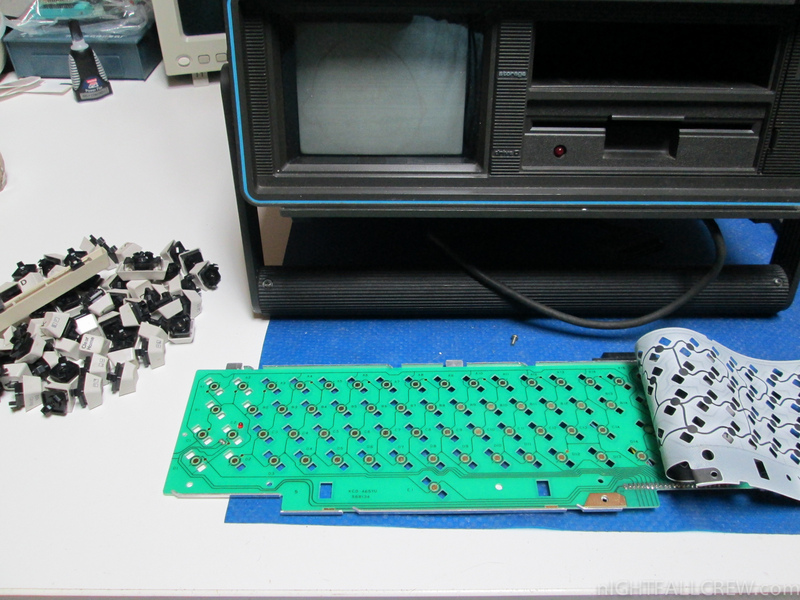 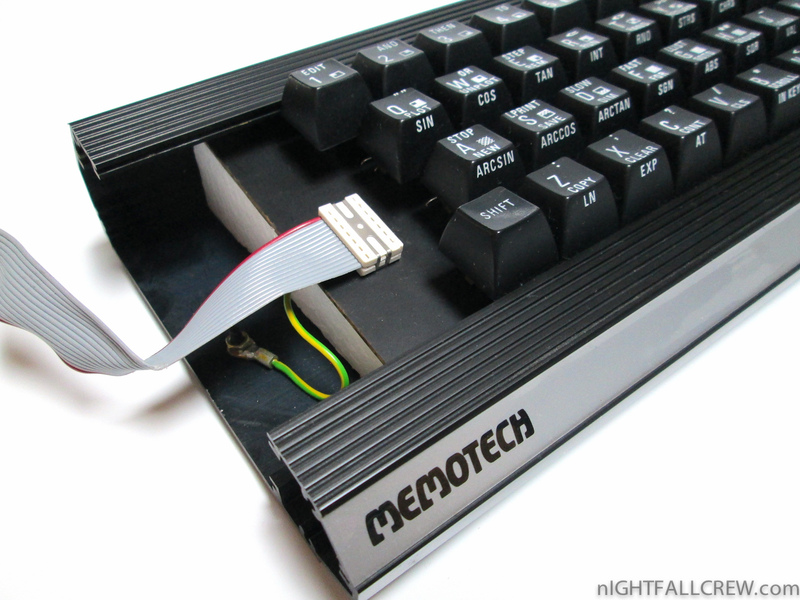 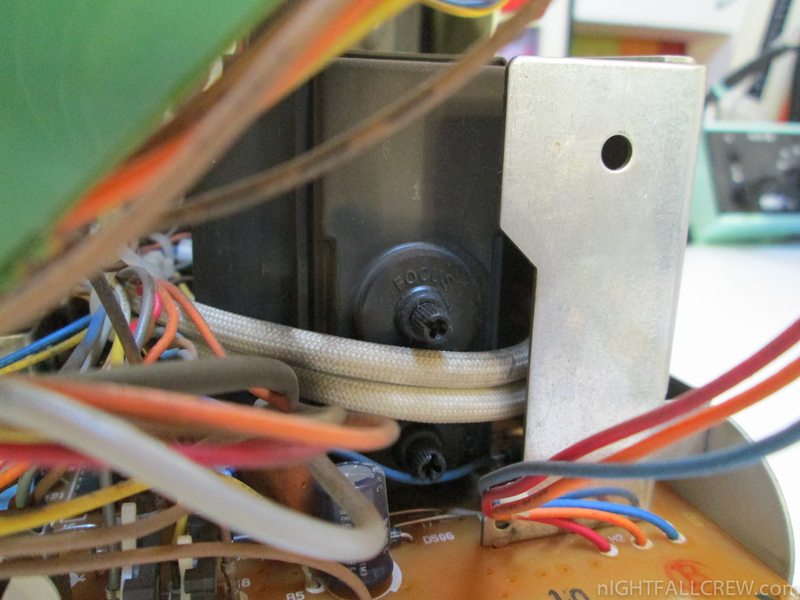 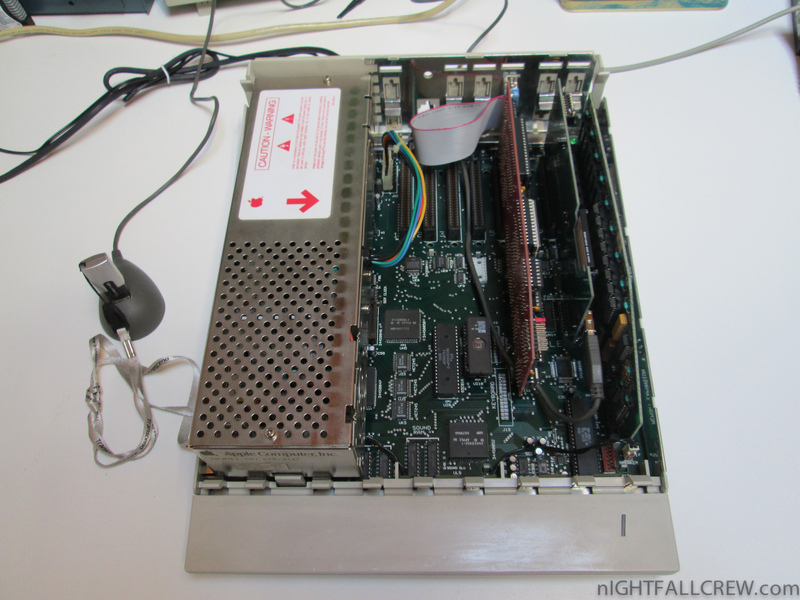 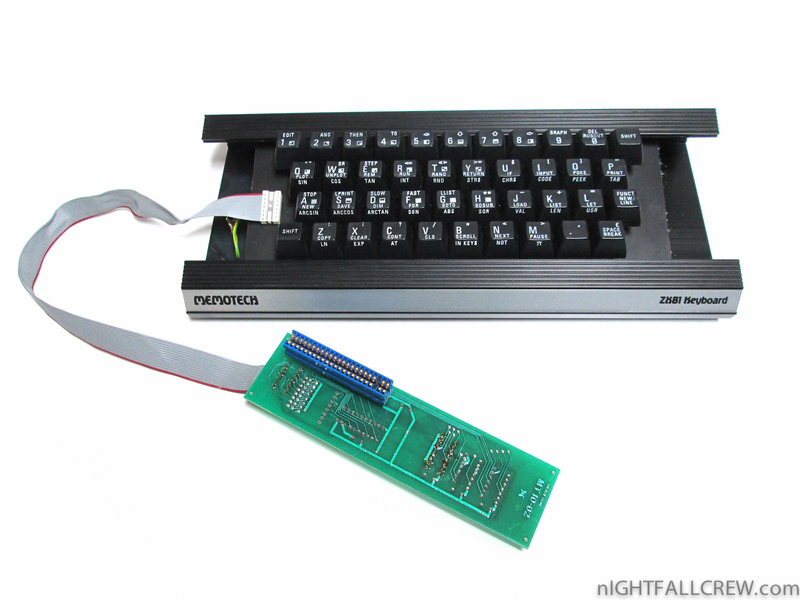 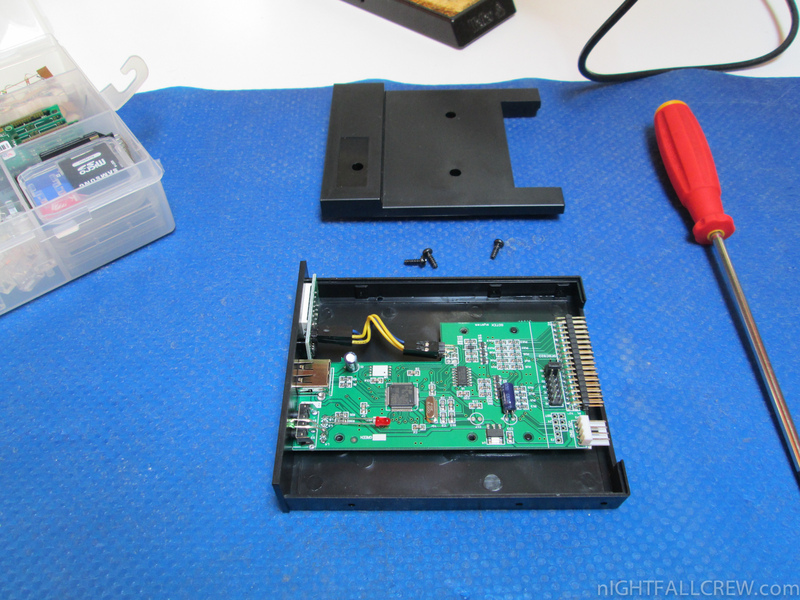 Removed the broken switch to disable the write protection and disconnected a LED on the front side of the SX64. 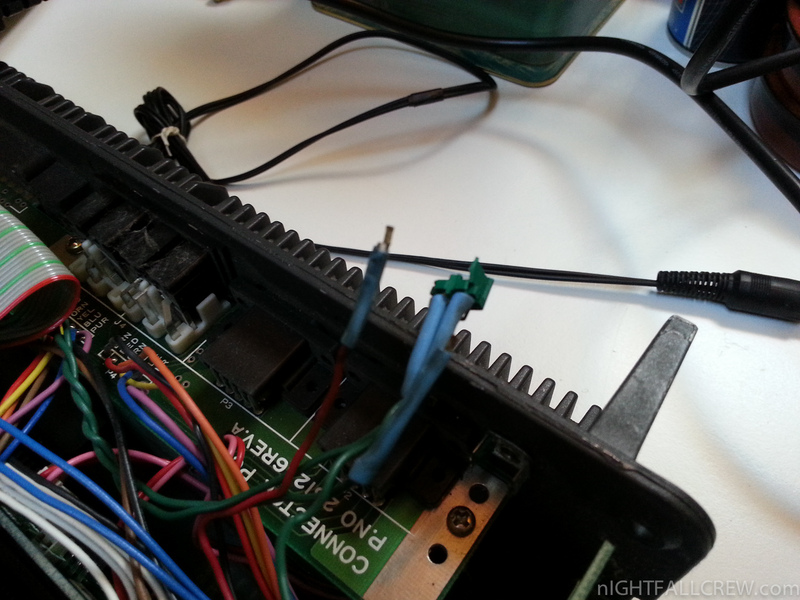 Connected the sensor wires cut. 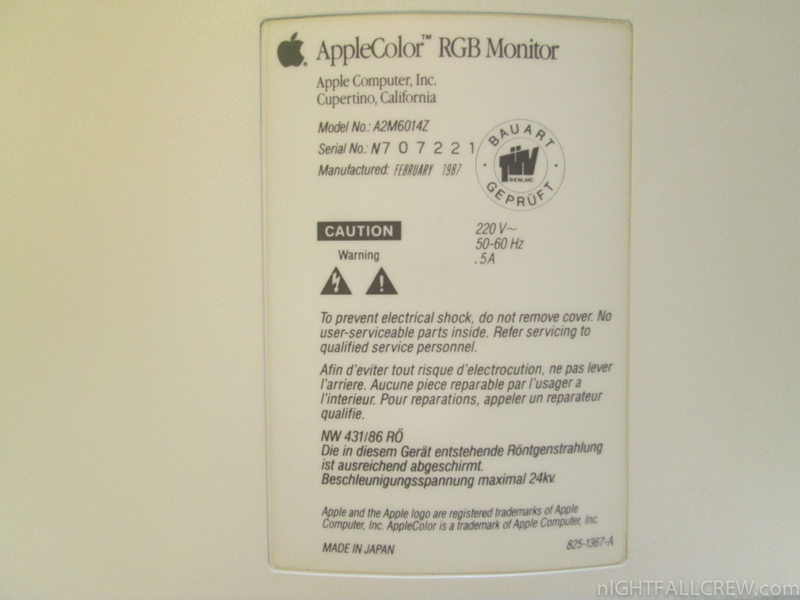 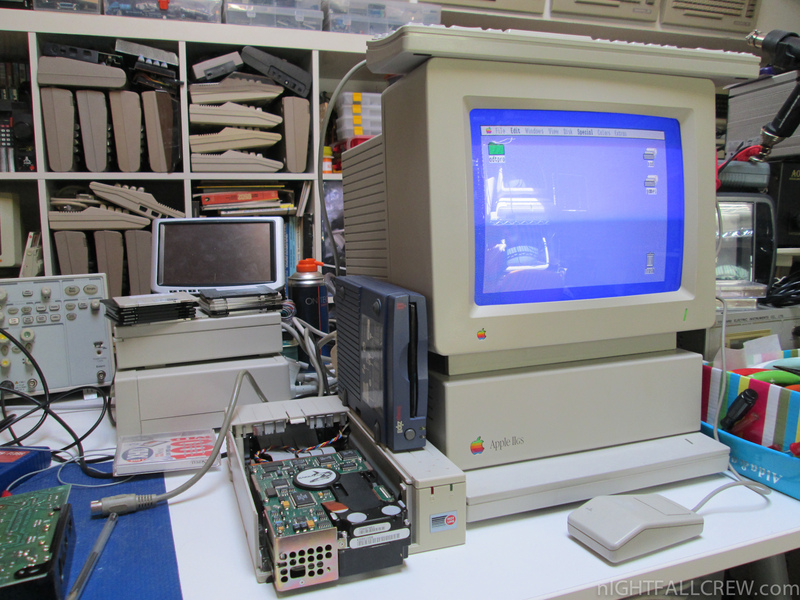 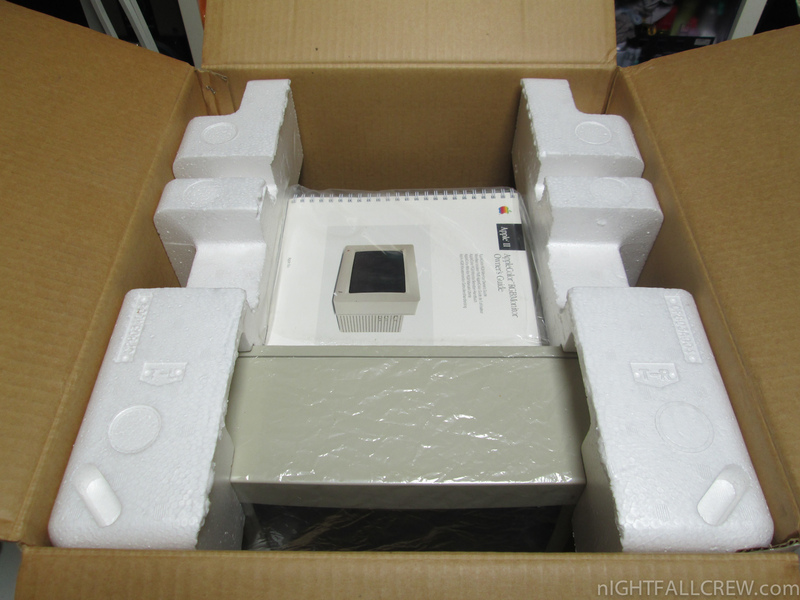 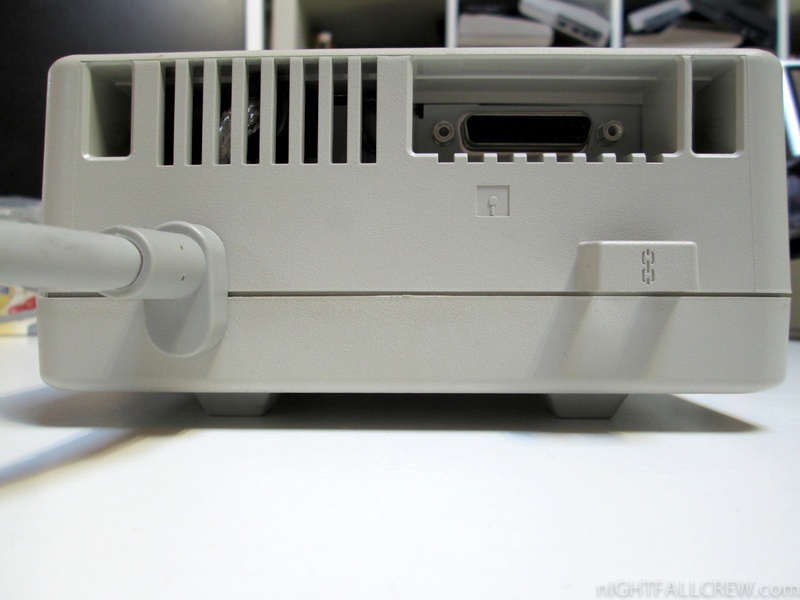 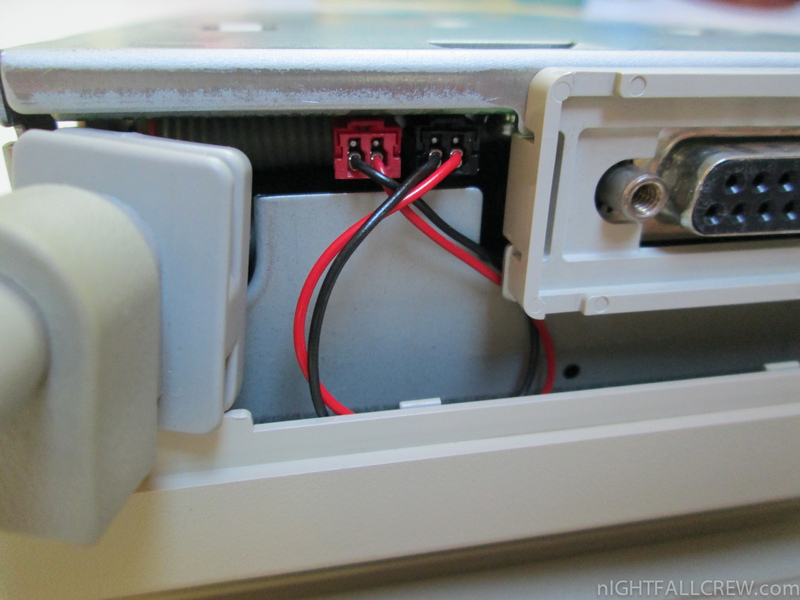 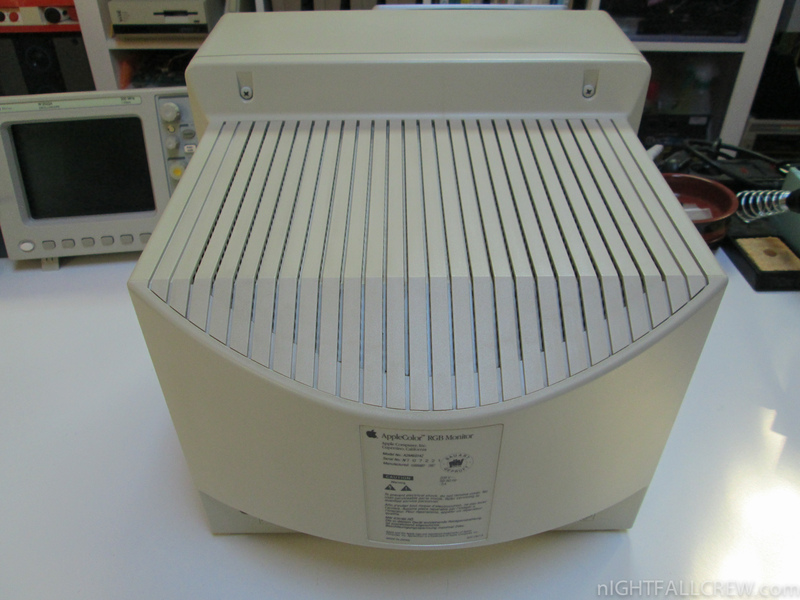 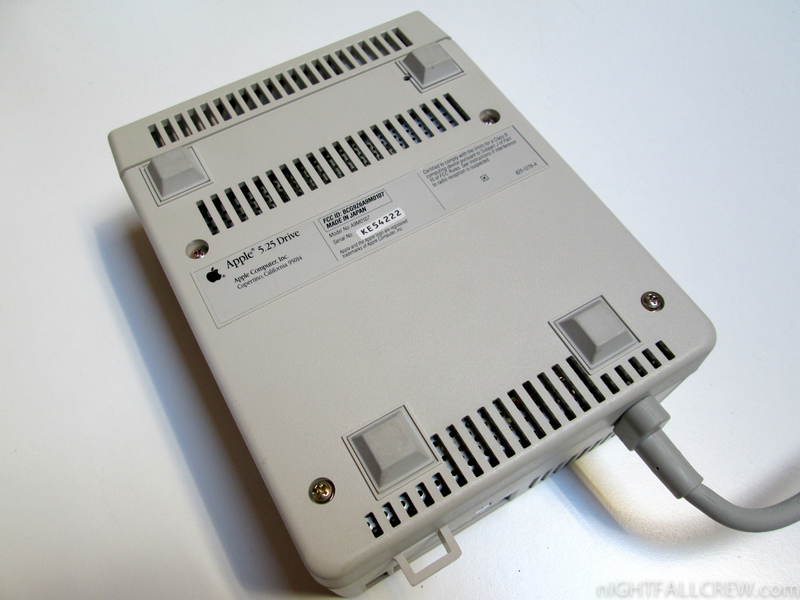 Apple IIc Rom v4 Upgrade & Repair. 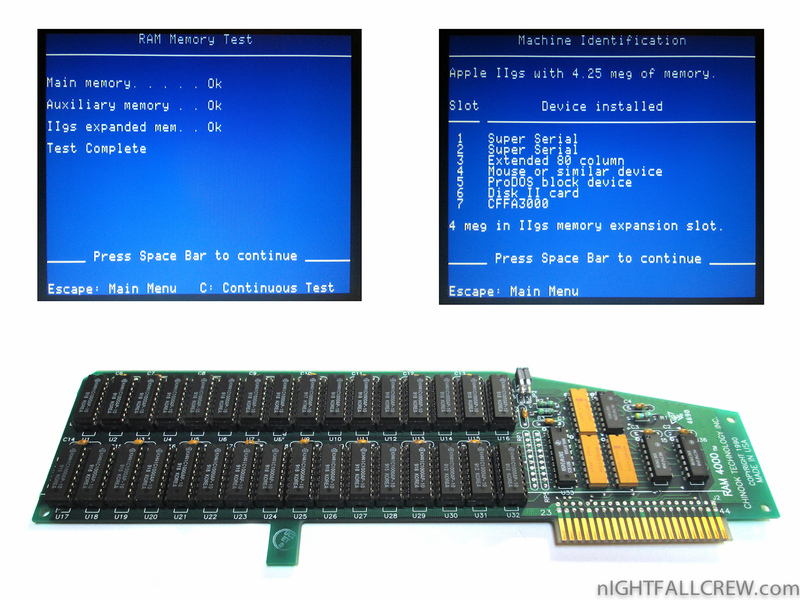 The second RAM in the auxiliary memory is faulty. 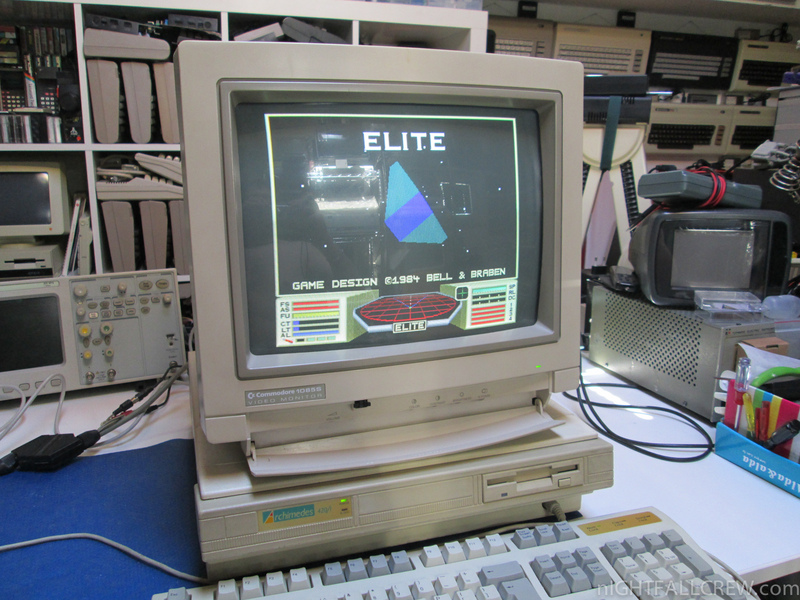 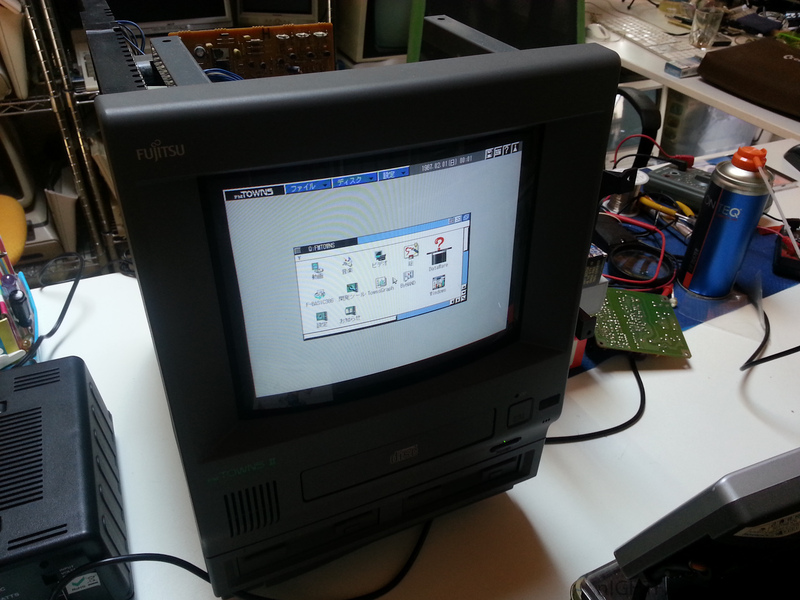 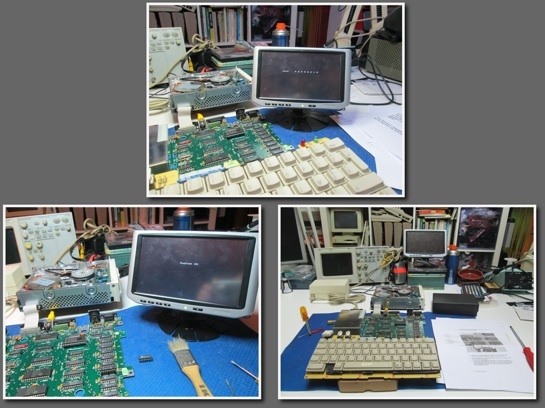 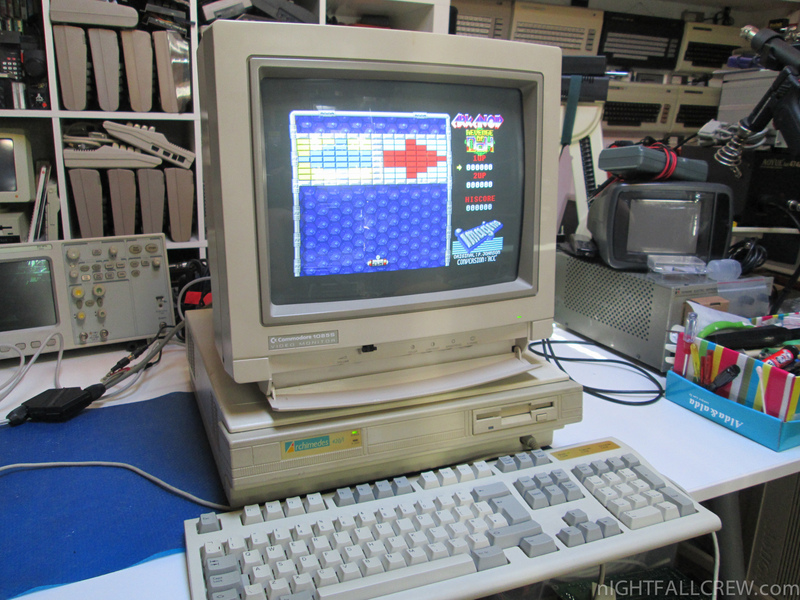 This is a test done for a dear friend to check if the Acorn Archimedes A420/I is working properly. 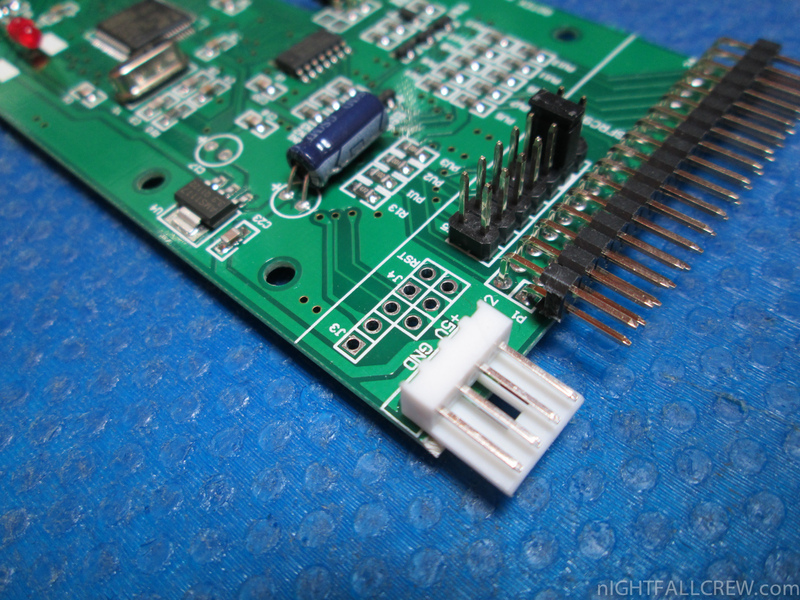 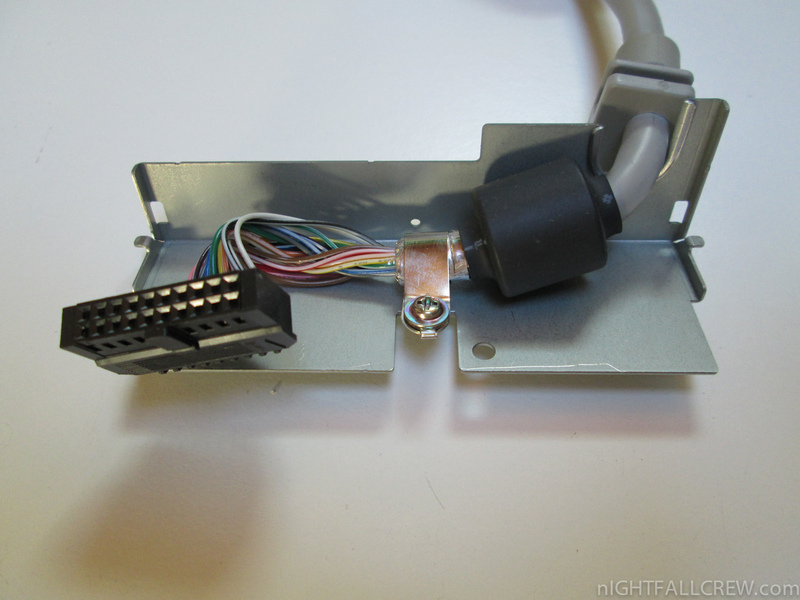 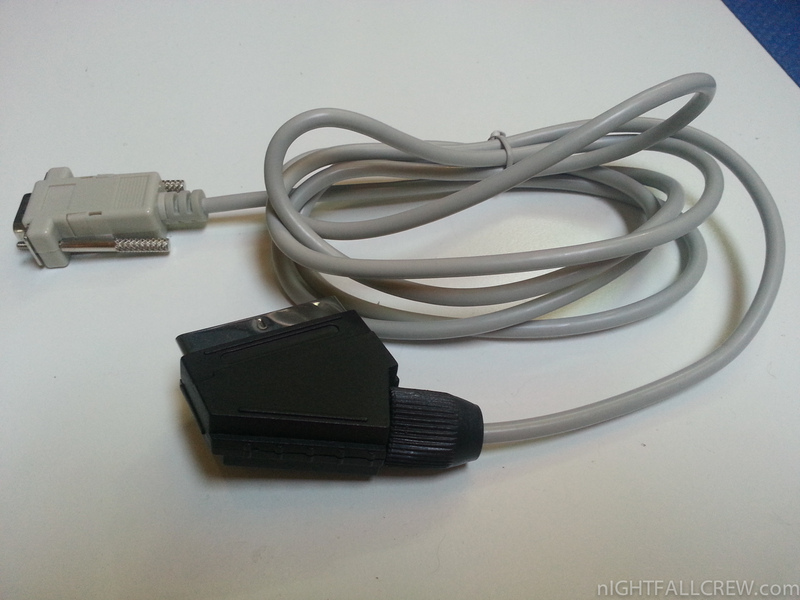 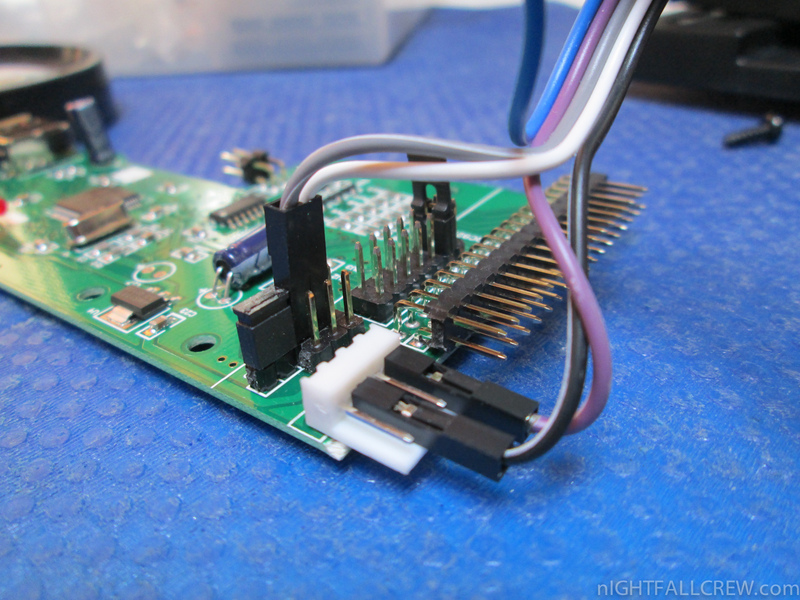 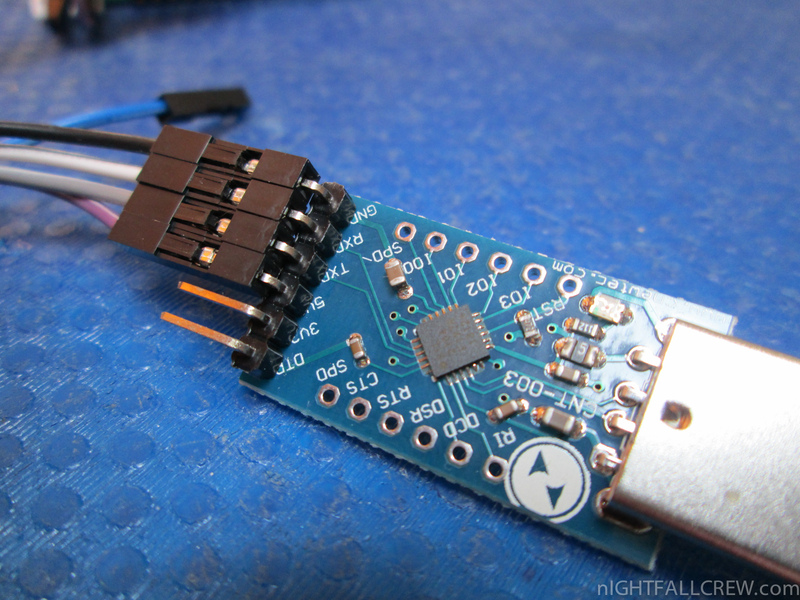 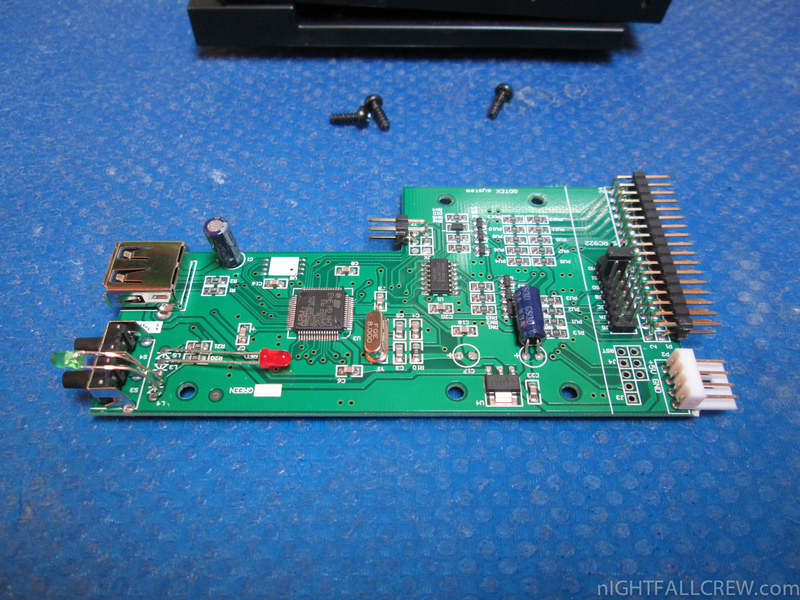 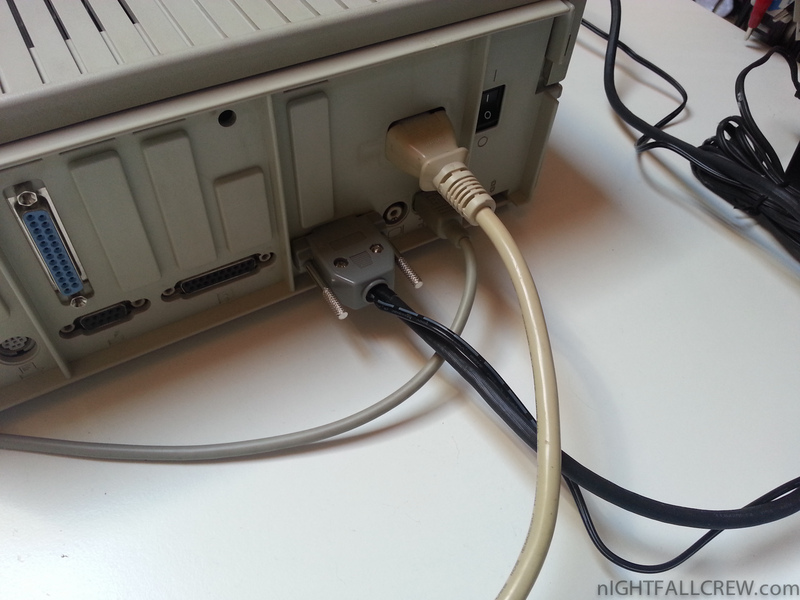 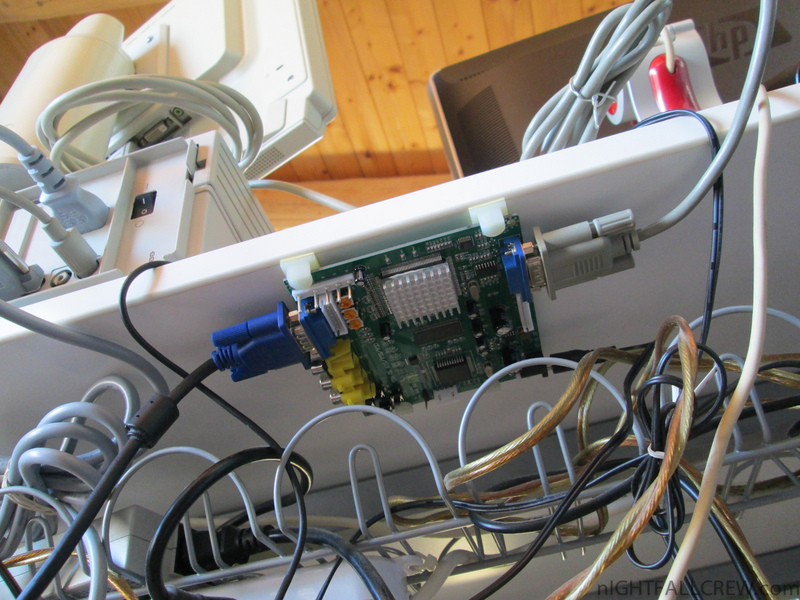 The RGB scart cable is homemade by me to connect to a Commodore 1085S monitor. 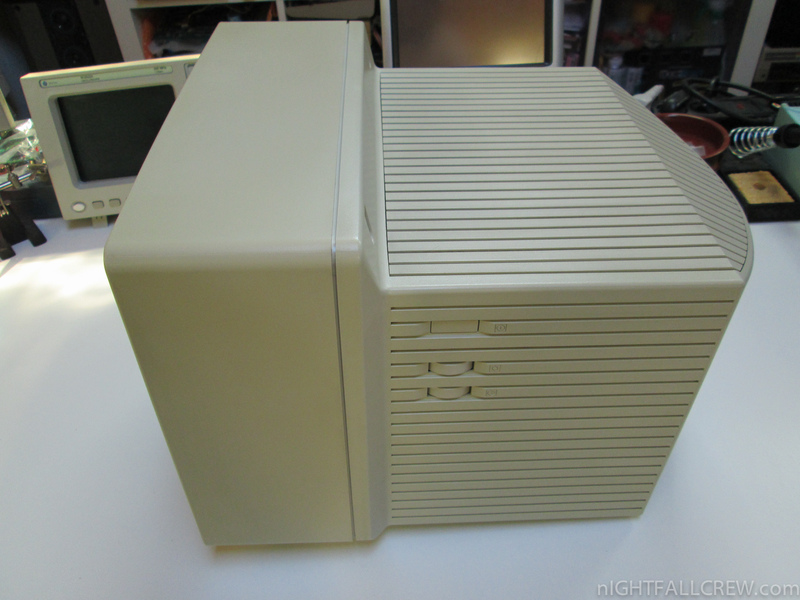 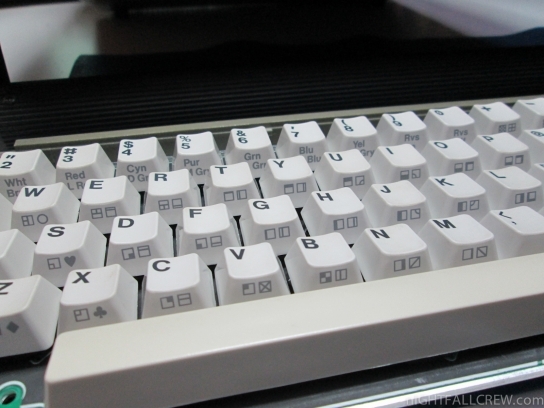 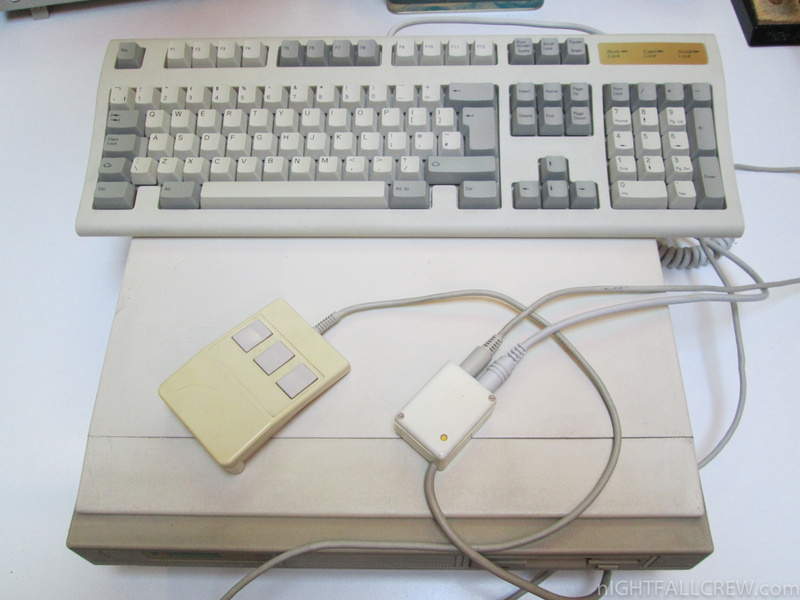 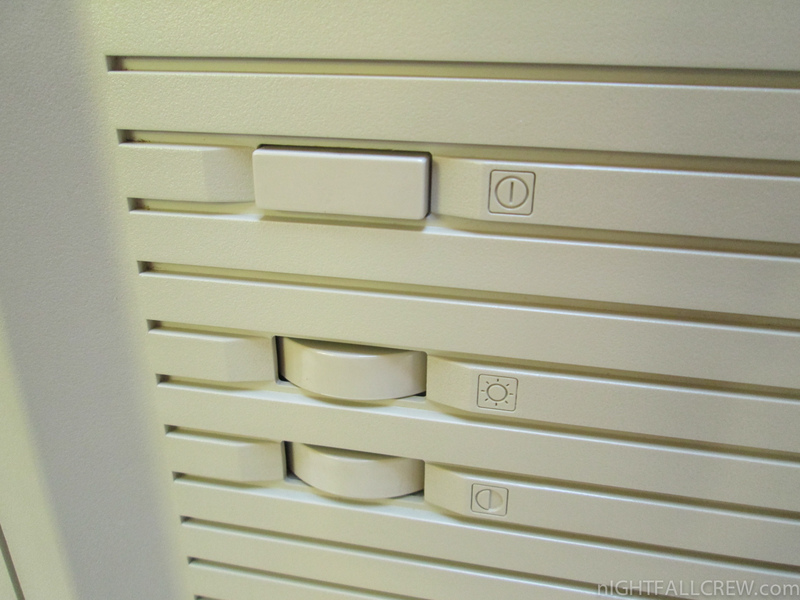 The Acorn Archimedes was Acorn Computers’ first general purpose home computer to be based on their own ARM architecture. 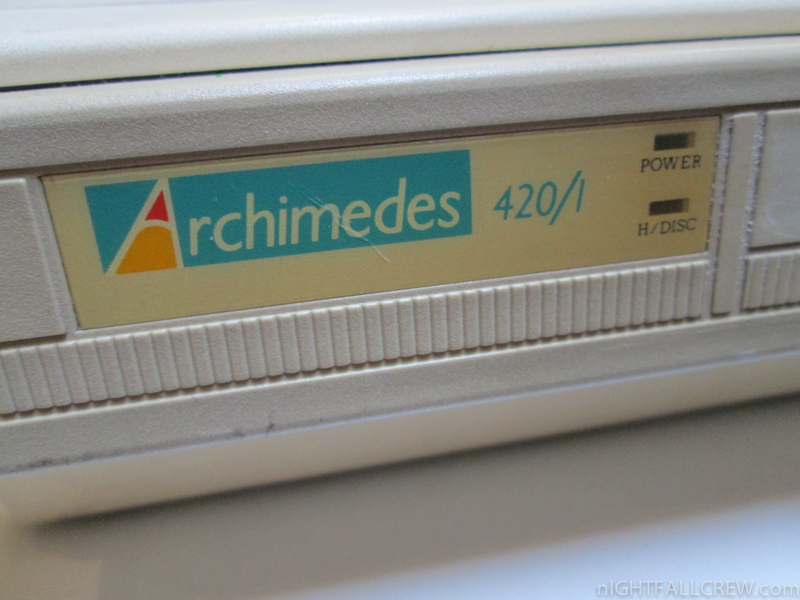 Using a RISC design with a 32-bit CPU (26-bit addressing), at its launch in June 1987, the Archimedes was stated as running at 4 MIPS, with a claim of 18 MIPS during tests. 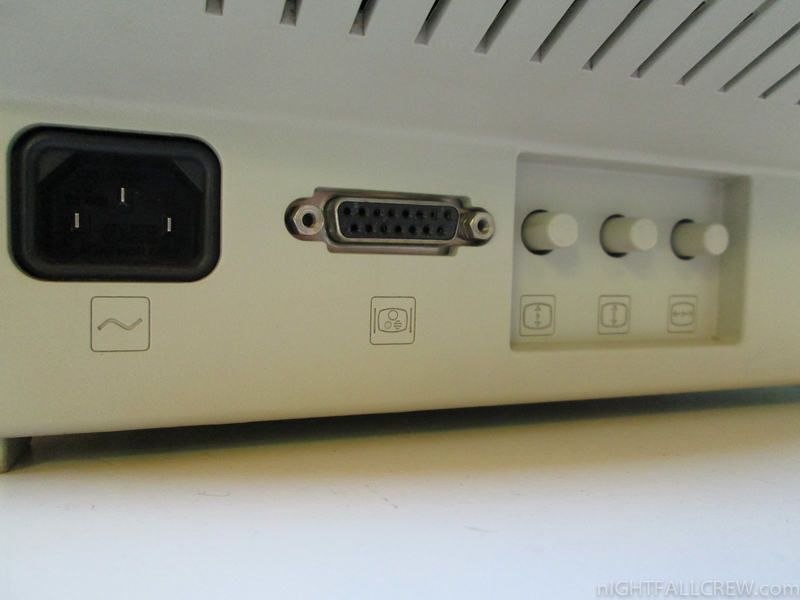 The name is commonly used to describe any of Acorn’s contemporary designs based on the same architecture, even where Acorn did not include Archimedes in the official name. 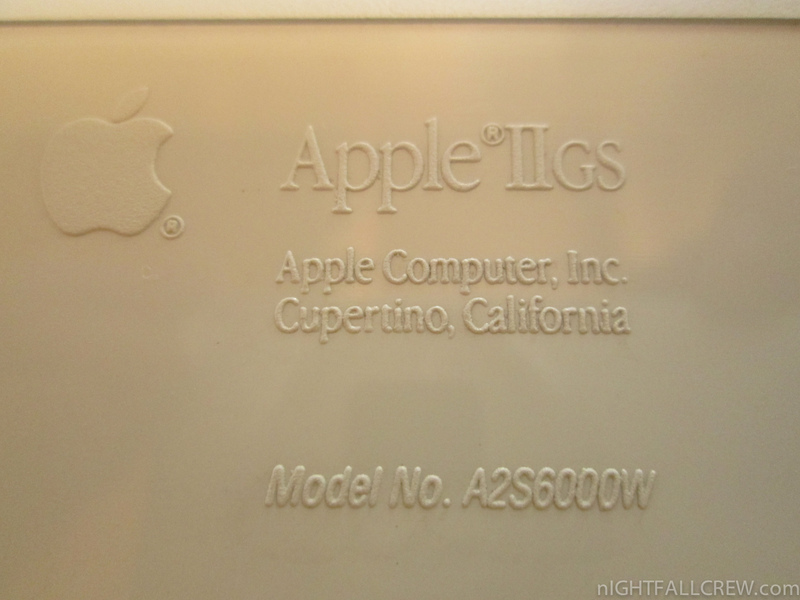 The first models were released in June 1987, as the 300 and 400 series. 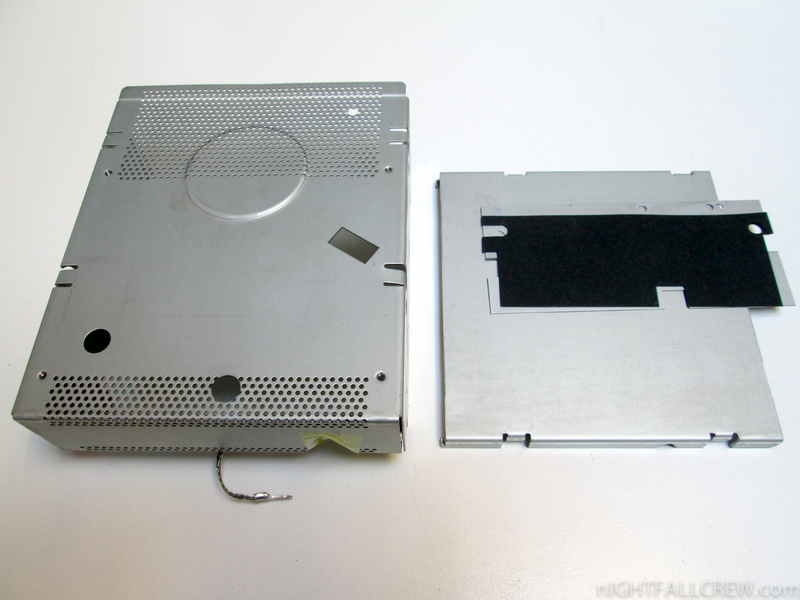 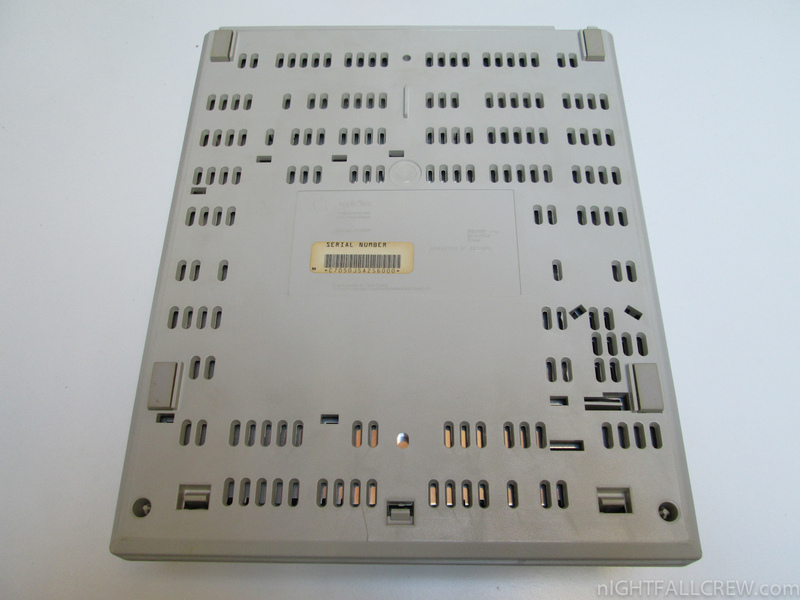 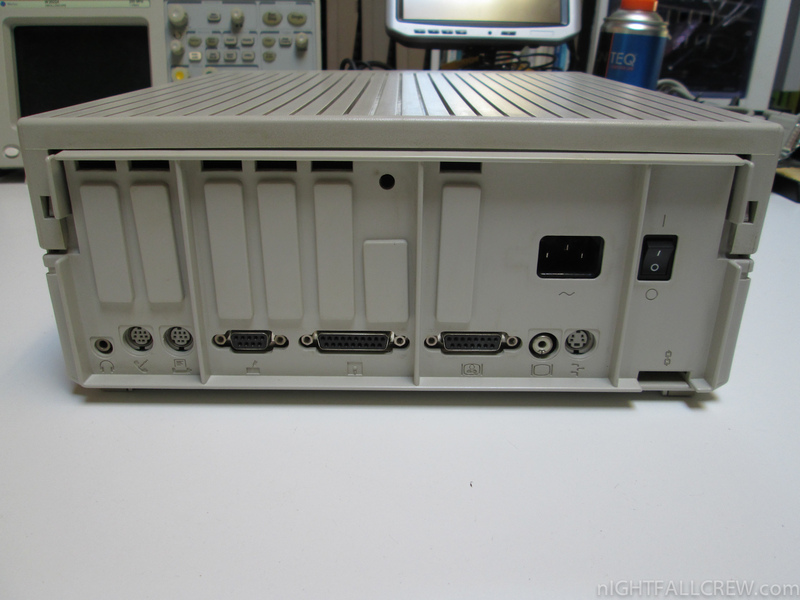 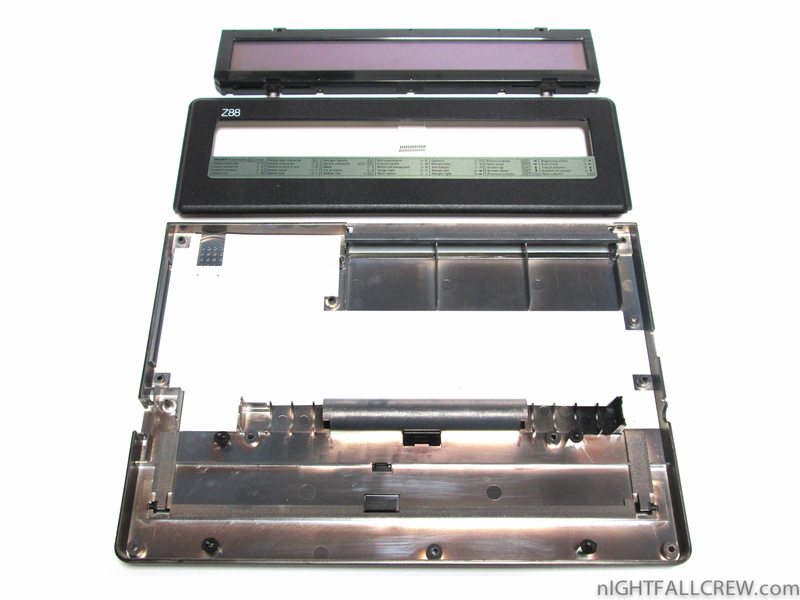 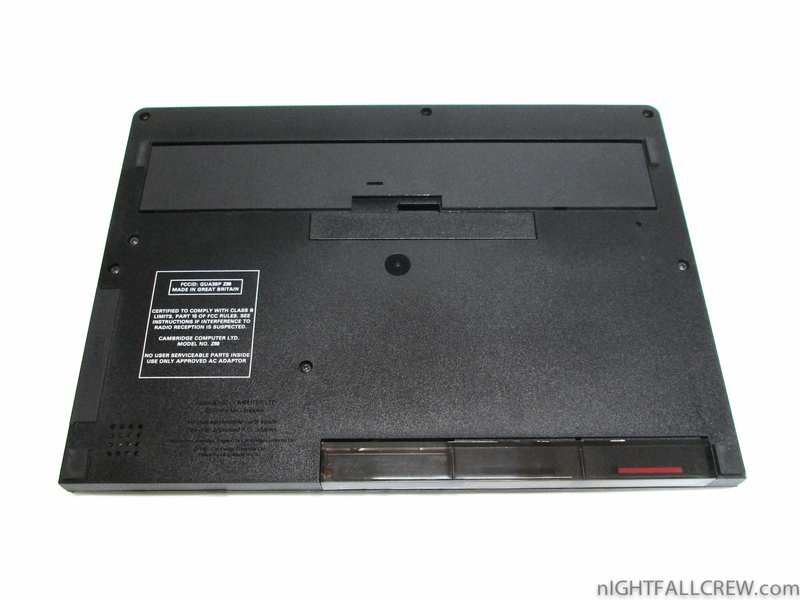 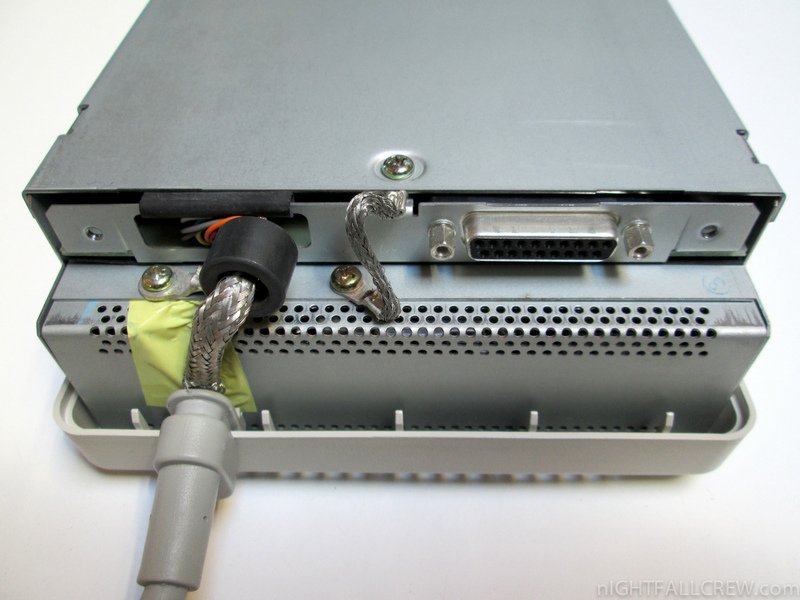 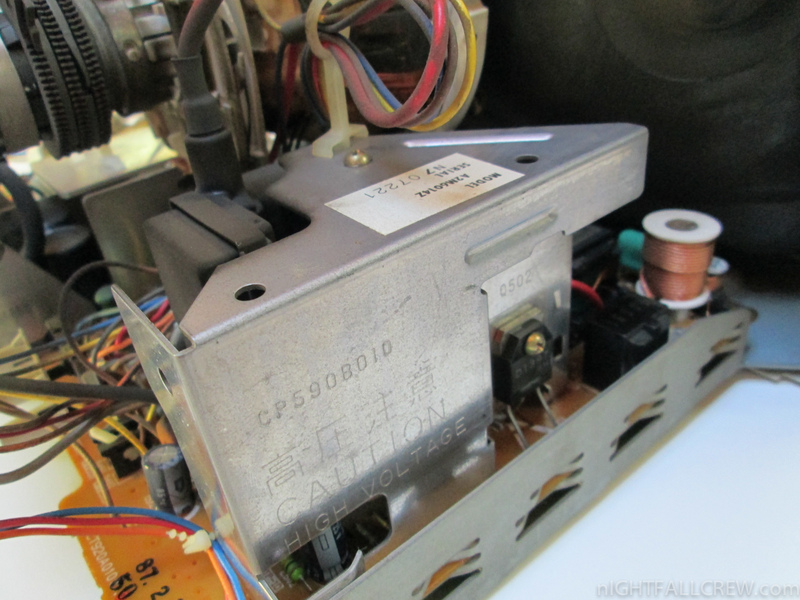 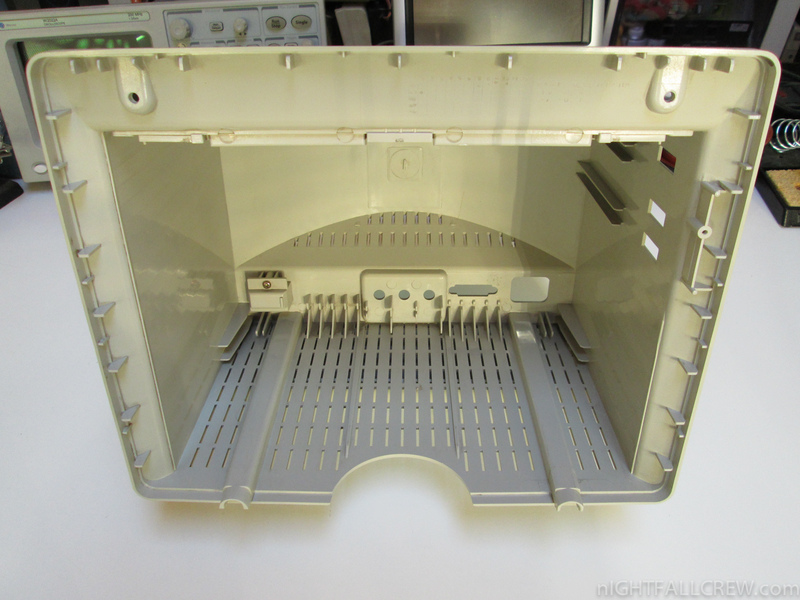 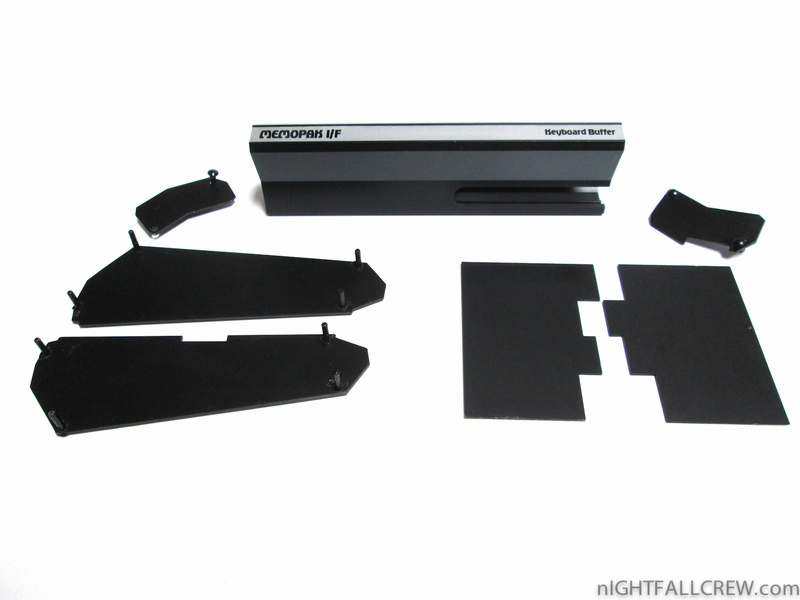 The 400 series included 4 expansion slots (although a two slot backplane could be added to the 300 series as an official upgrade, and third parties produced their own 4 slot backplanes) and an ST506 controller for an internal hard drive. 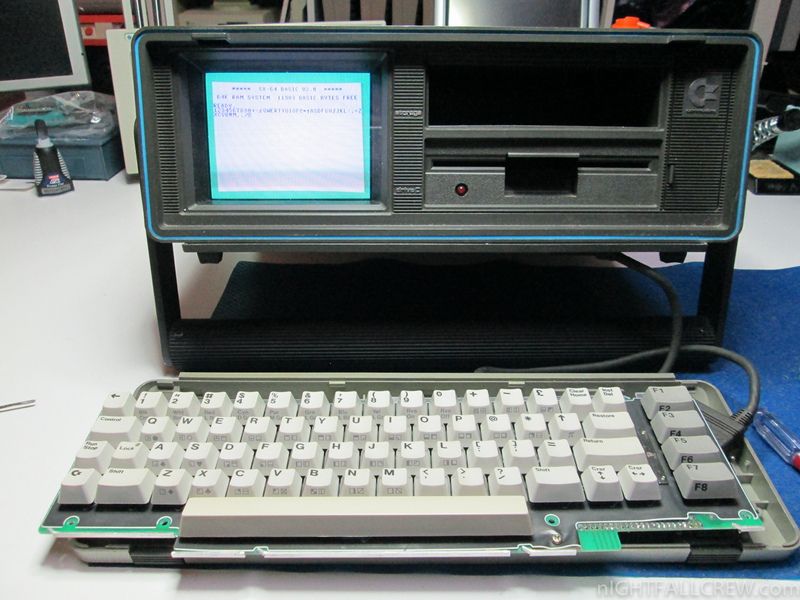 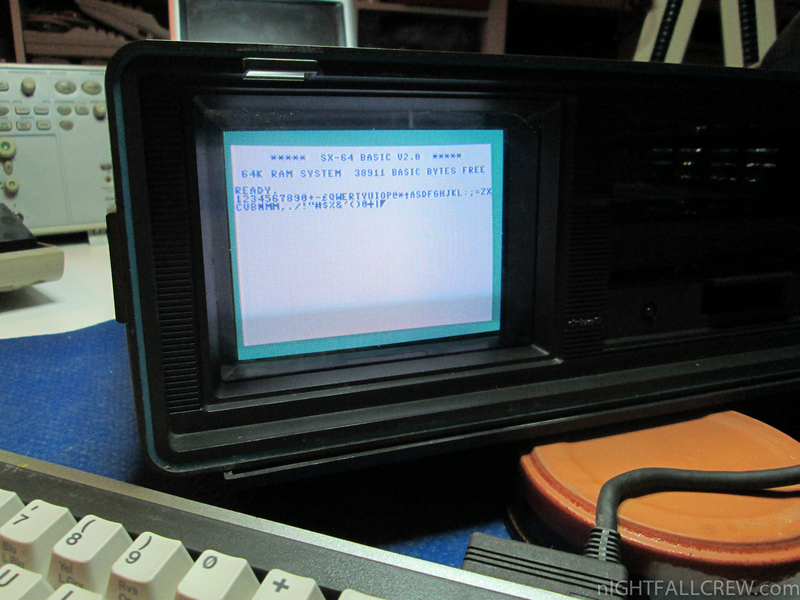 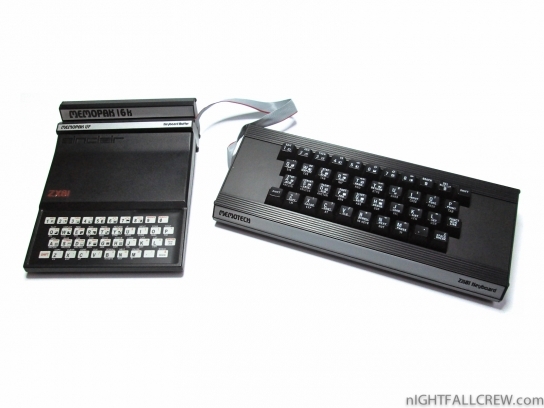 Both models included the Arthur operating system operating system (later replaced by RISC OS as a paid-for upgrade), BBC BASIC programming language and an emulator for Acorn’s earlier BBC Micro, and were mounted in two-part cases with a small central unit, monitor on top, and a separate keyboard and three-button mouse. 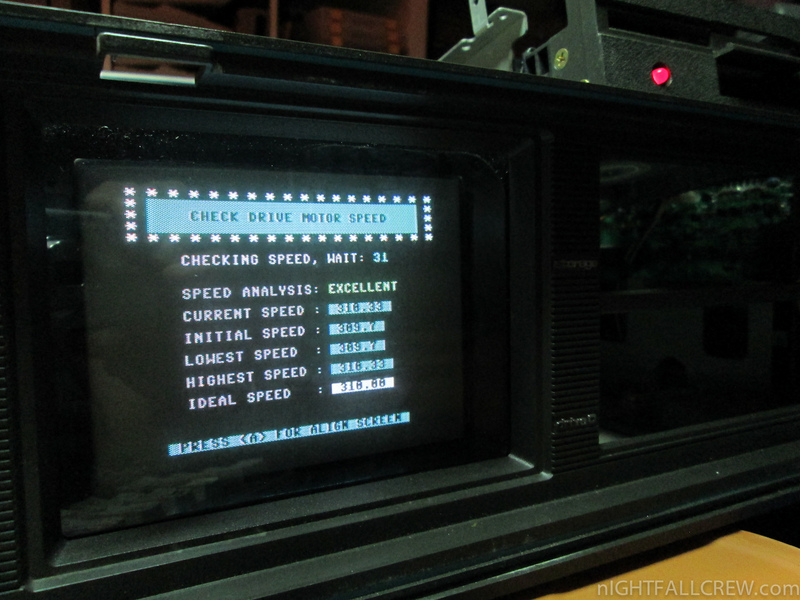 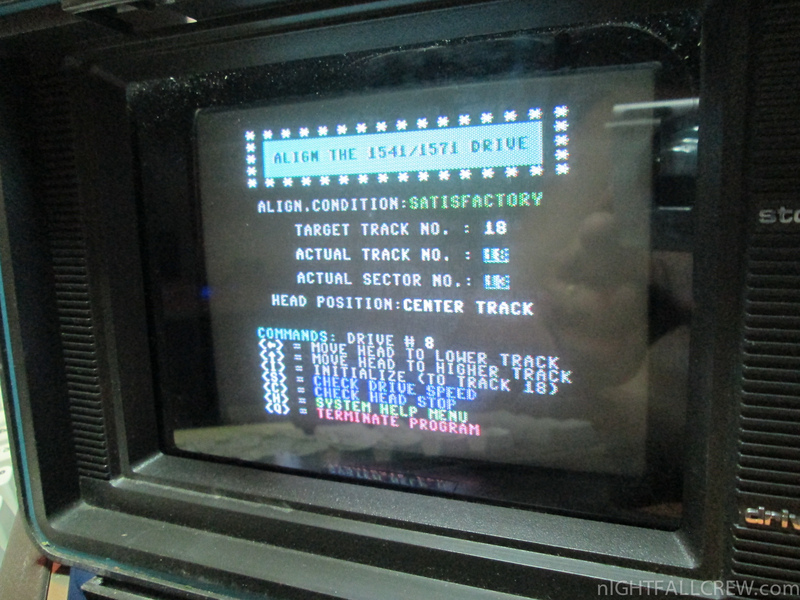 All models featured onboard 8 channel stereo sound and were capable of displaying 256 colours on screen. 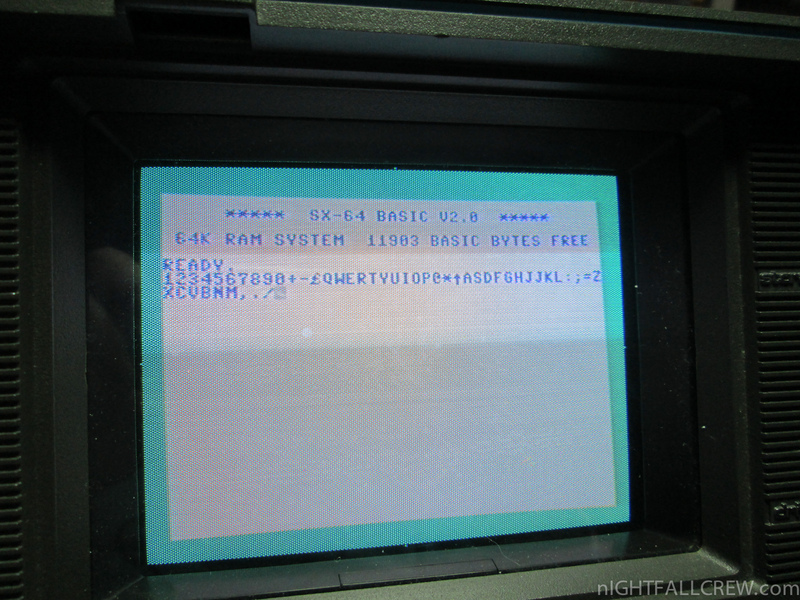 Four models were initially released with different amounts of memory, the A305, A310, A410 and A440. 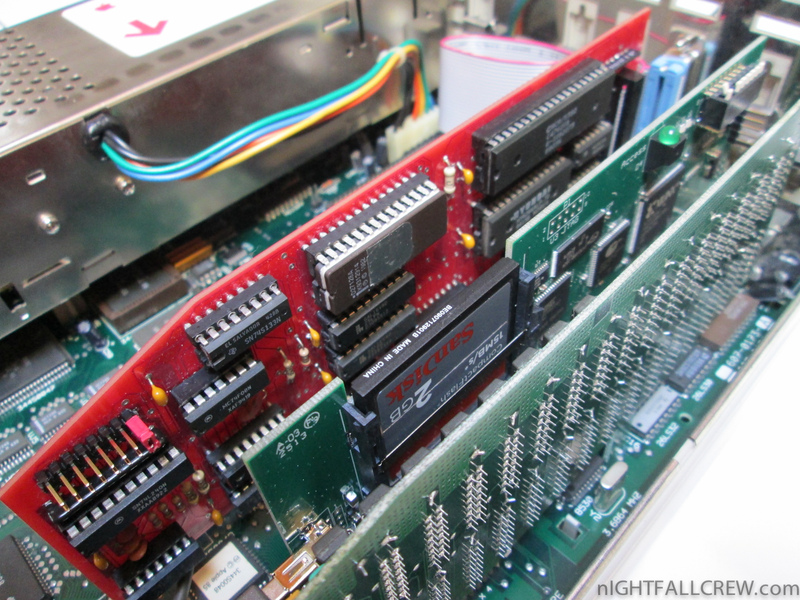 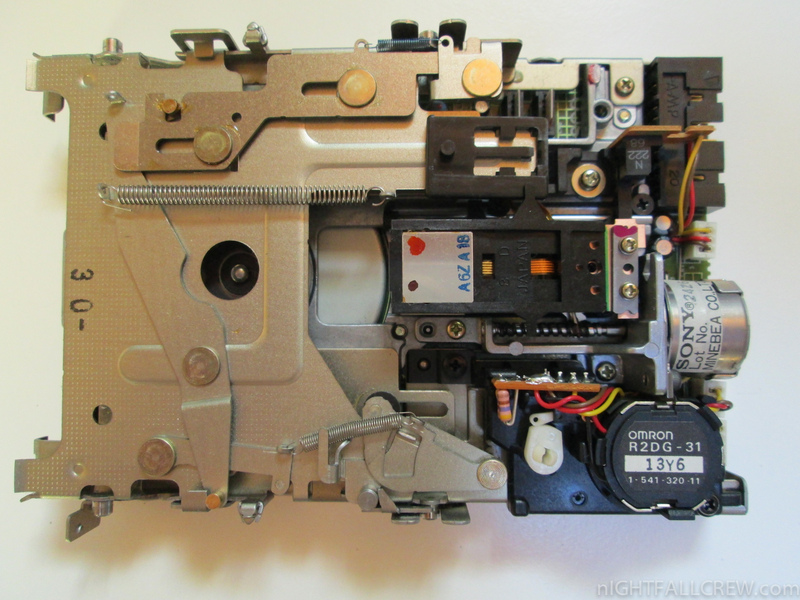 The 540 was unveiled in September 1990, and included higher speed SCSI and provision for connecting Genlock devices. 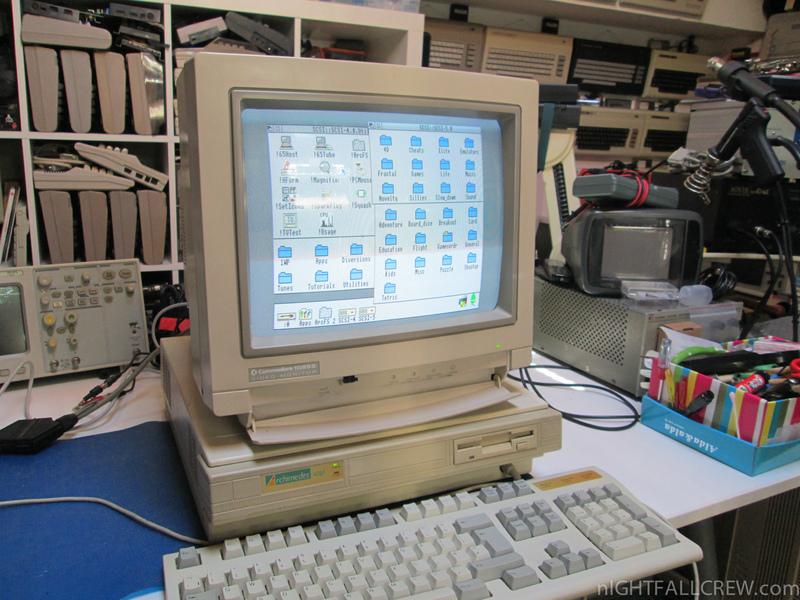 The 300 and 400 were followed by a number of machines with minor changes and upgrades. 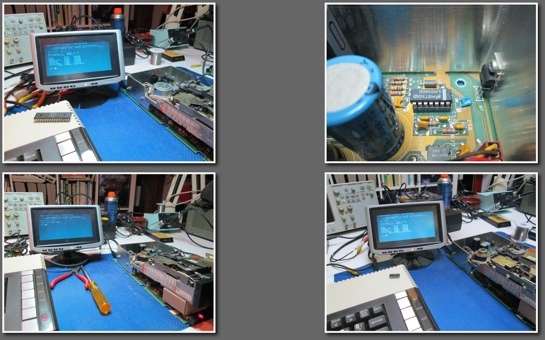 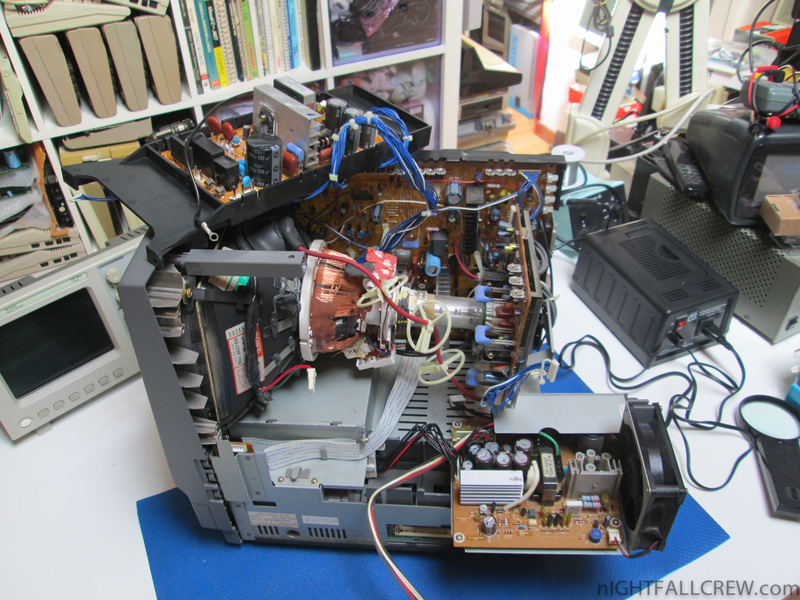 Commodore CBM/PET 3032 Motherboard Repair. 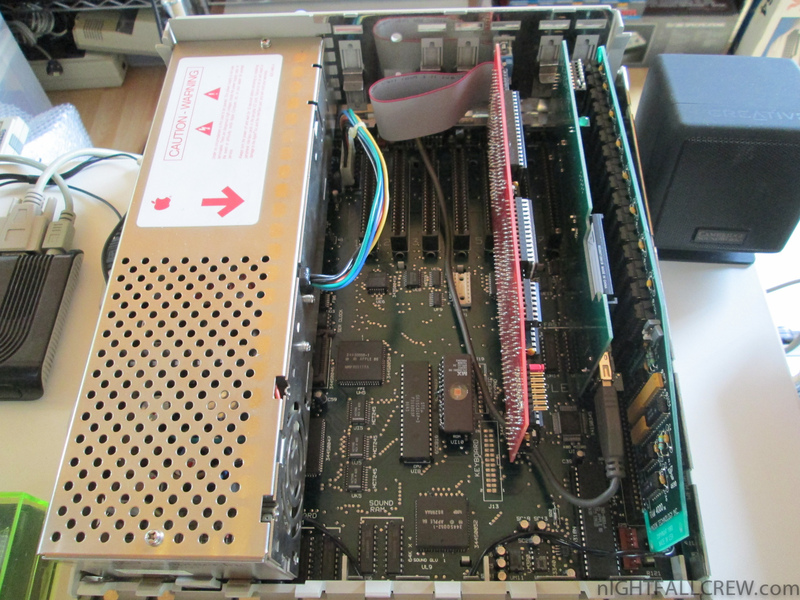 SIO bus unresponsive + no reset cycle of the Disk drive on poweron. 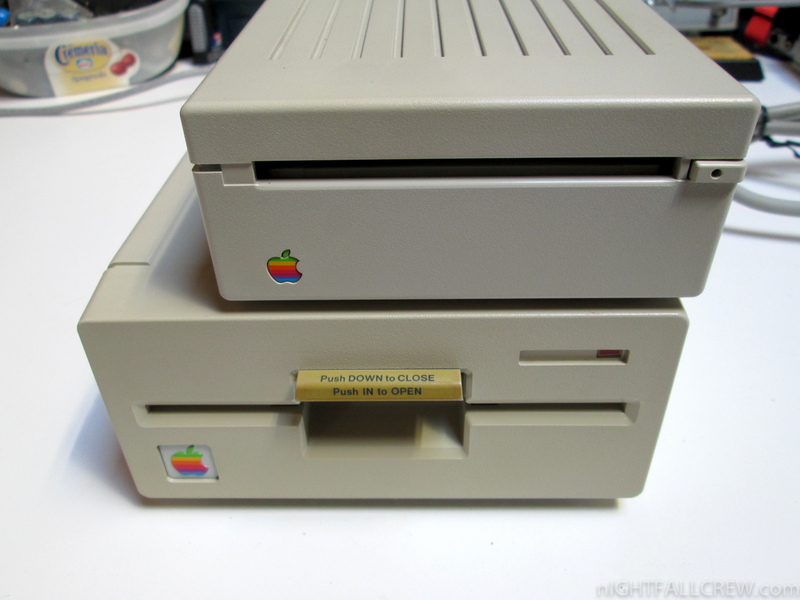 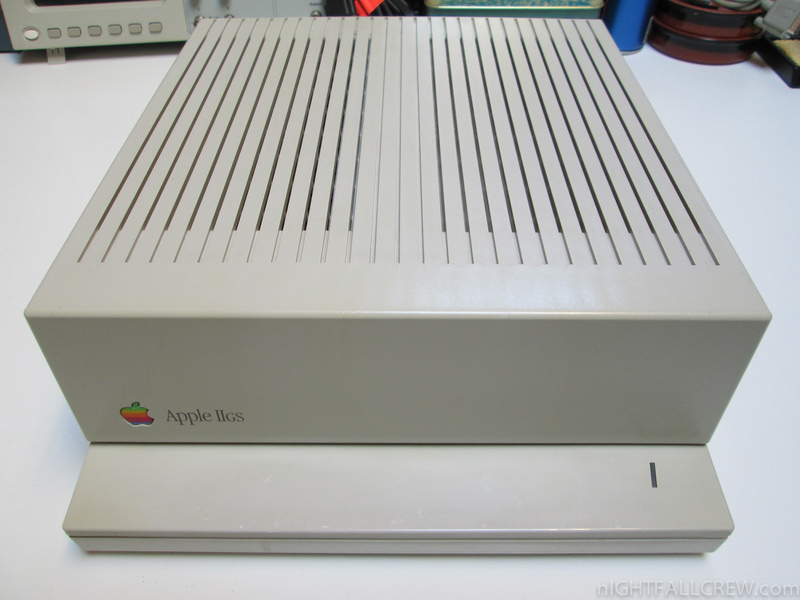 The Apple IIGS (stylized as IIGS) is the fifth and most powerful model in the Apple II series of personal computers produced by Apple Computer. 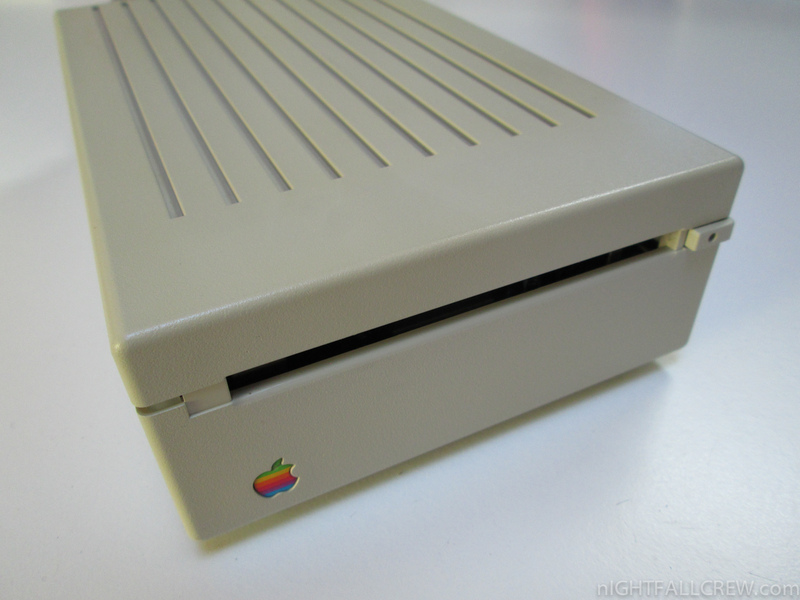 The “GS” in the name stands for Graphics and Sound, referring to its enhanced multimedia capabilities, especially its state-of-the-art sound and music synthesis, which greatly surpassed previous models of the line and most contemporary machines like the Macintosh and IBM PC. 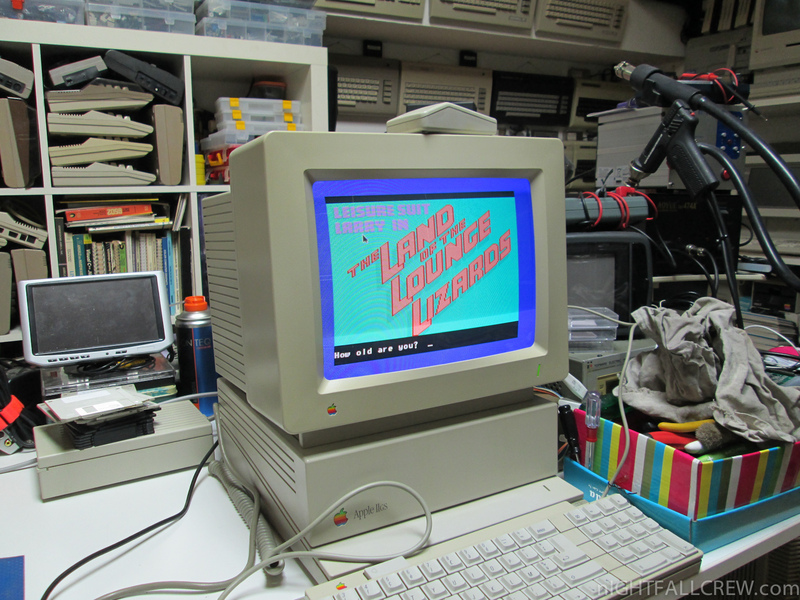 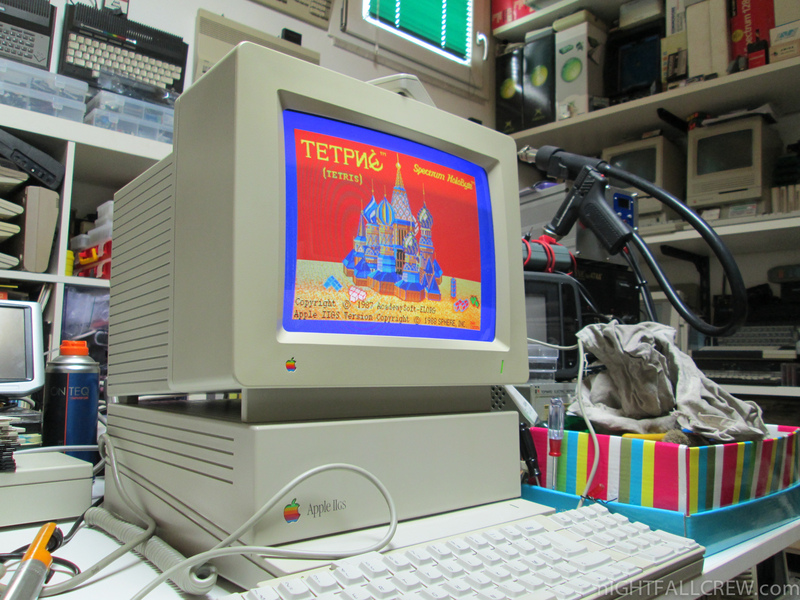 The machine was a radical departure from any previous Apple II, with its true 16-bit architecture, increased processing speed, direct access to megabytes of RAM, wavetable music synthesizer, graphical user interface, and mouse. 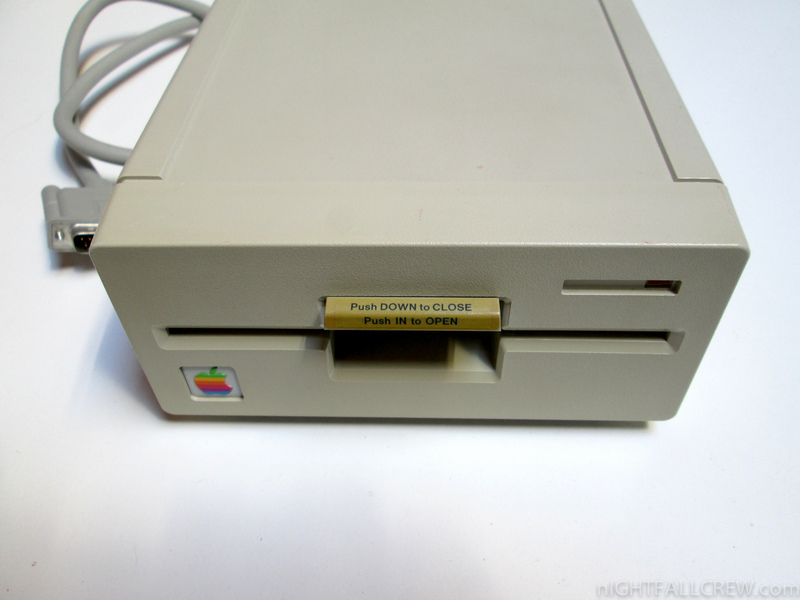 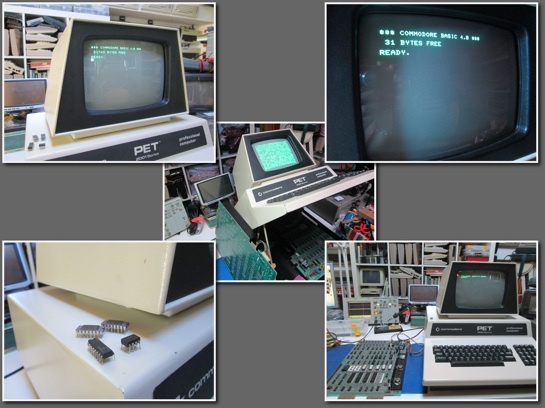 While still maintaining full backwards compatibility with earlier Apple II models, it blended the Apple II and aspects of Macintosh technology into one. 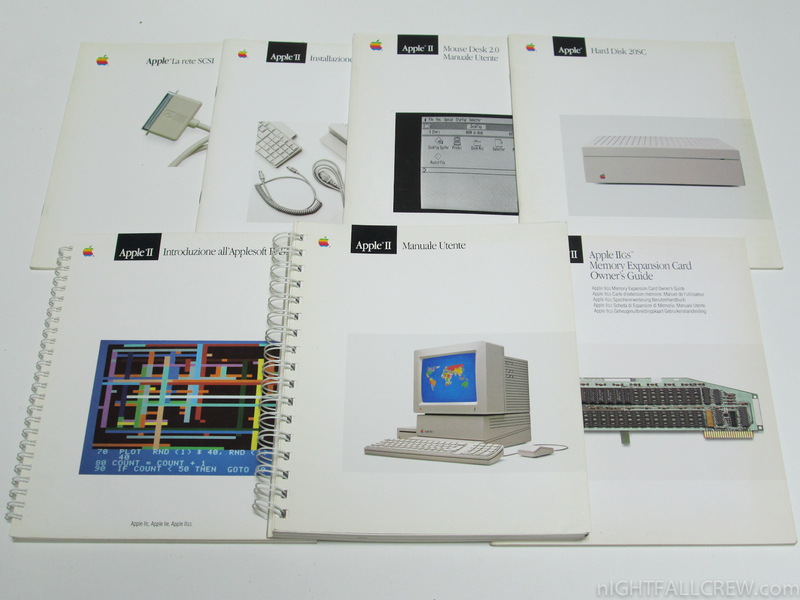 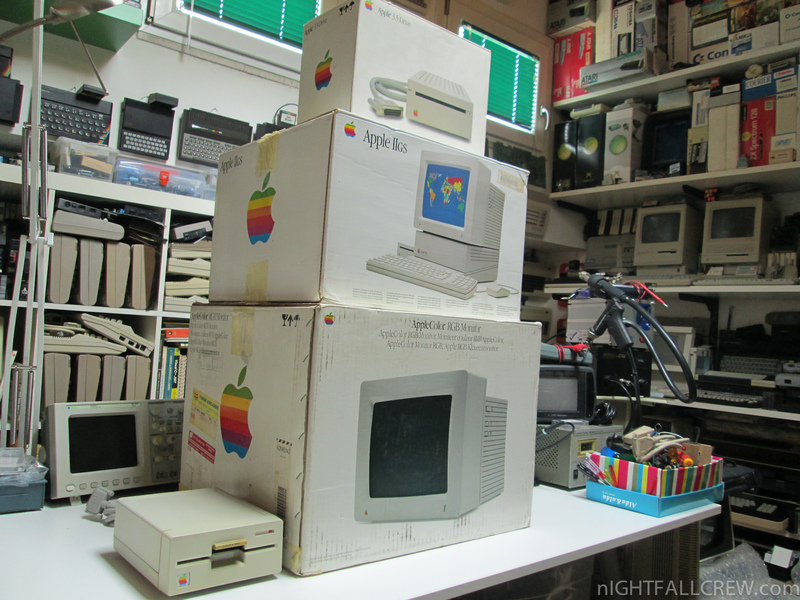 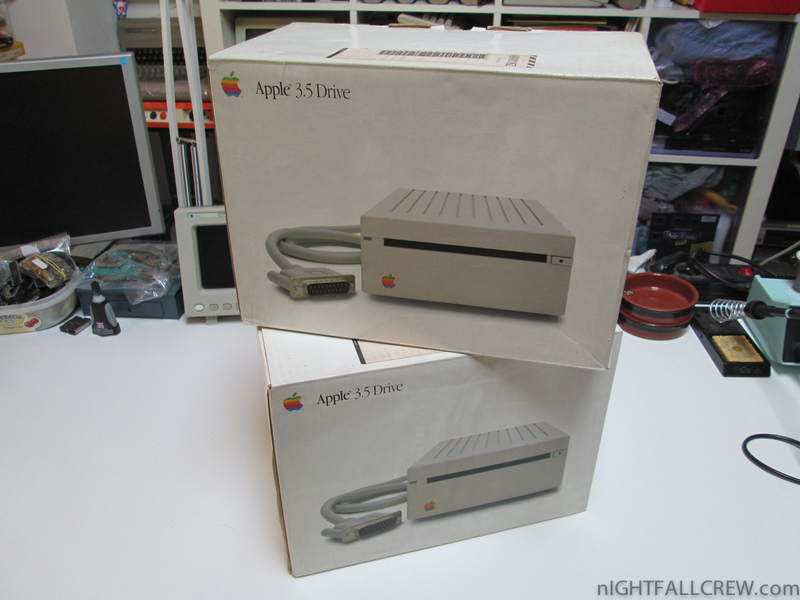 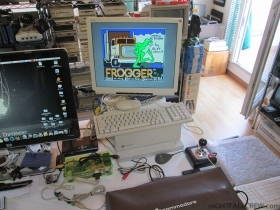 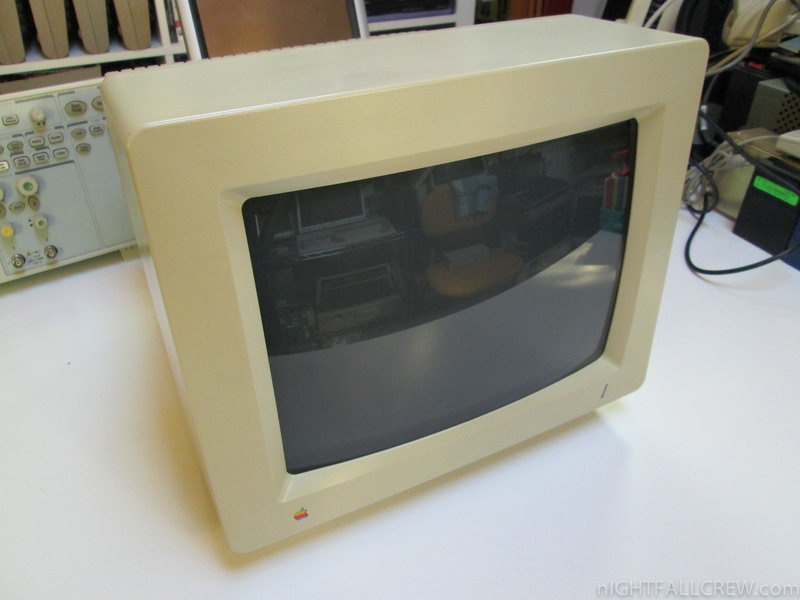 Keeping with Apple’s “Apple II Forever” slogan of the time, the IIGS set forth a promising future and evolutionary advancement of the Apple II line, but Apple paid it relatively little attention as the company increasingly focused on the Macintosh platform. 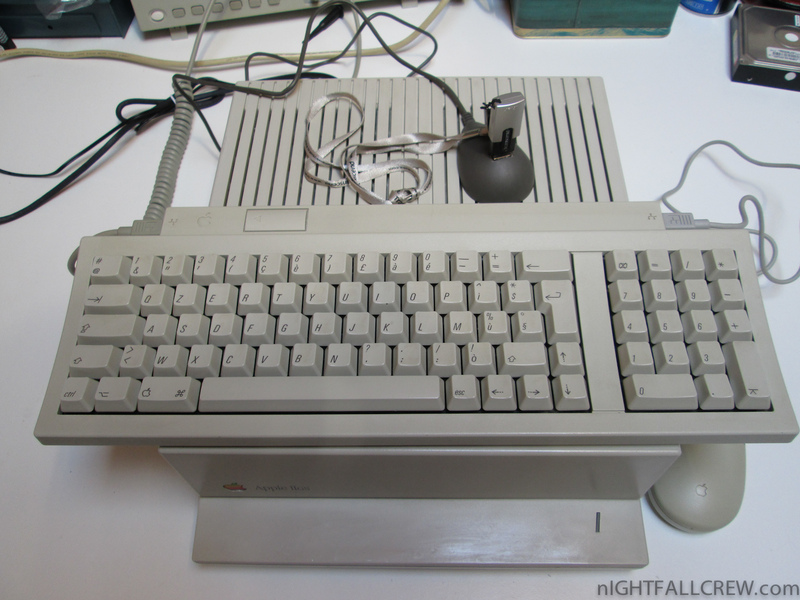 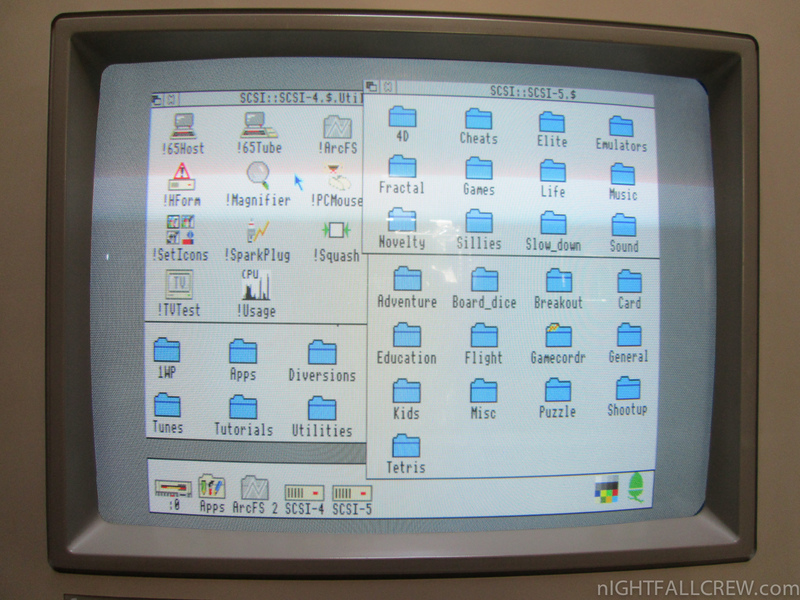 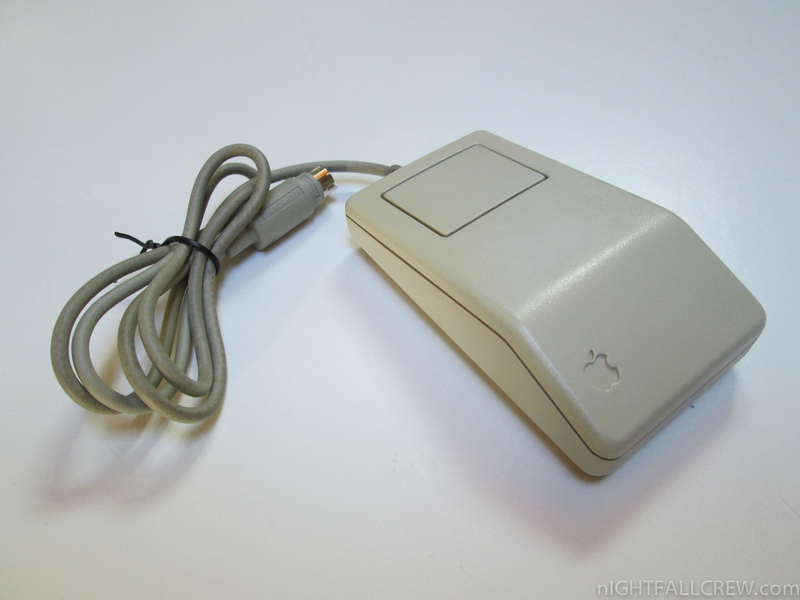 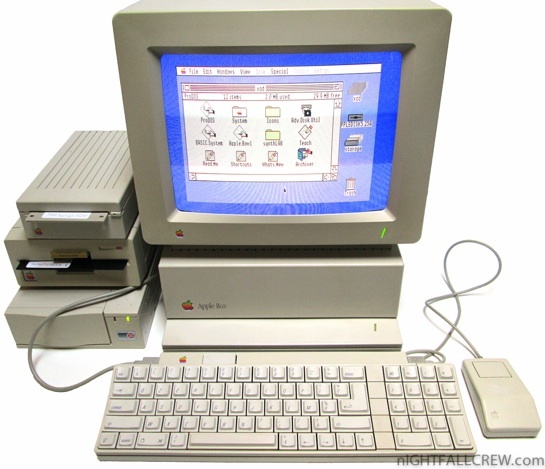 The Apple IIGS was the first computer produced by Apple to use a color graphical user interface, as well as the “Platinum” (light grey) color scheme and the Apple Desktop Bus interface for keyboards, mice, and other input devices. 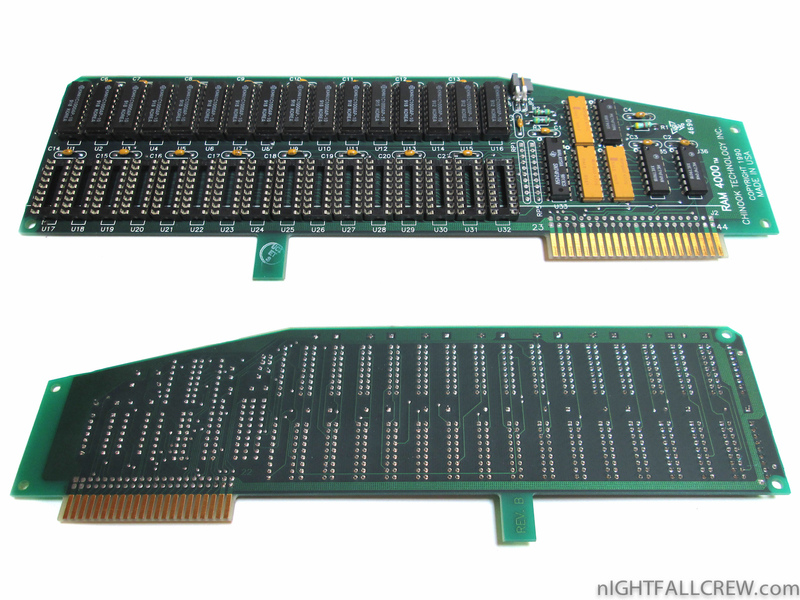 It was also the first personal computer to come with a built-in “wavetable” sample-based synthesizer chip, utilizing technology from Ensoniq. 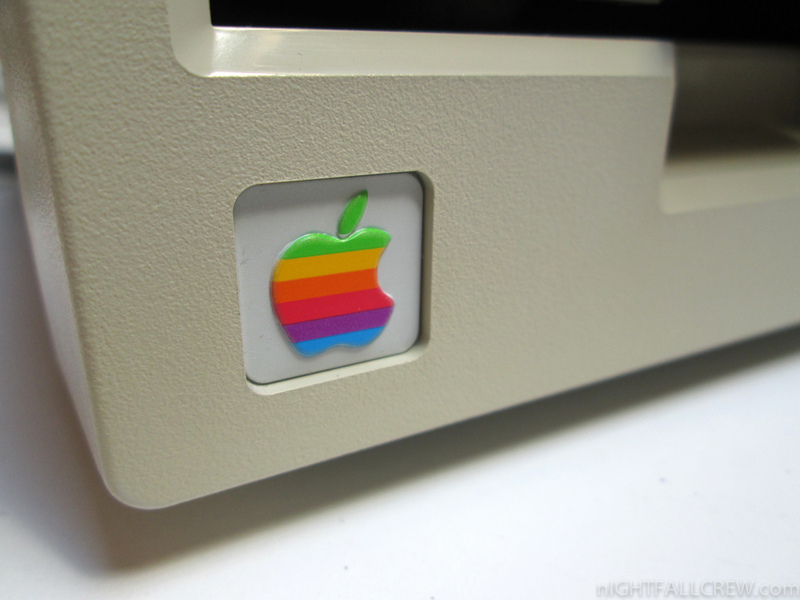 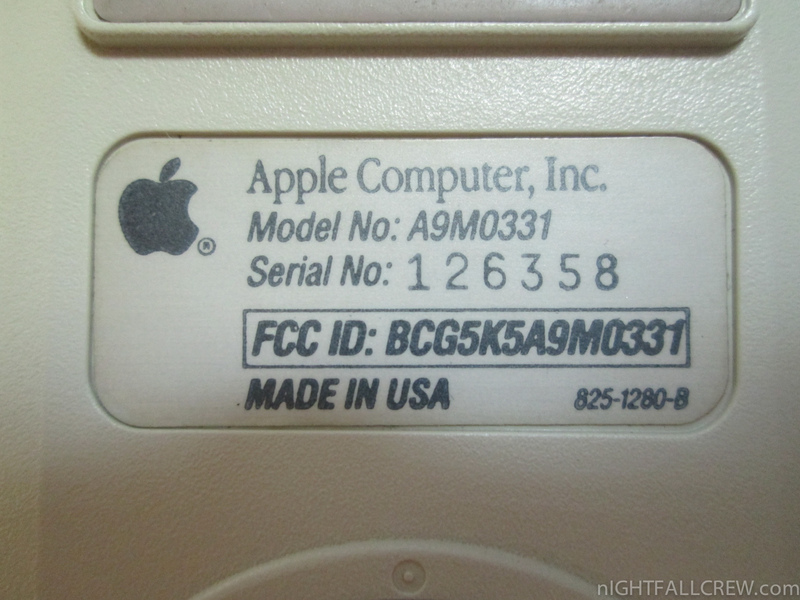 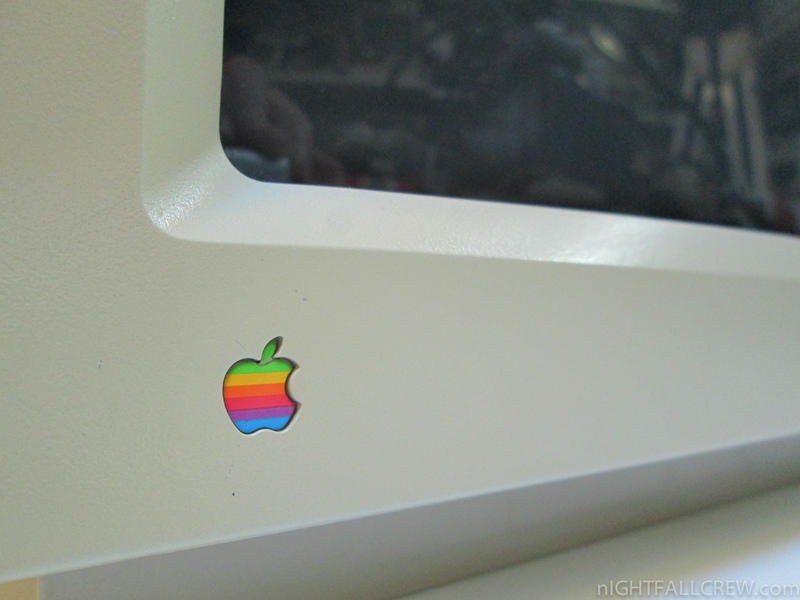 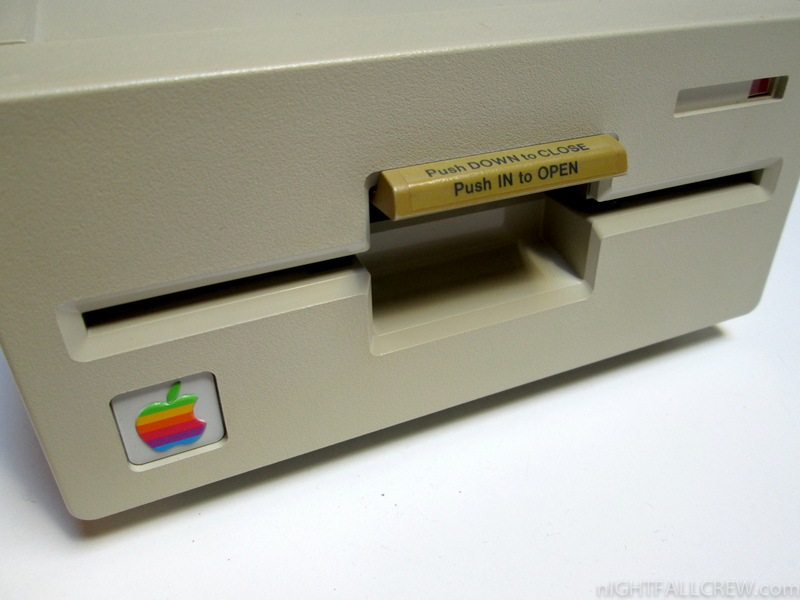 The machine outsold all other Apple products, including the Macintosh, during its first year in production.